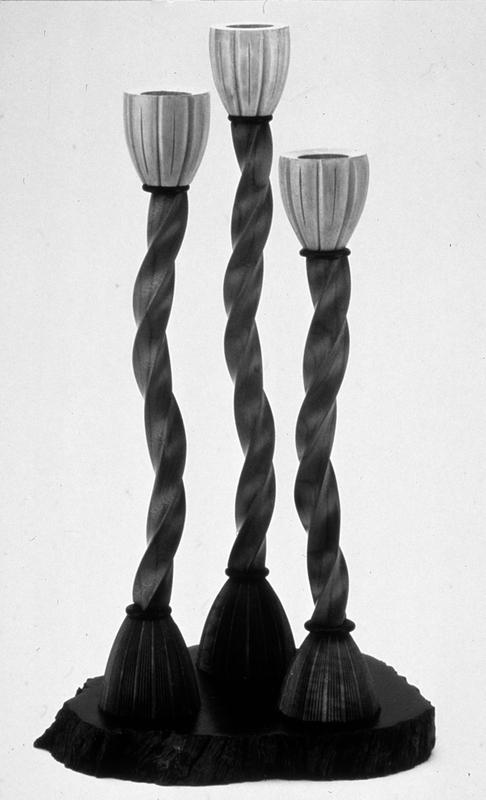 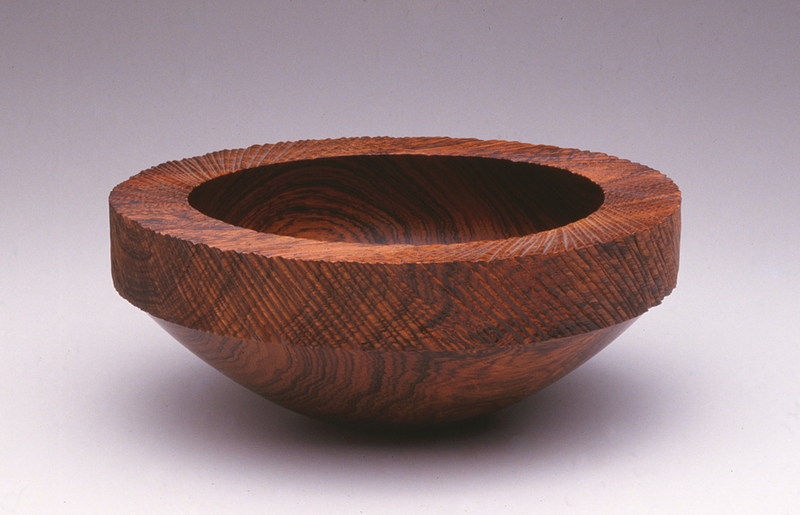 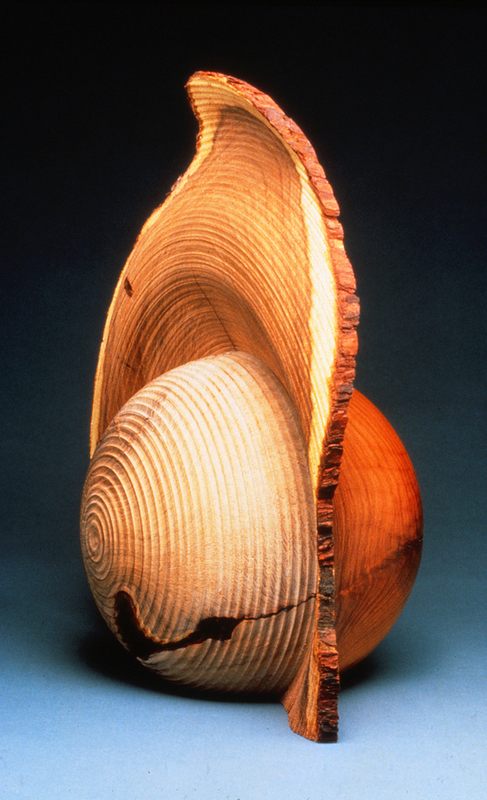 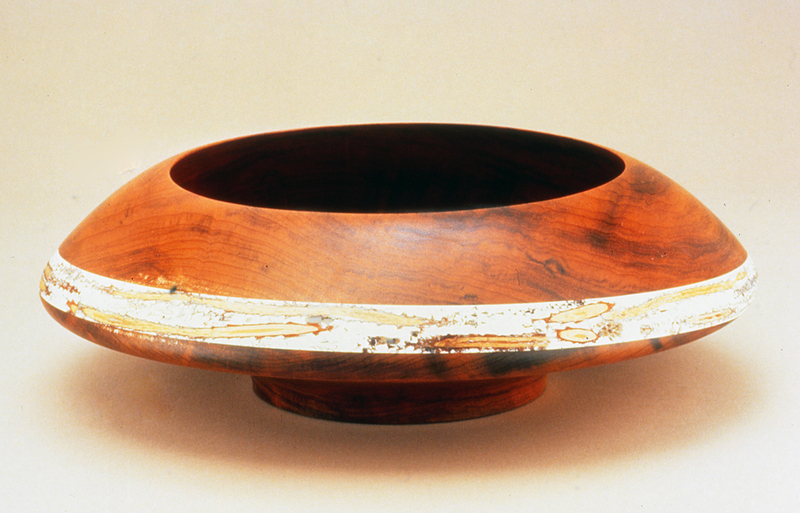 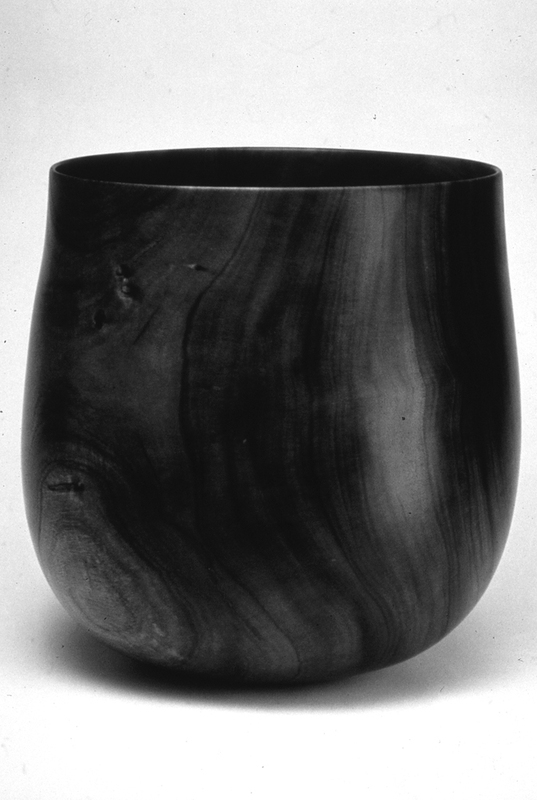 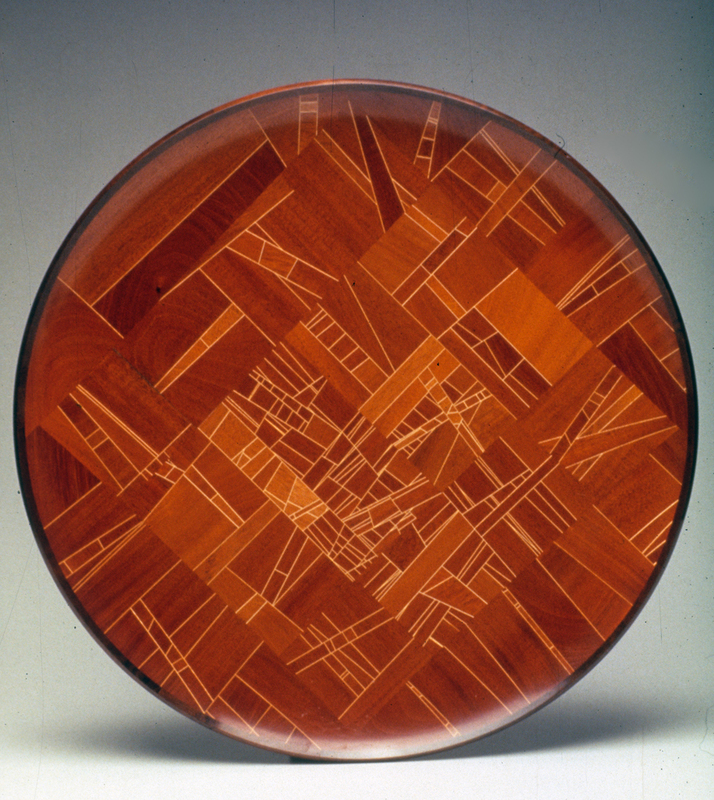 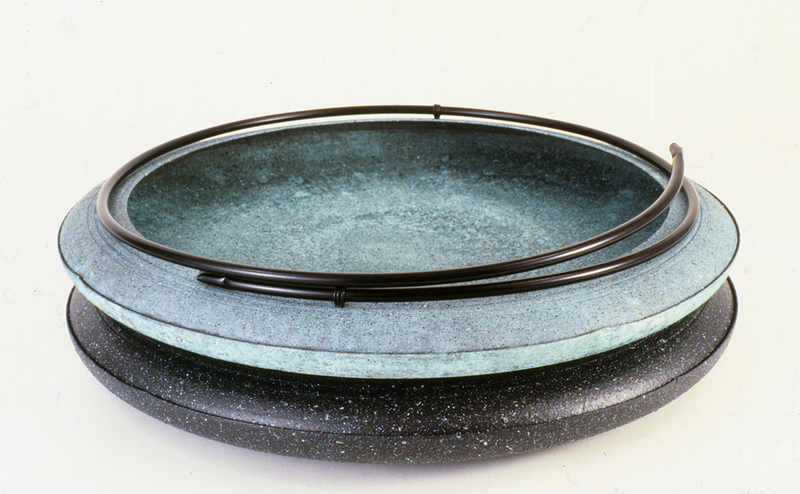 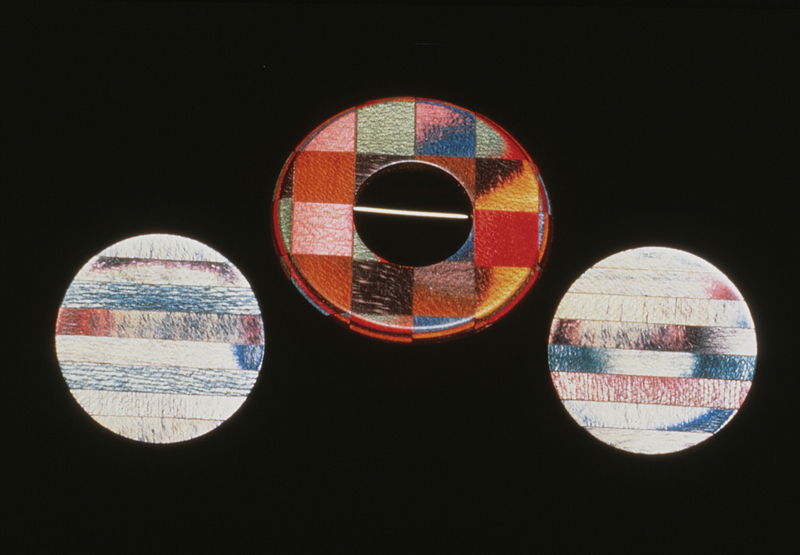 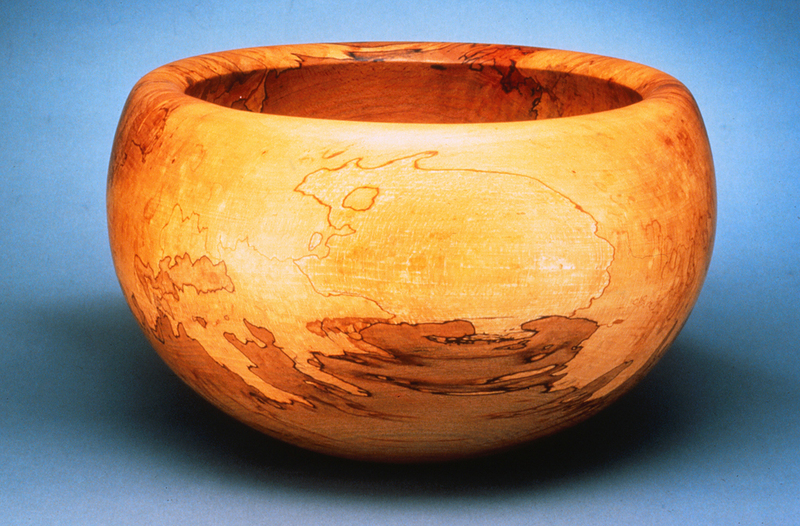 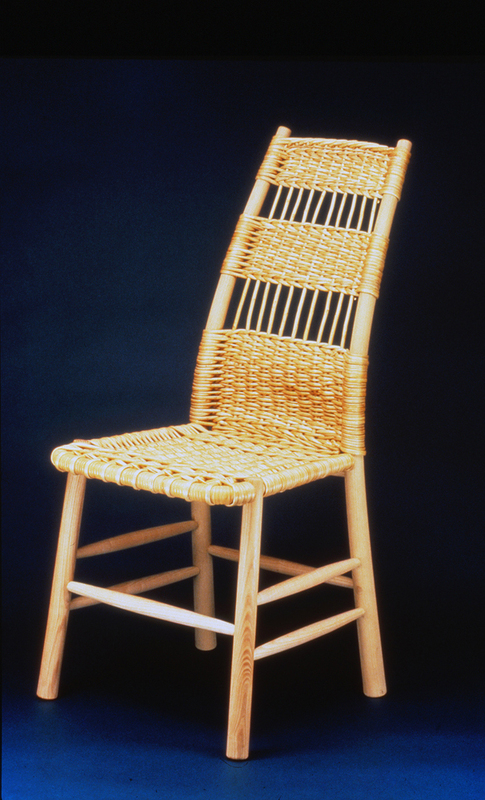 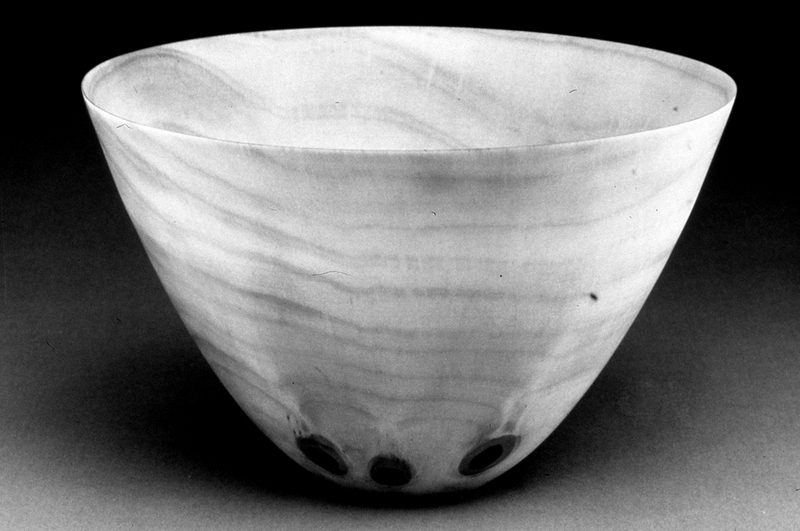 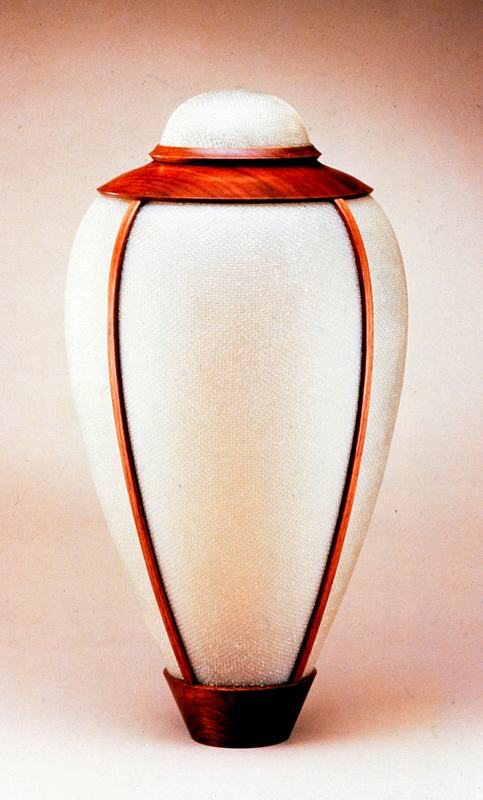 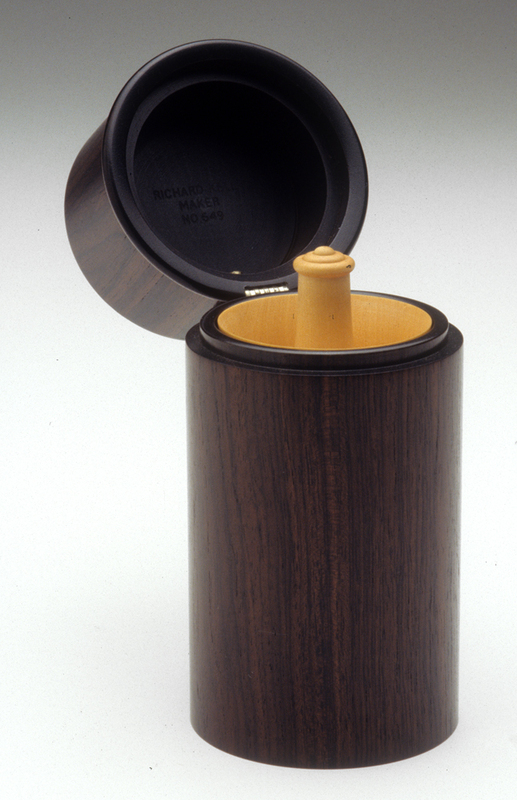 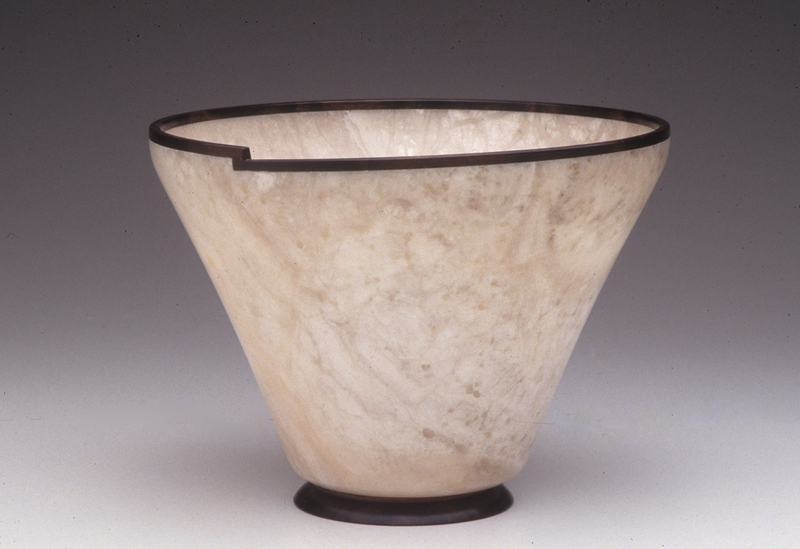 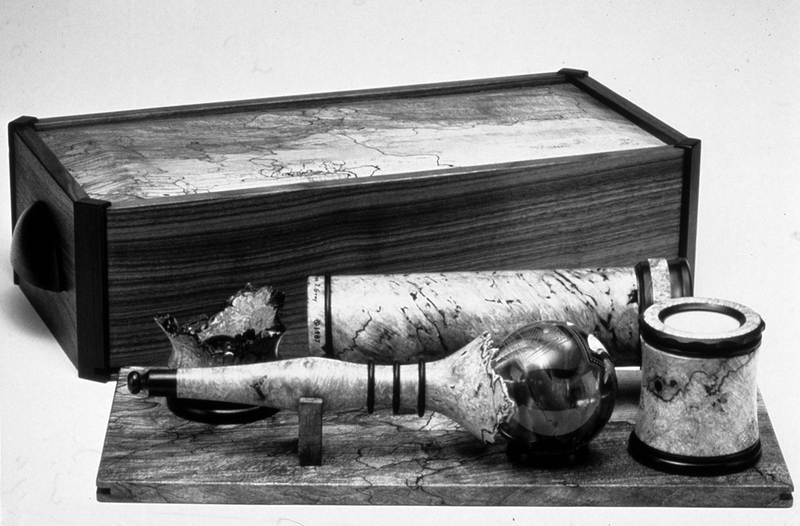 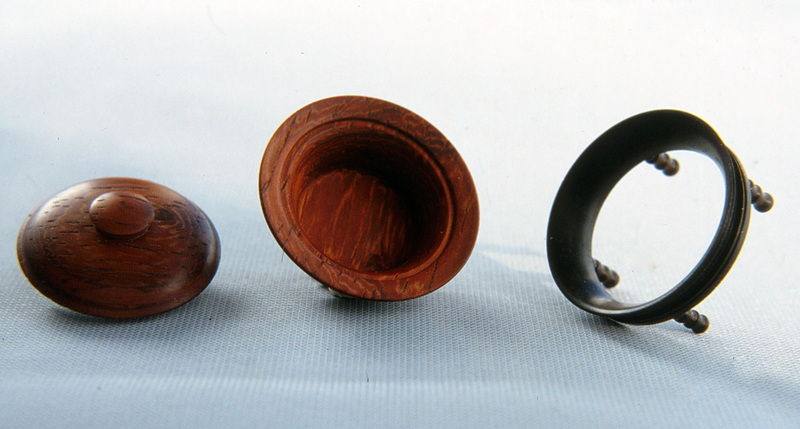 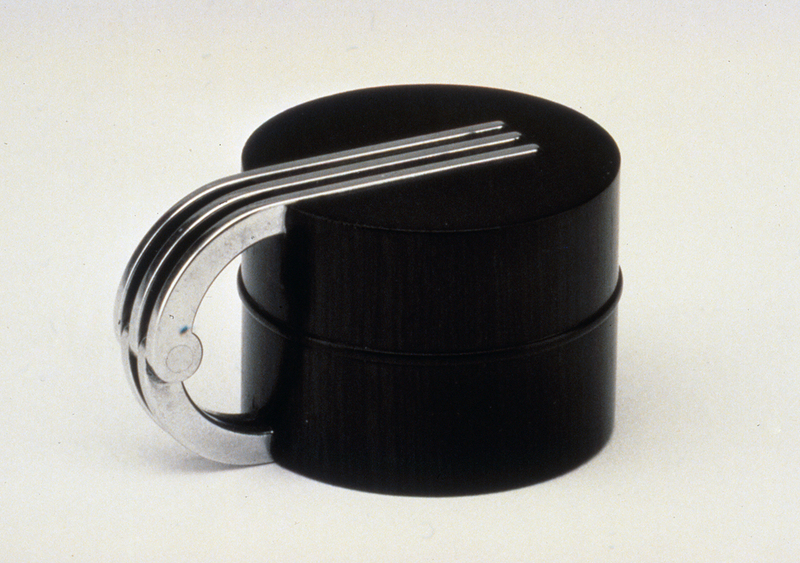 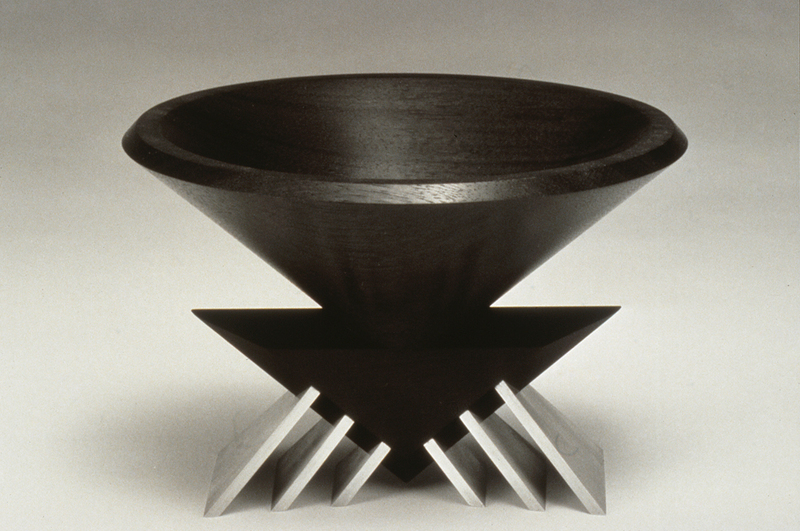 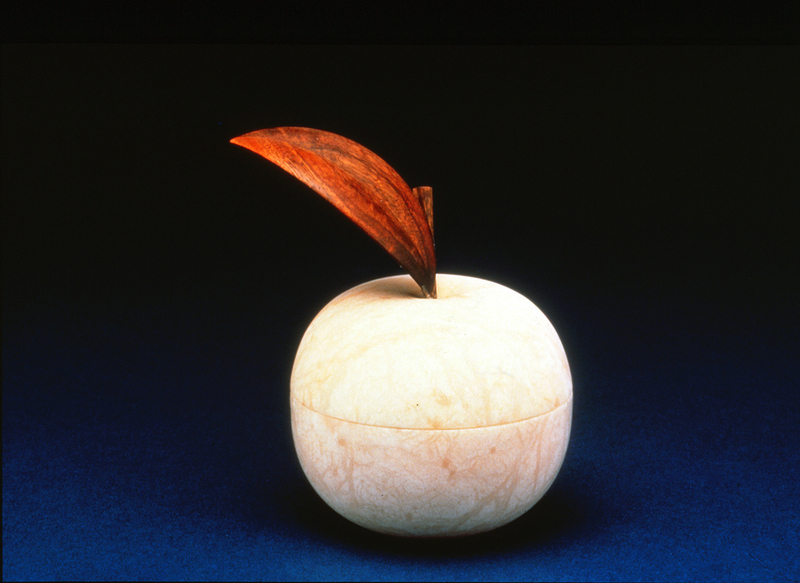 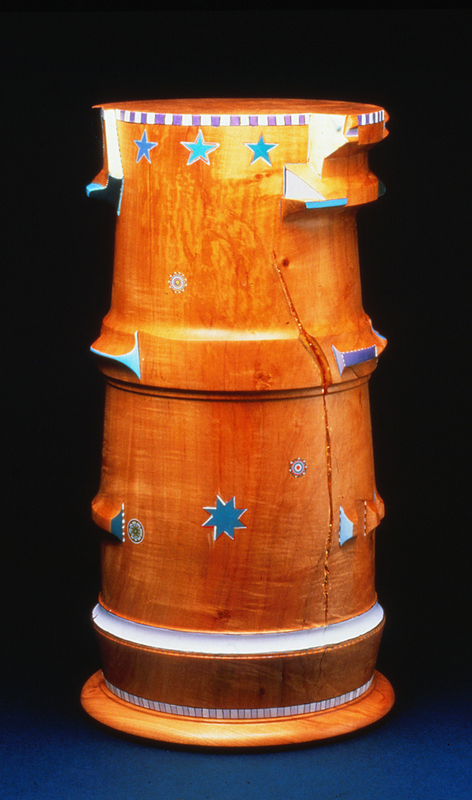 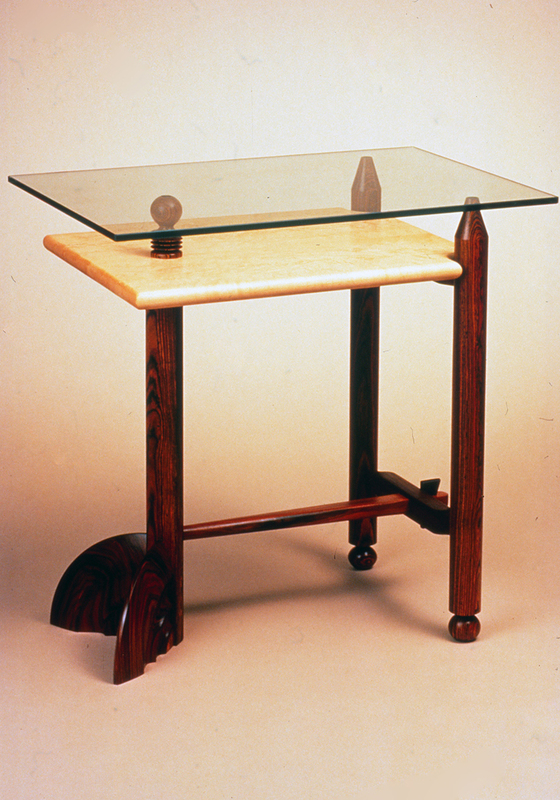 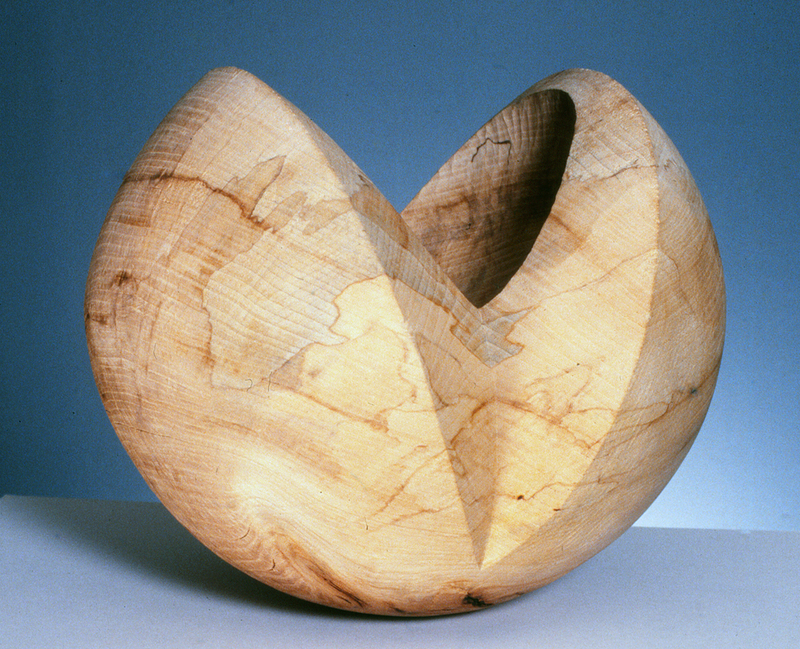 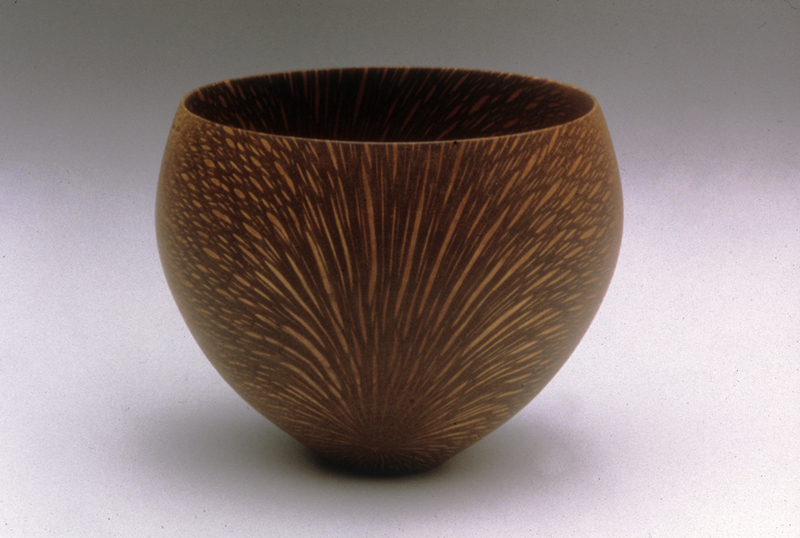 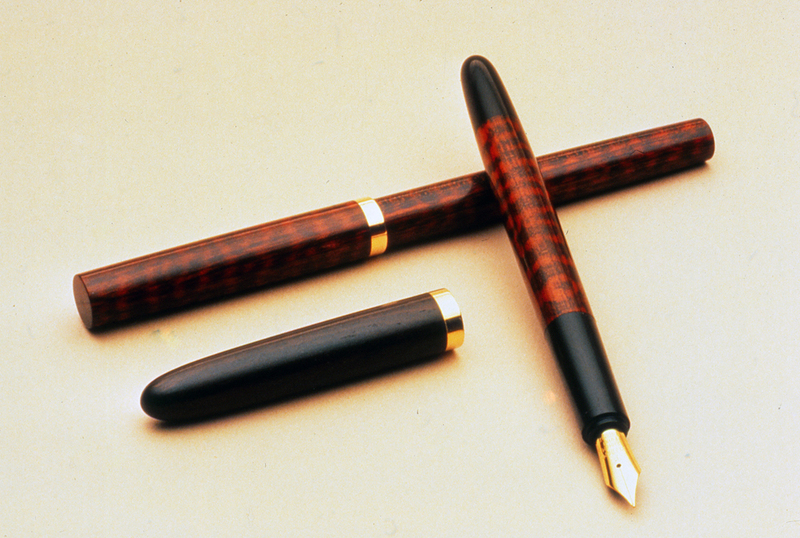 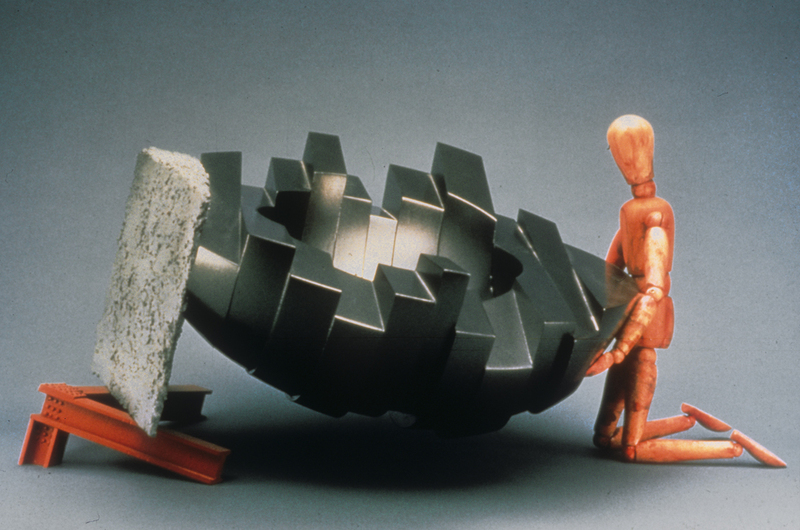 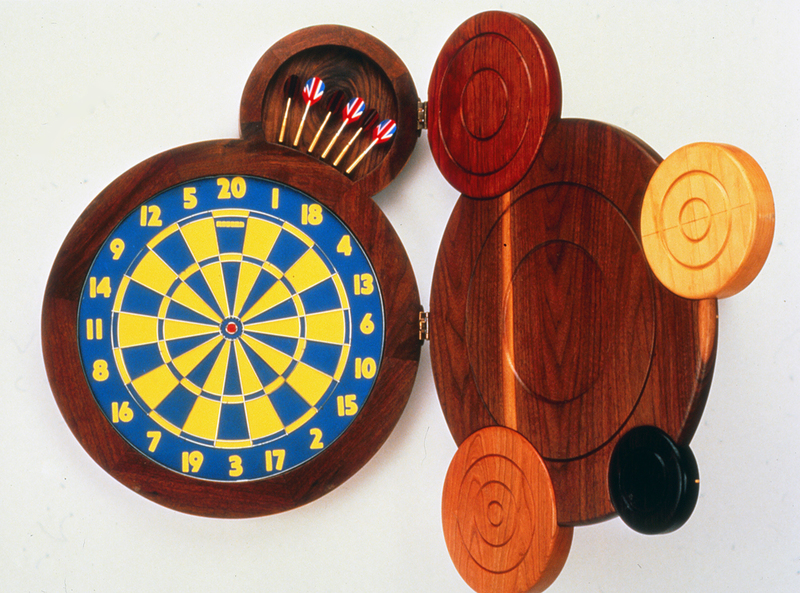 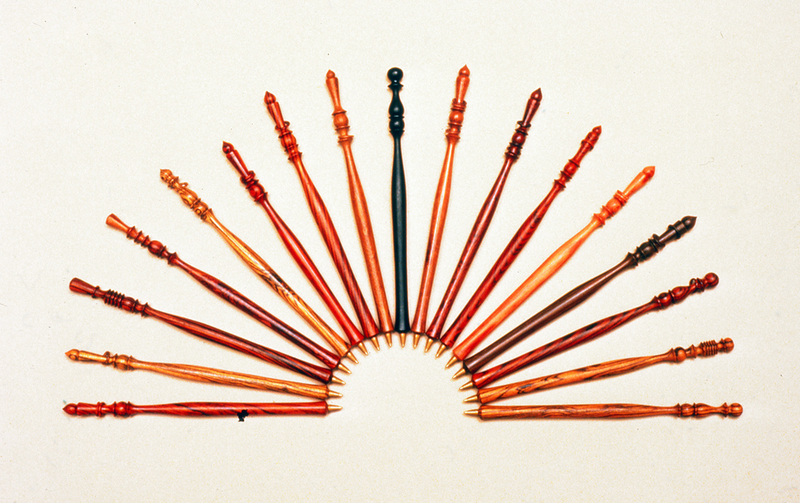 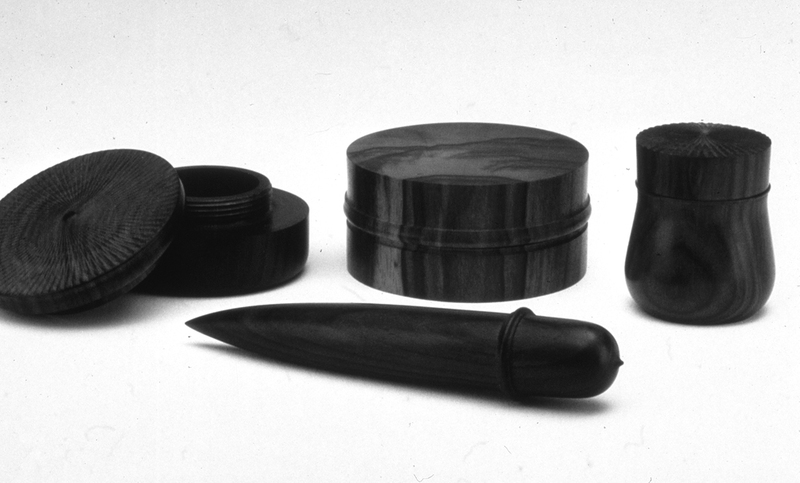 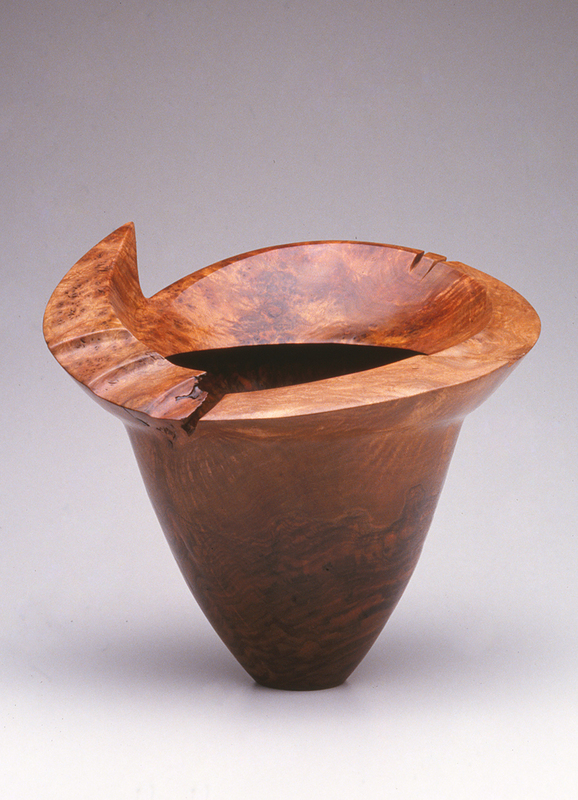 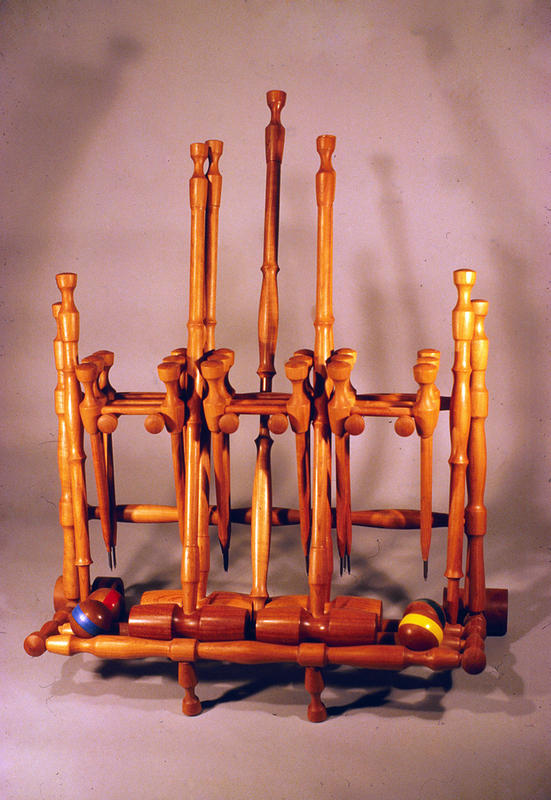 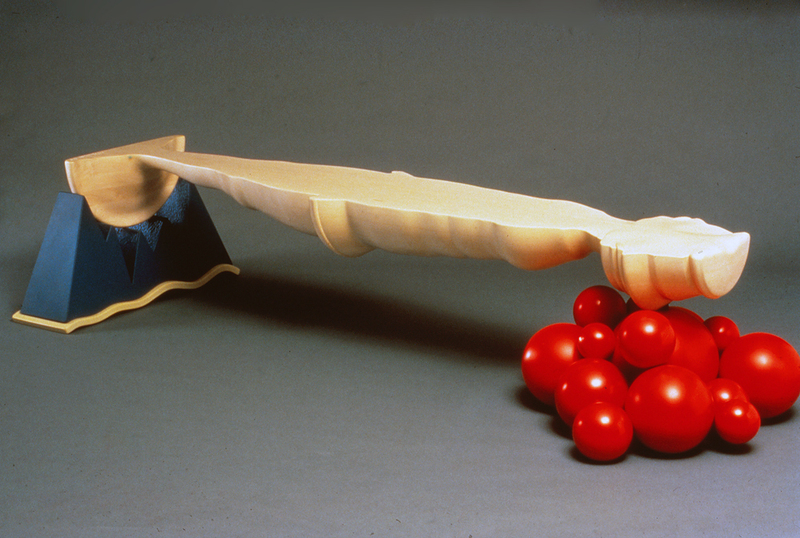 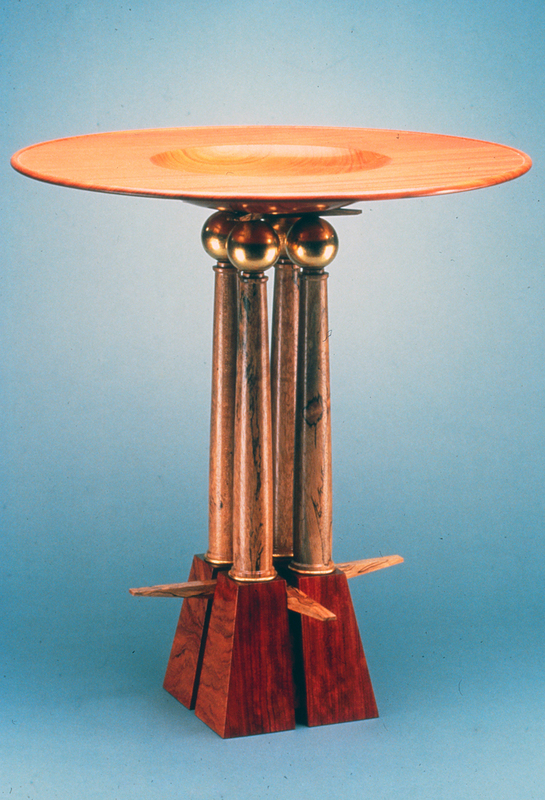 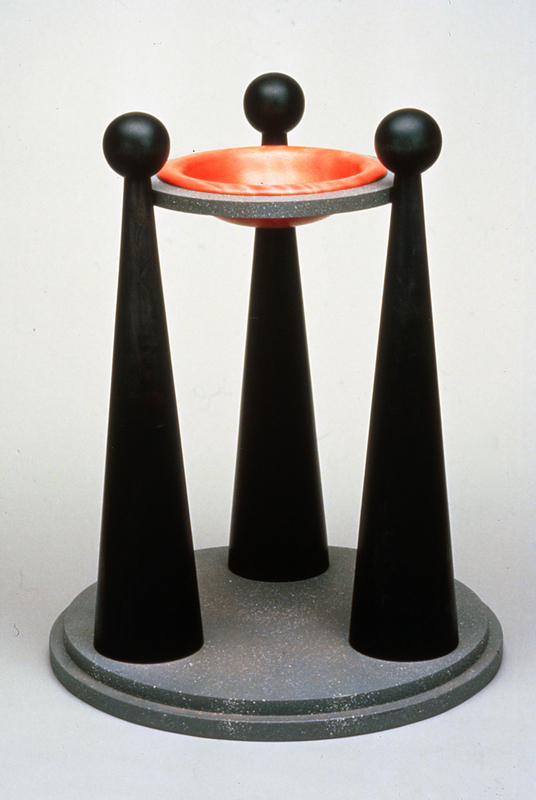 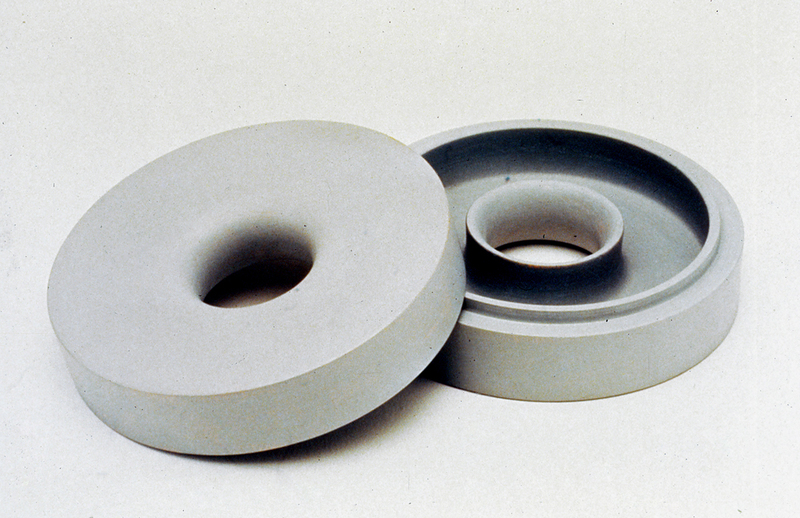 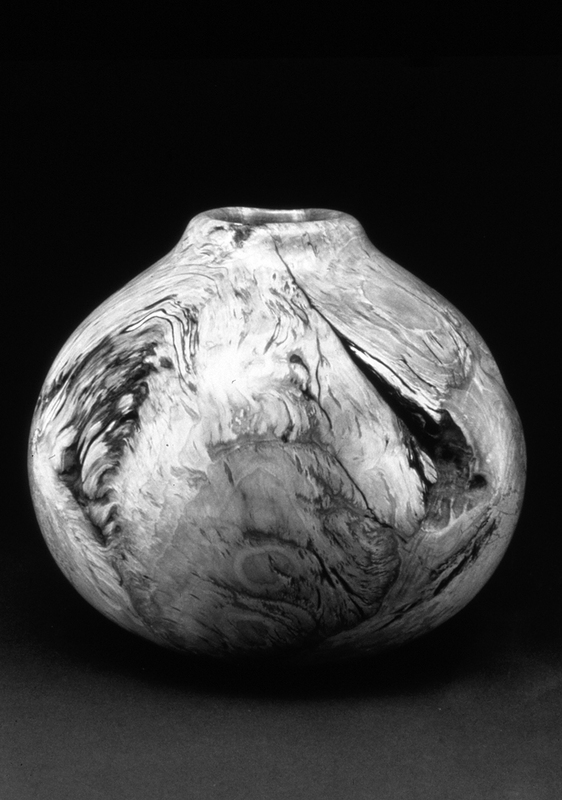 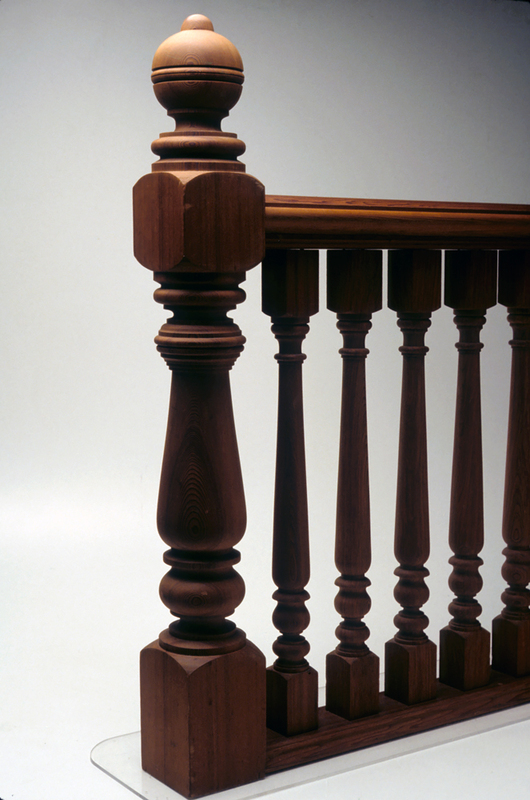 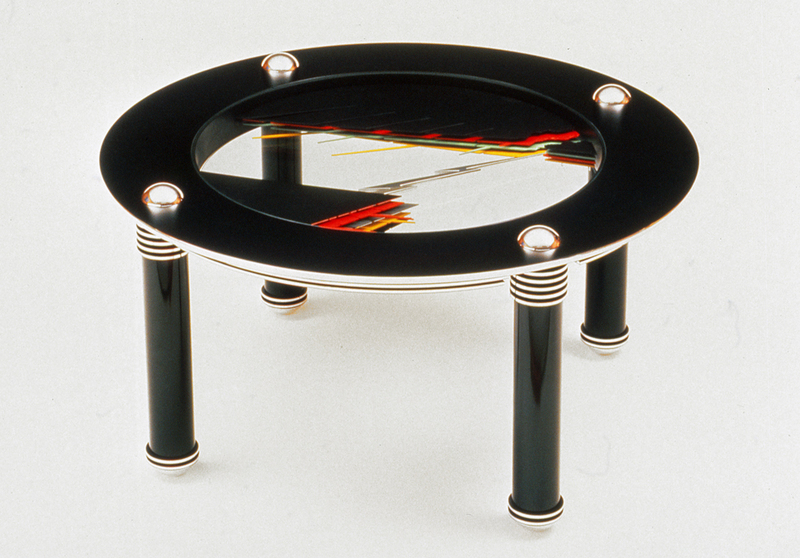 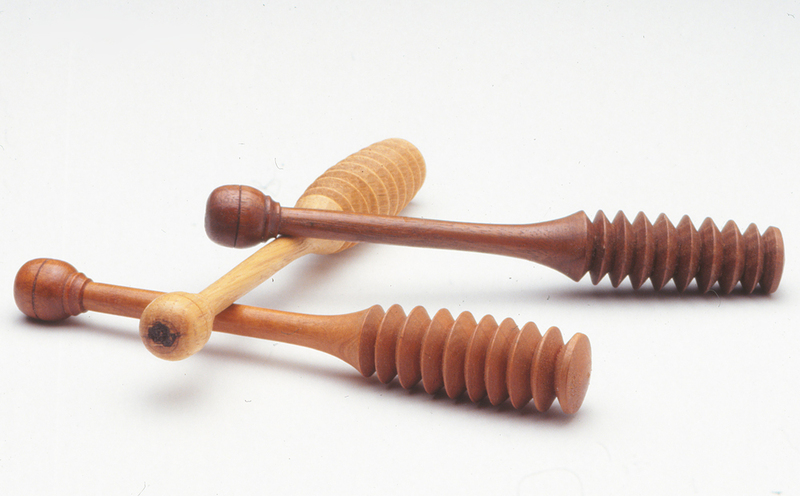 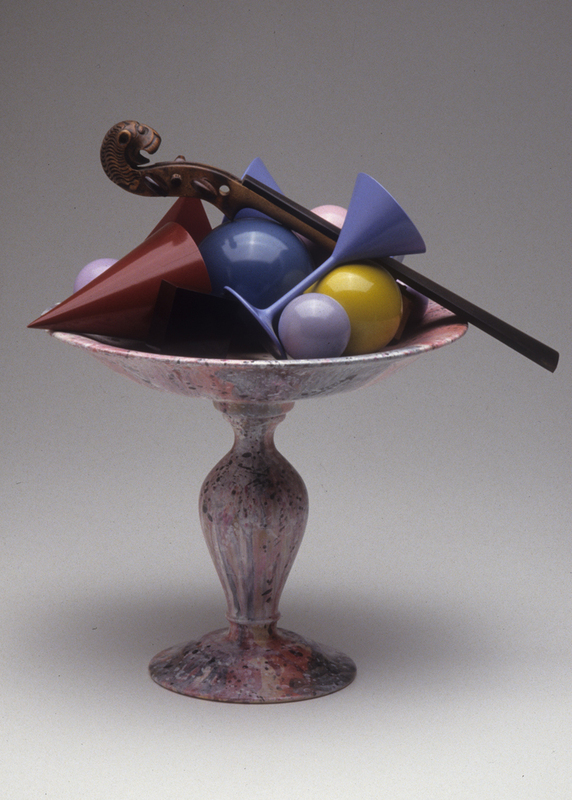 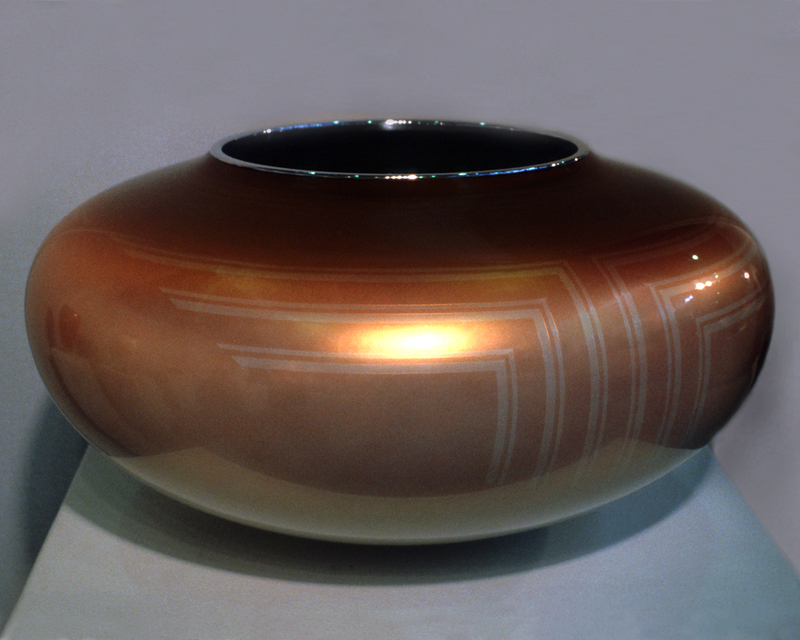 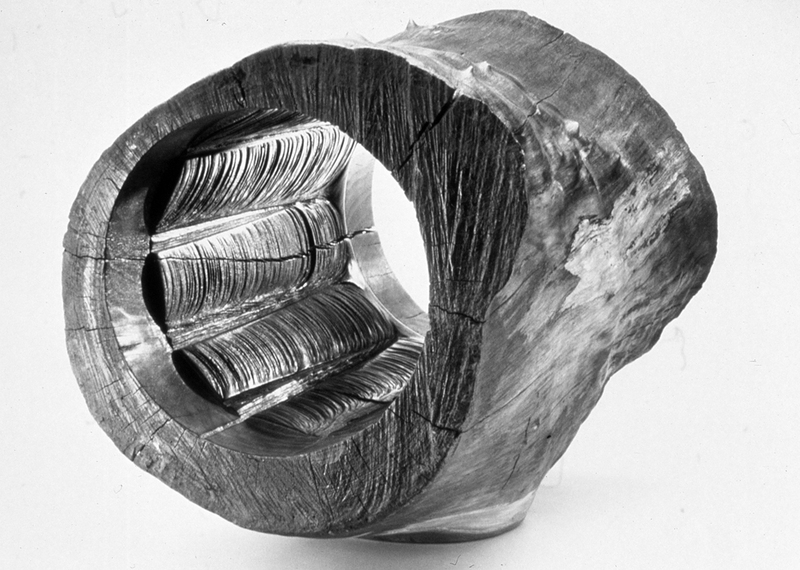 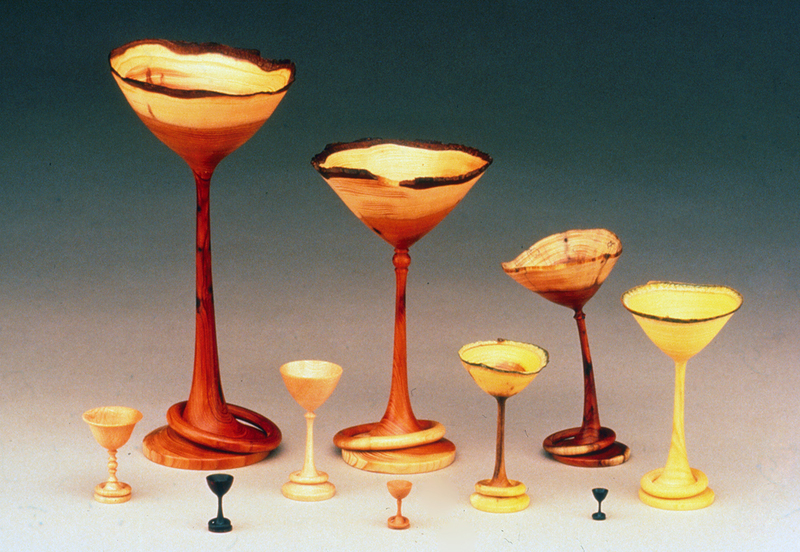 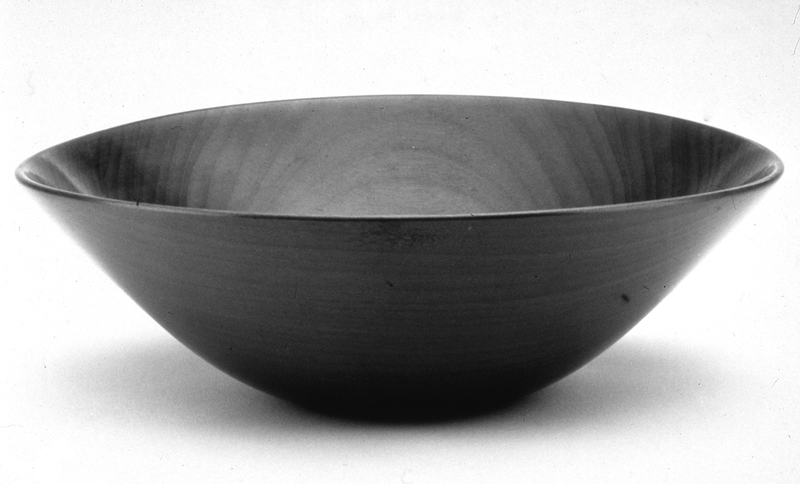 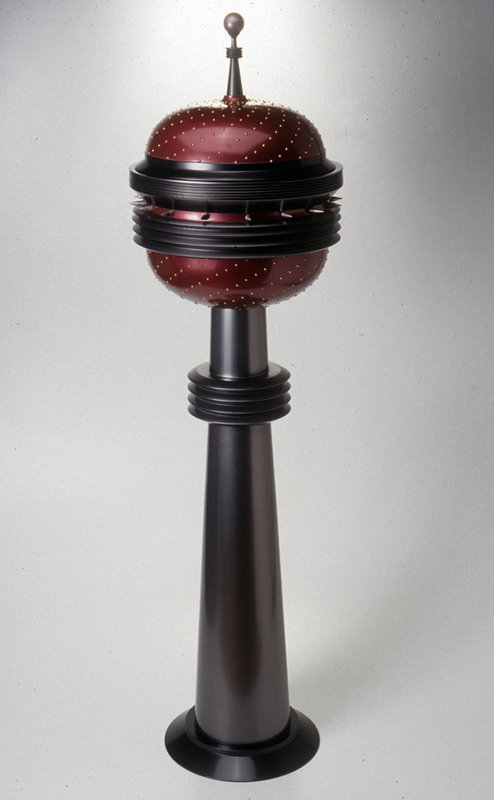 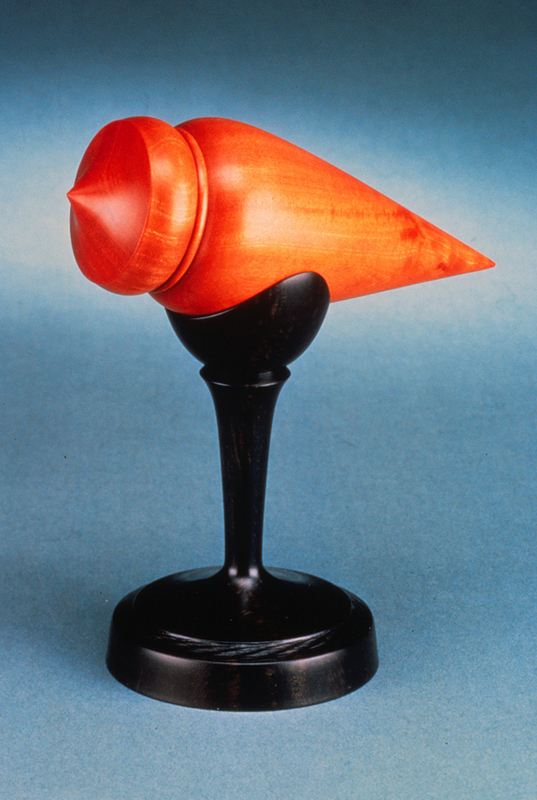 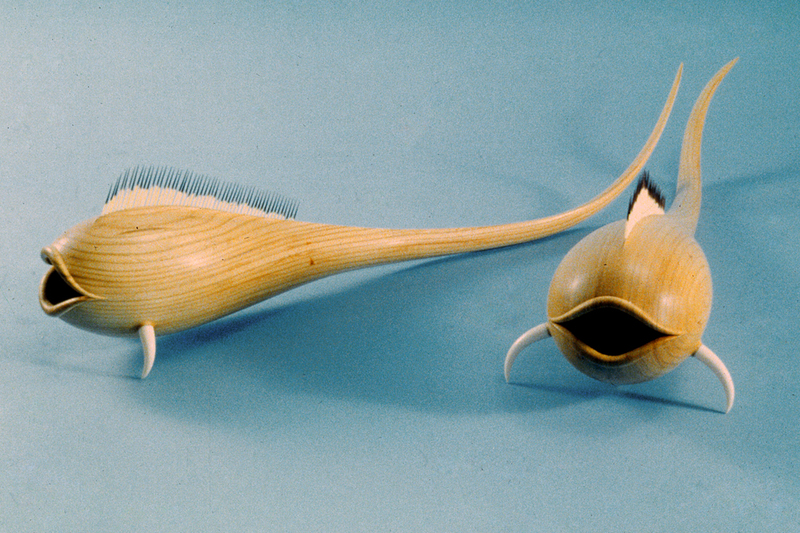 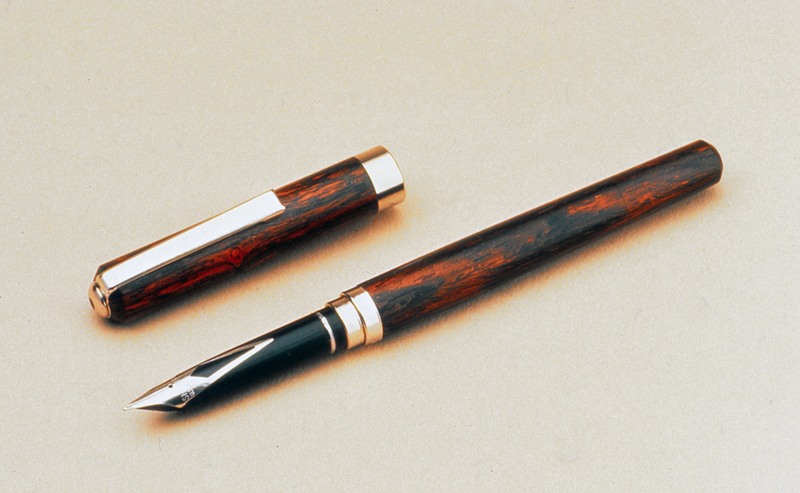 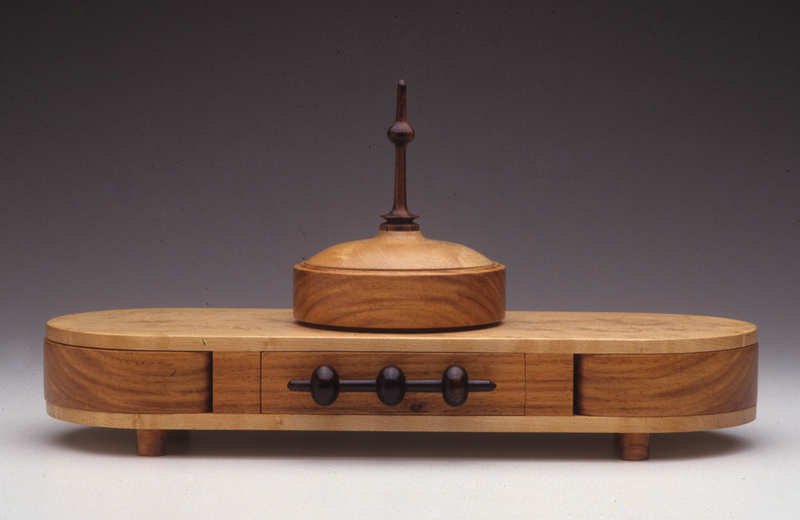 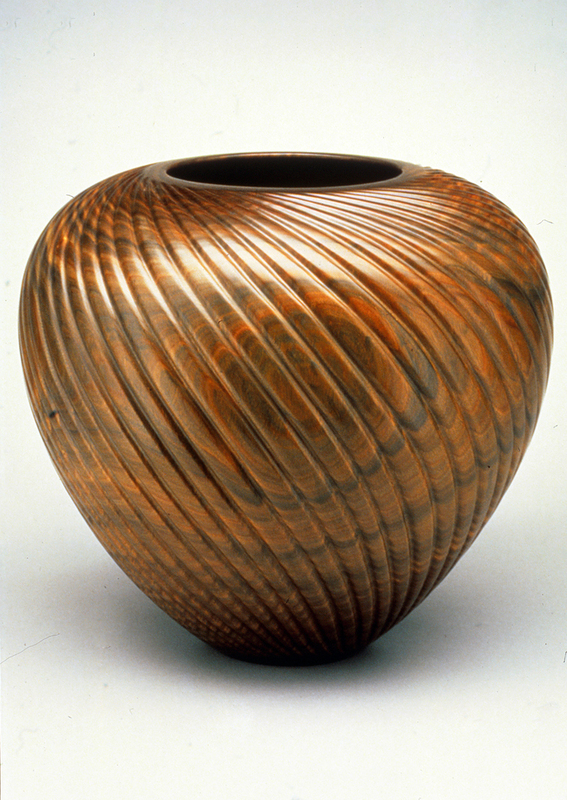 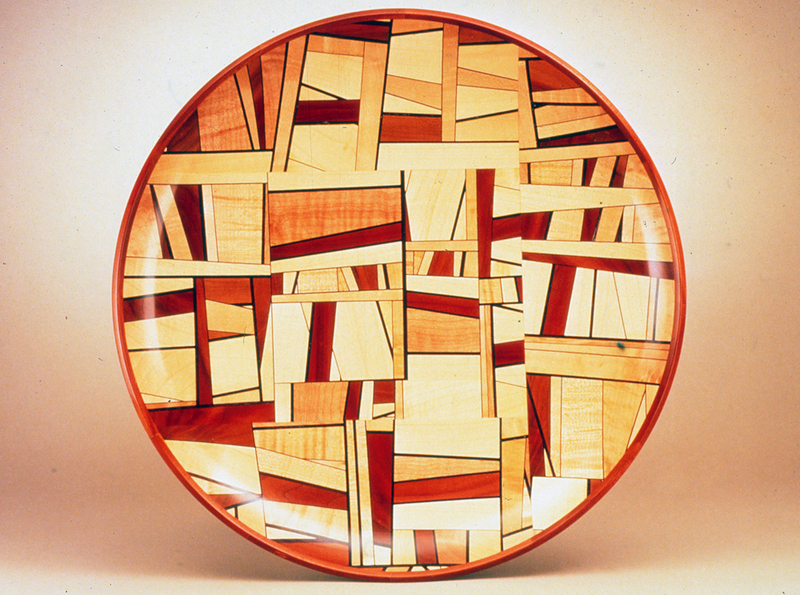 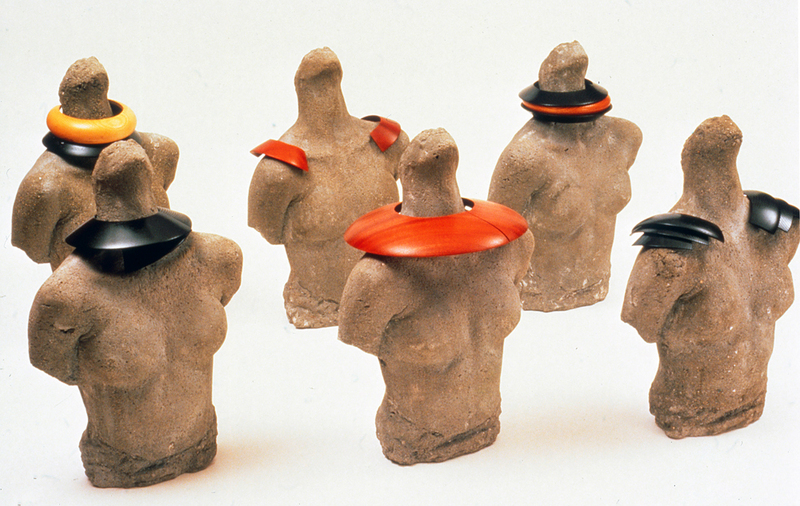 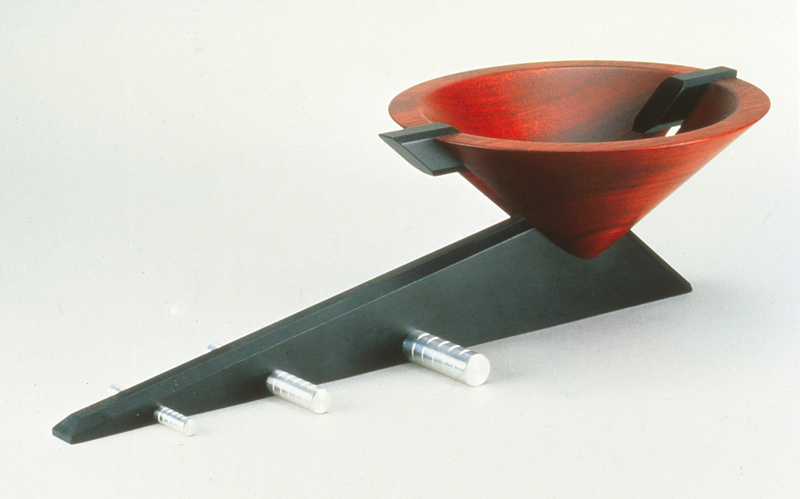 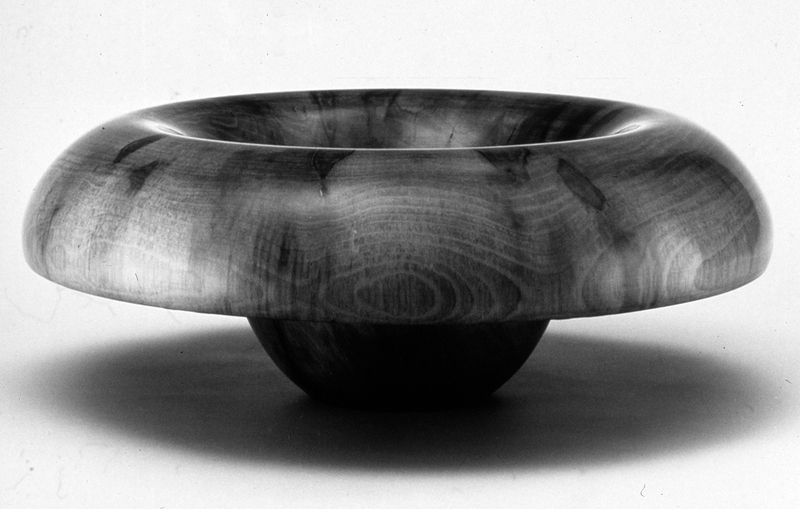 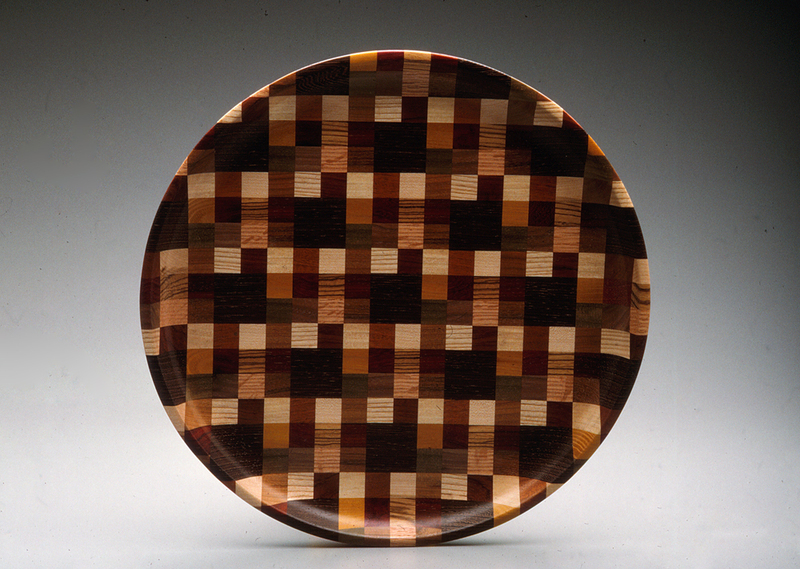 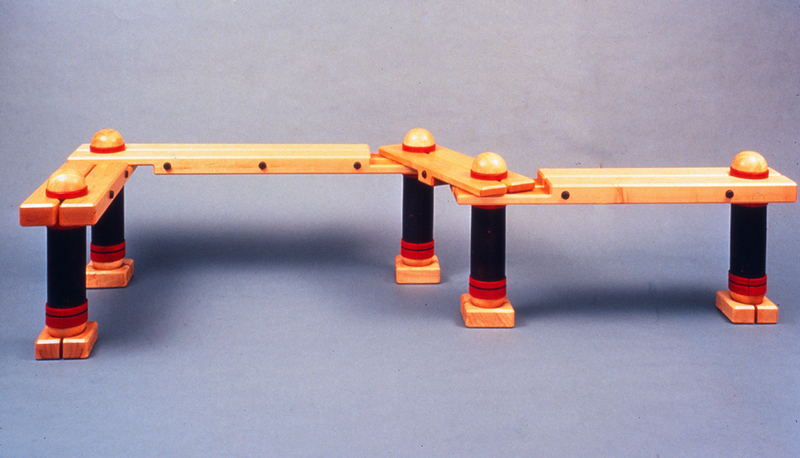 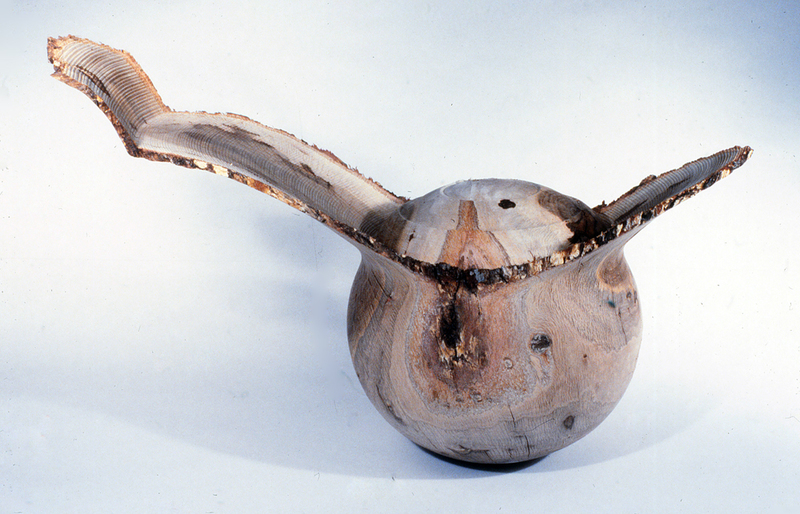 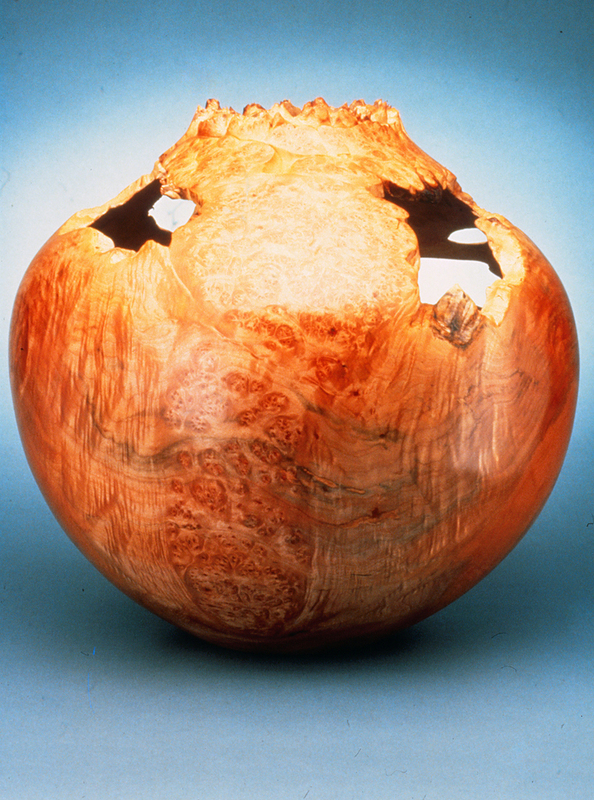 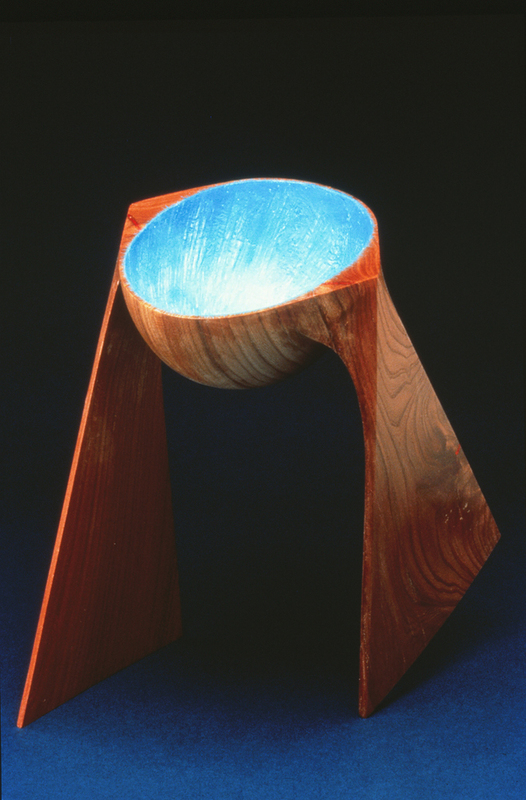 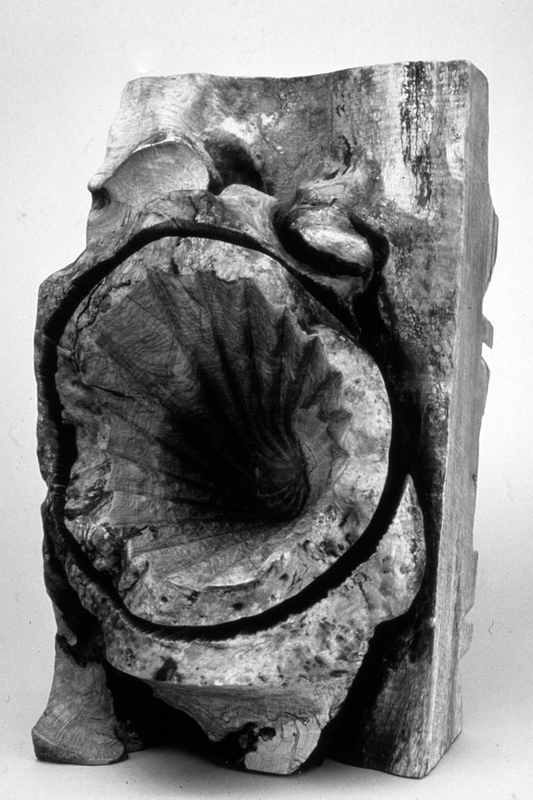 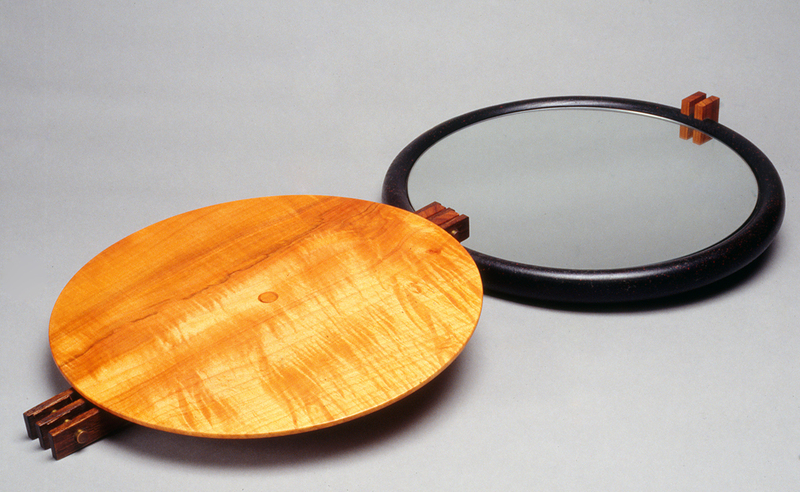 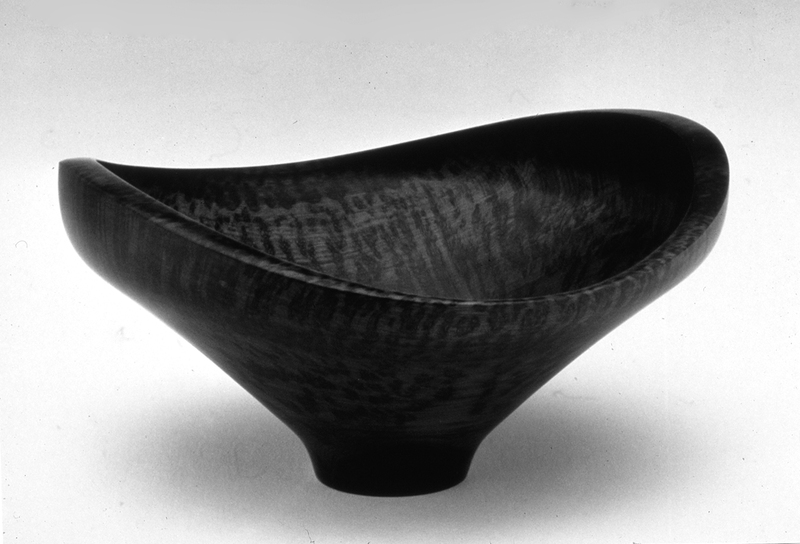 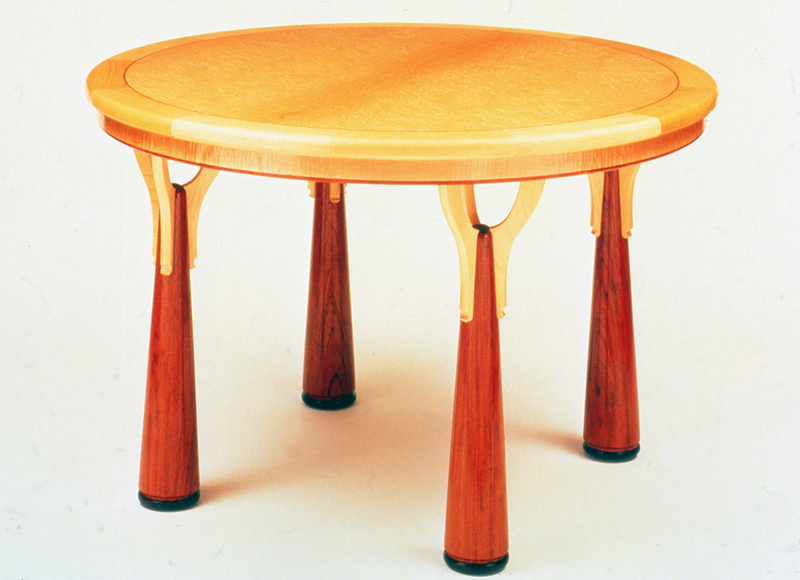 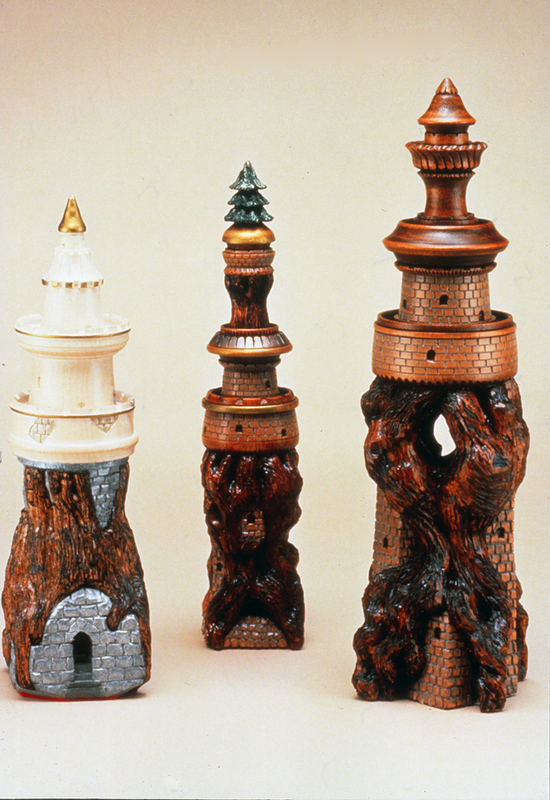 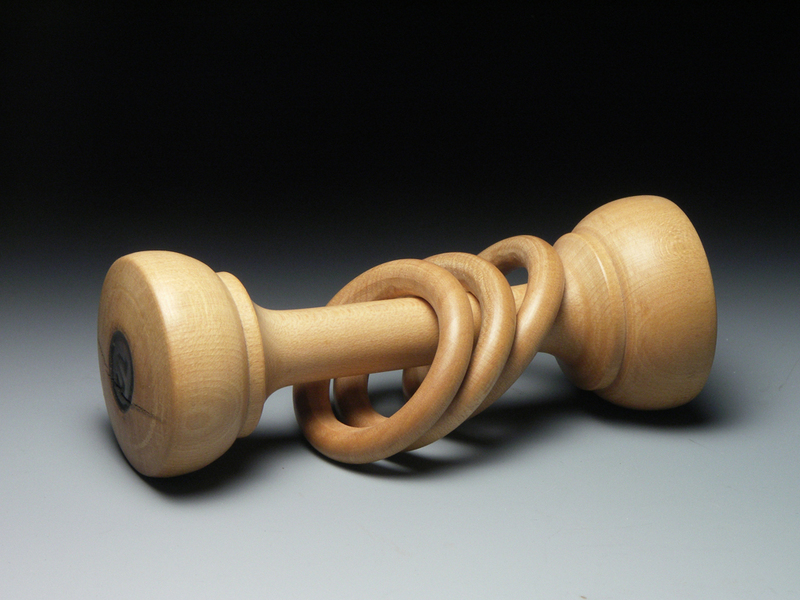 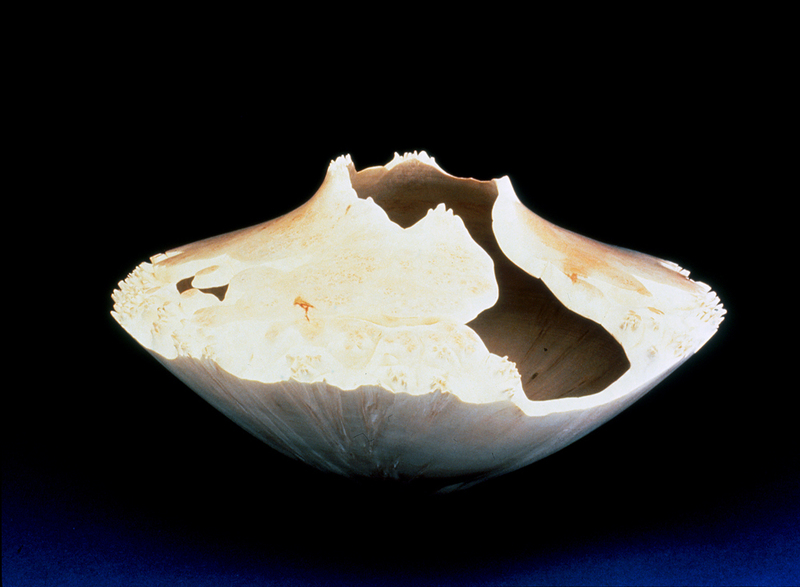 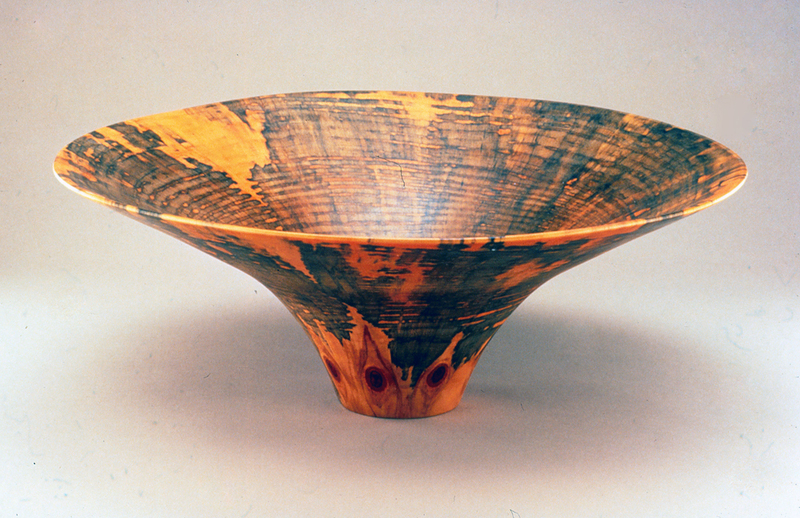 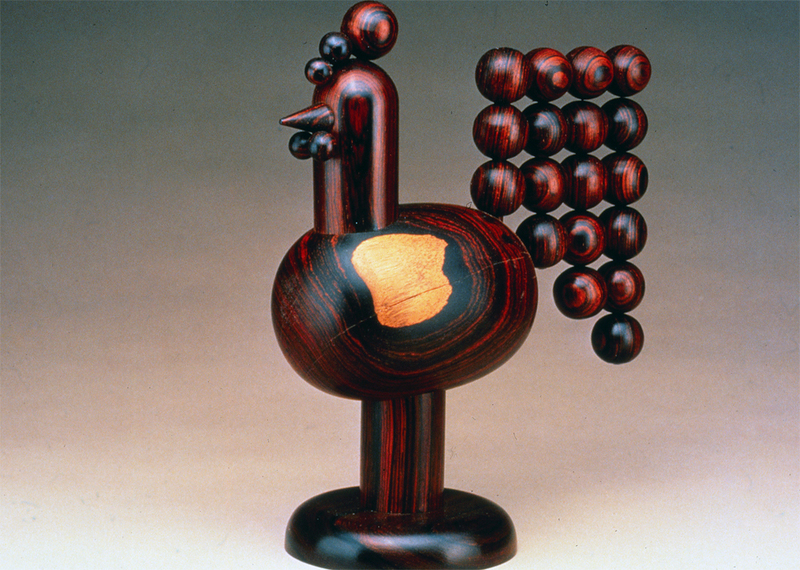 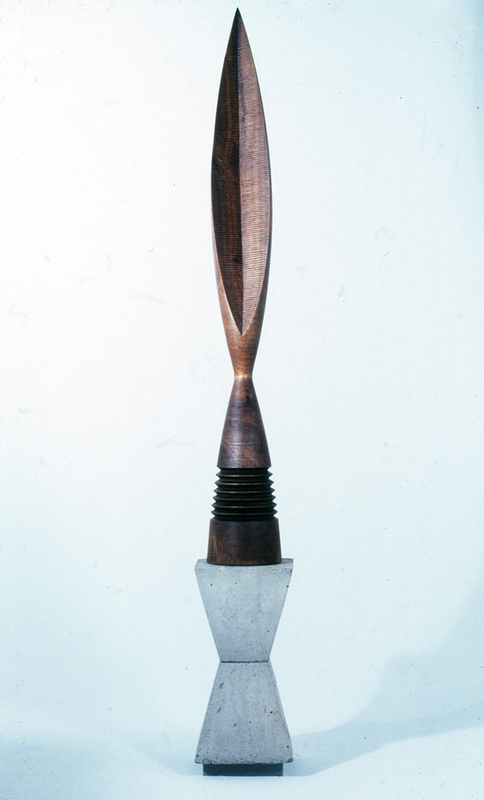 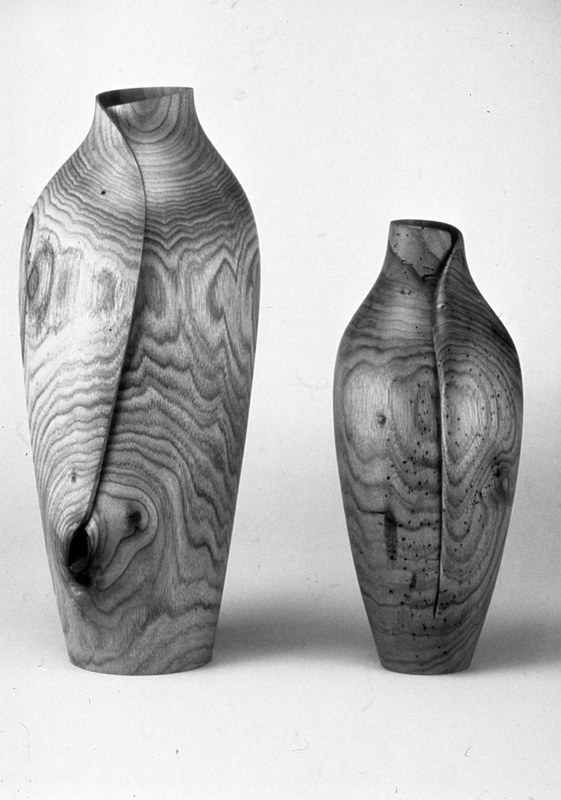 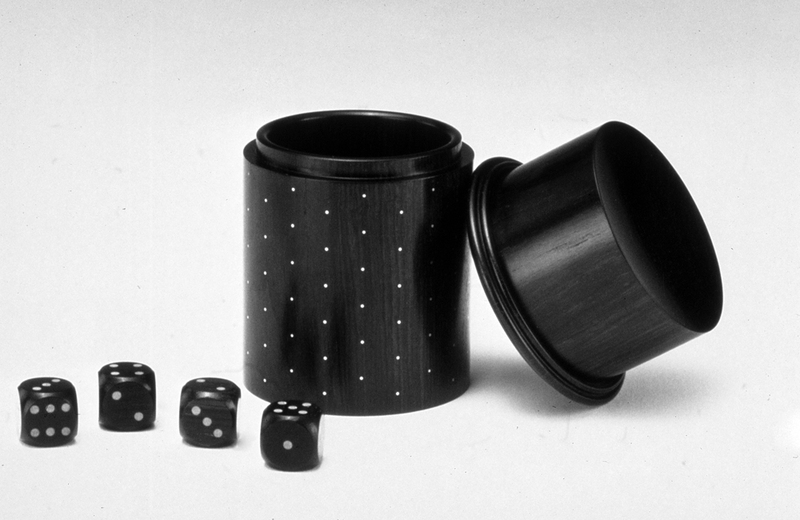 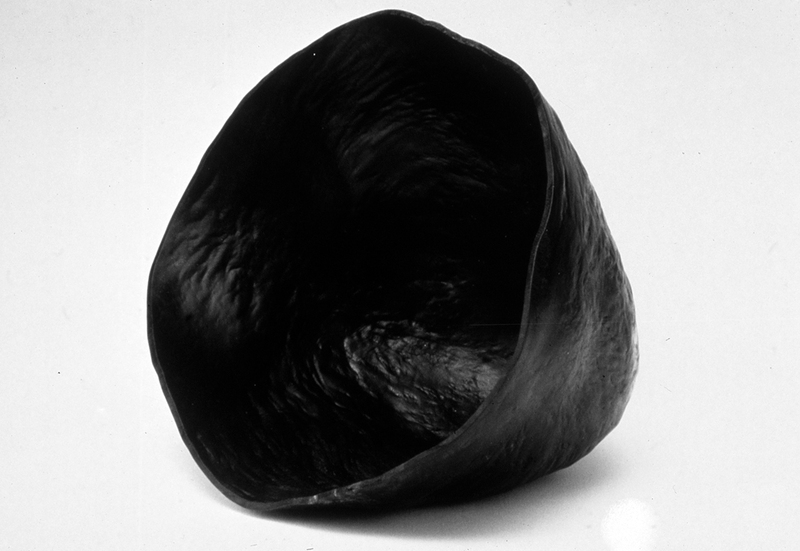 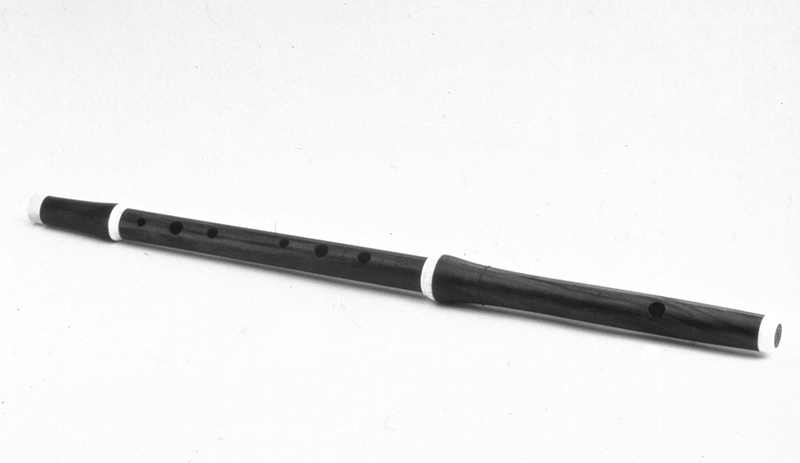 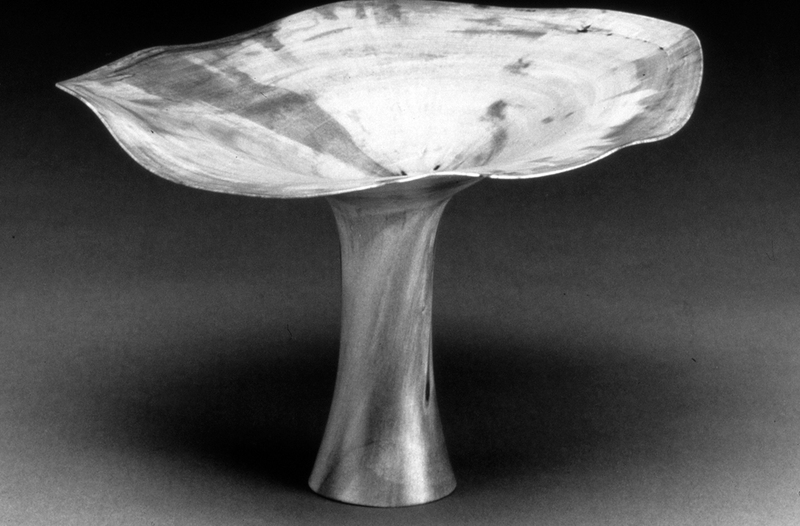 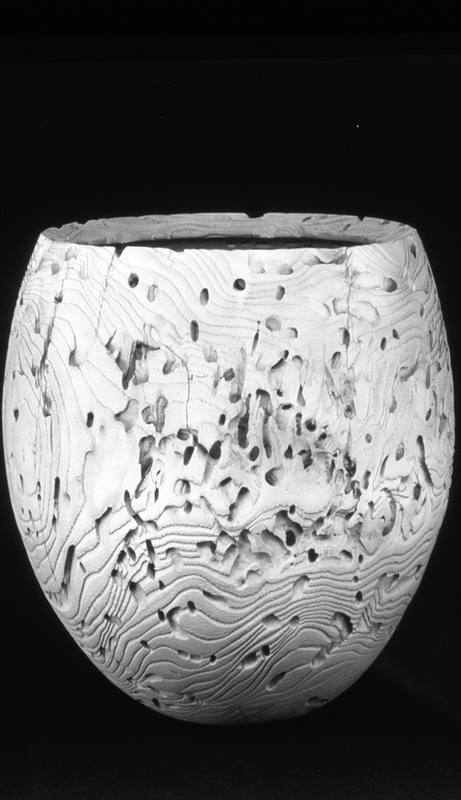 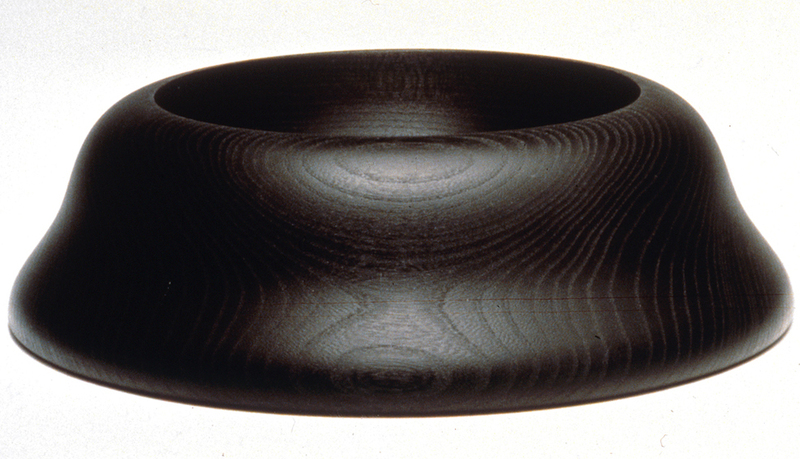 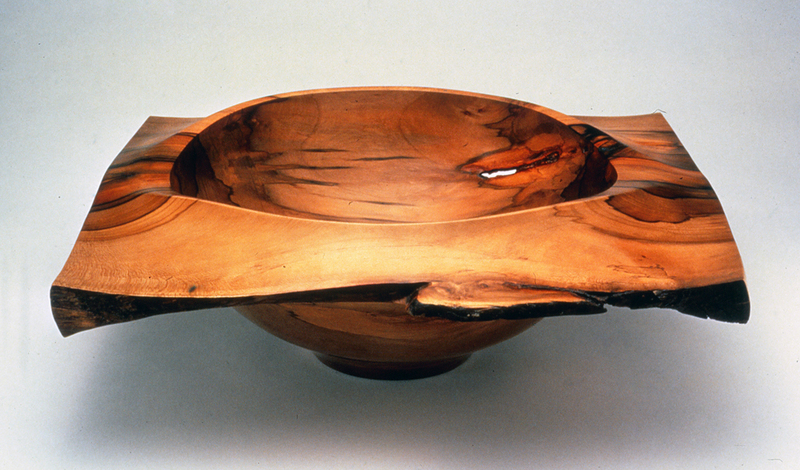 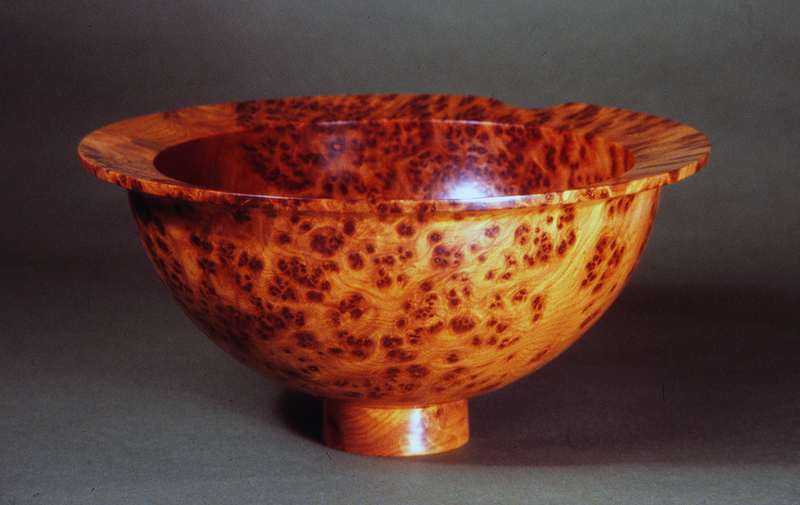 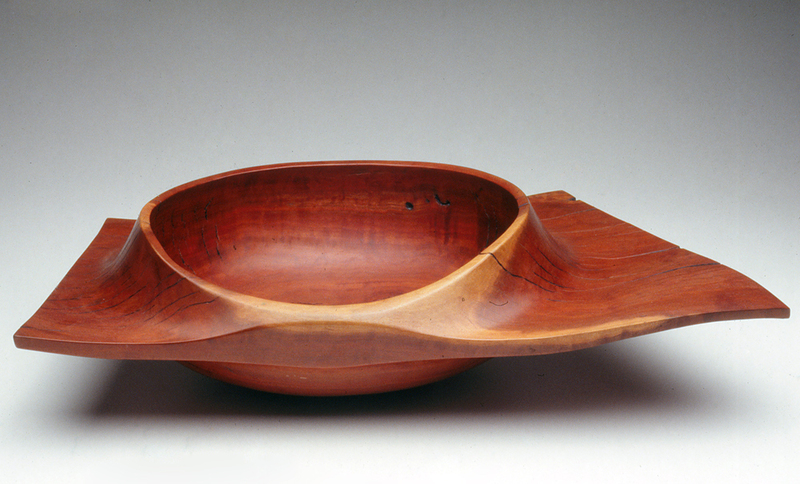 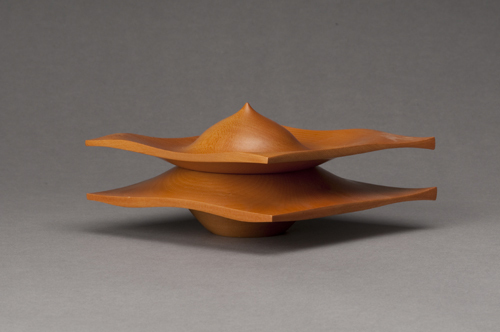 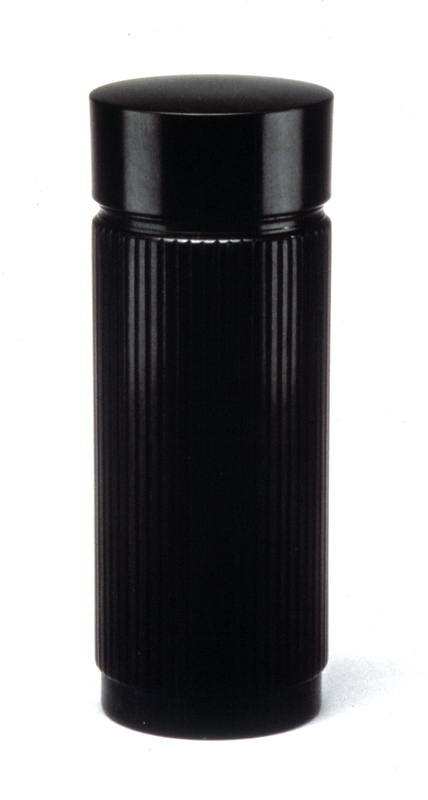 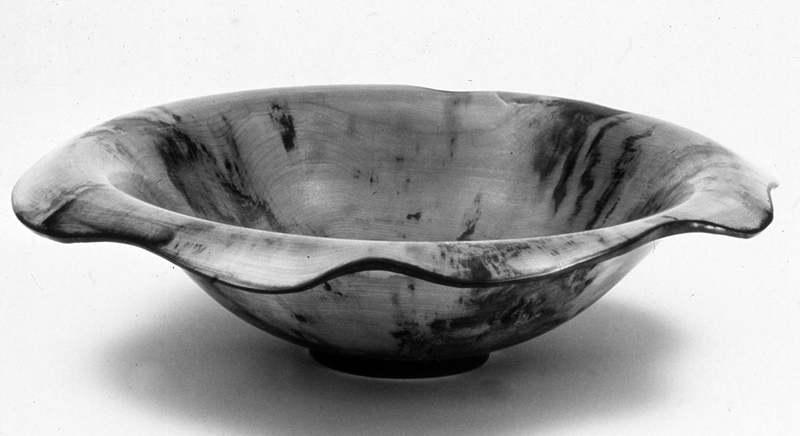 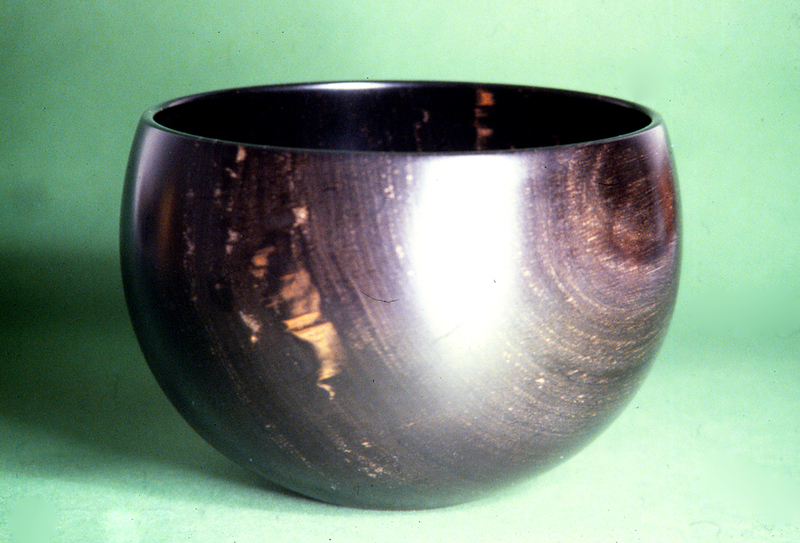 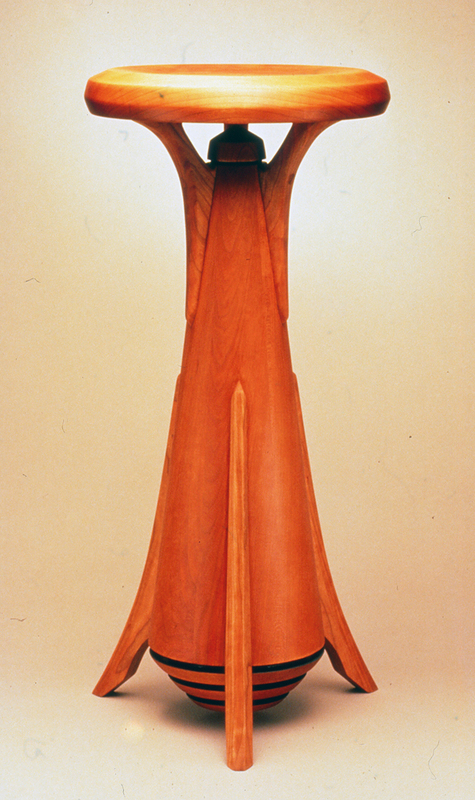 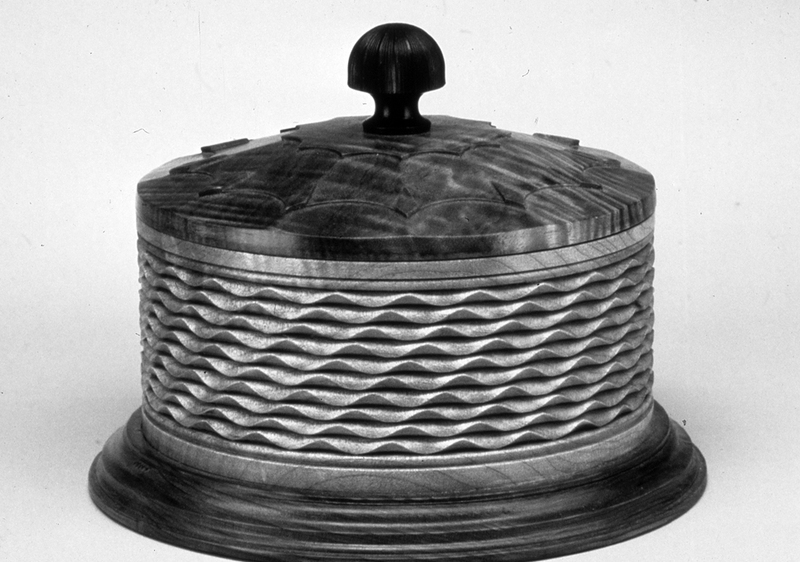 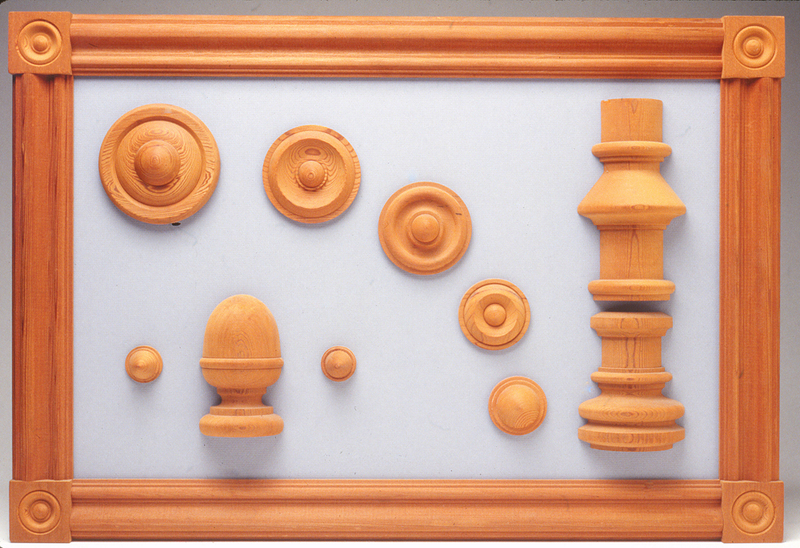 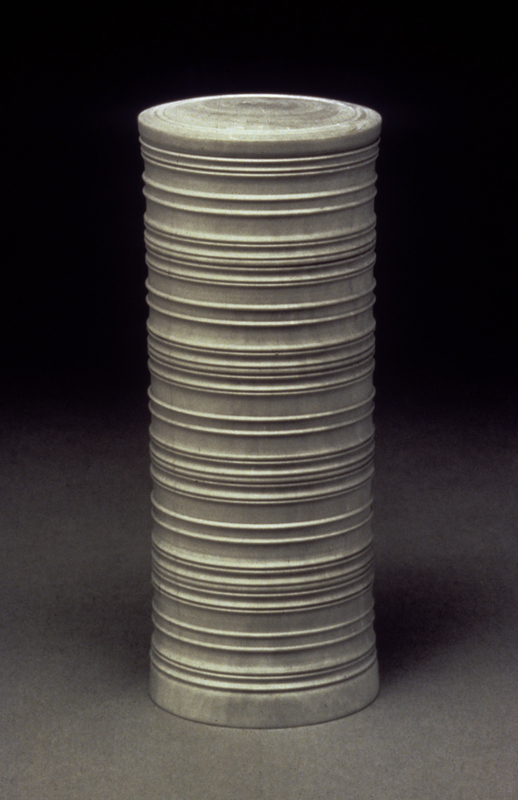 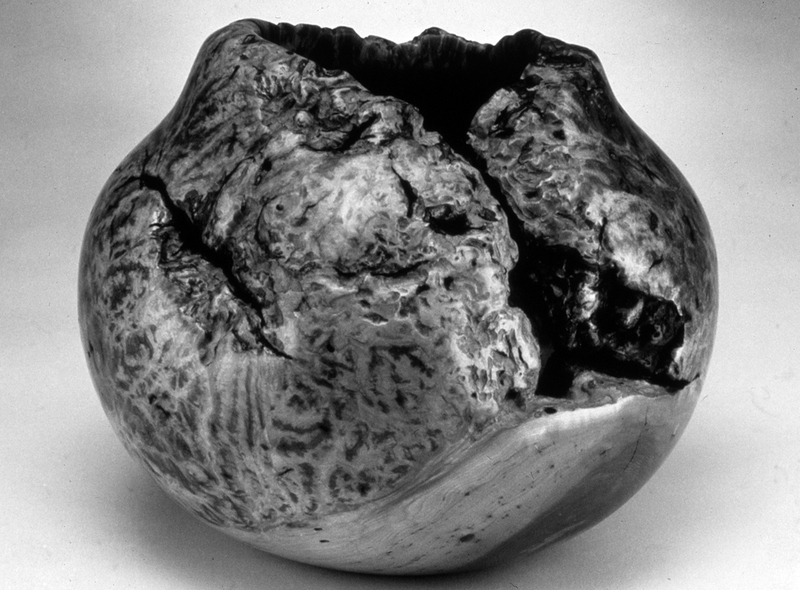 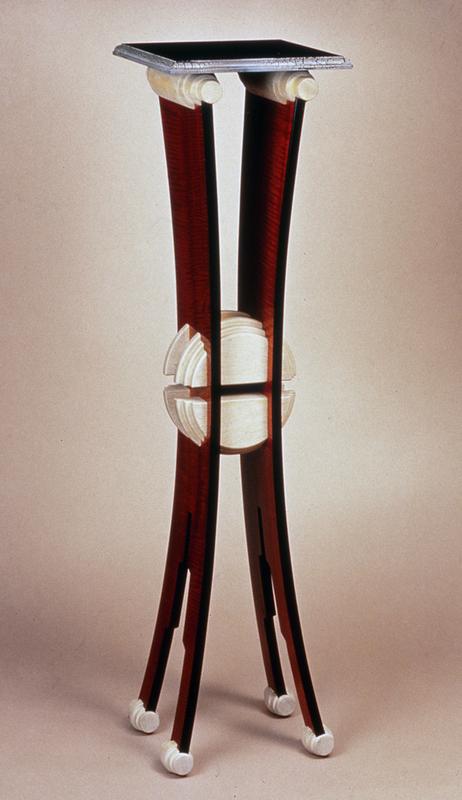 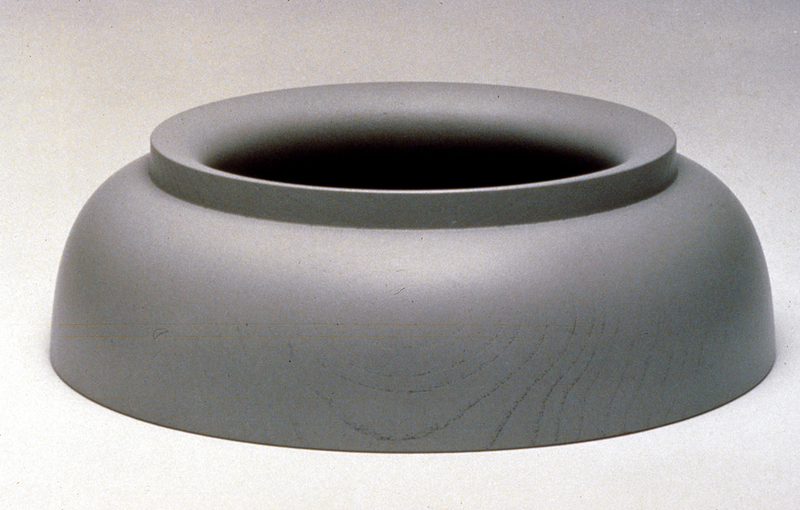 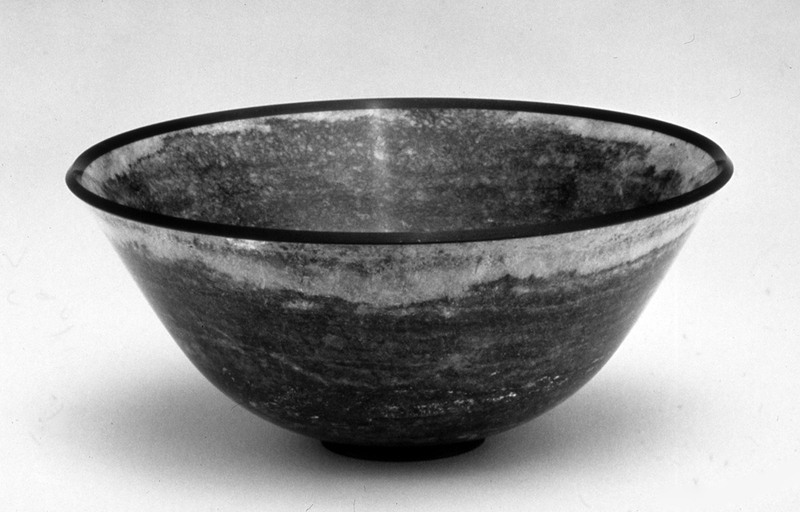 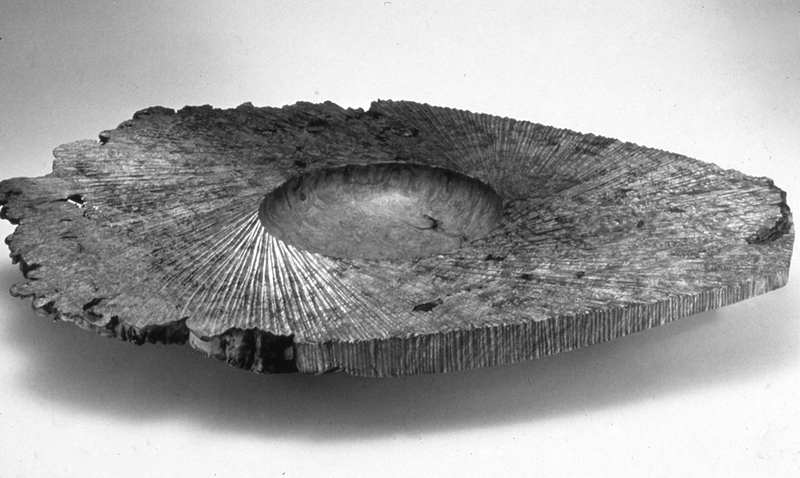 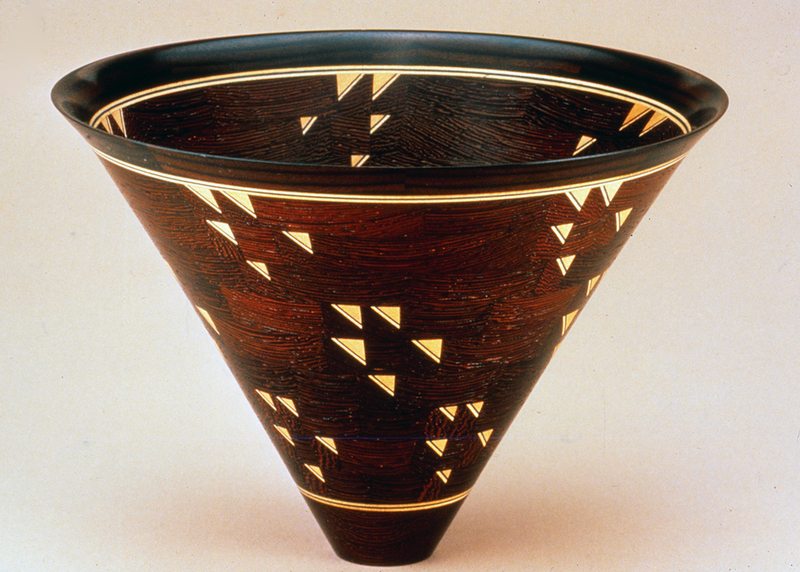 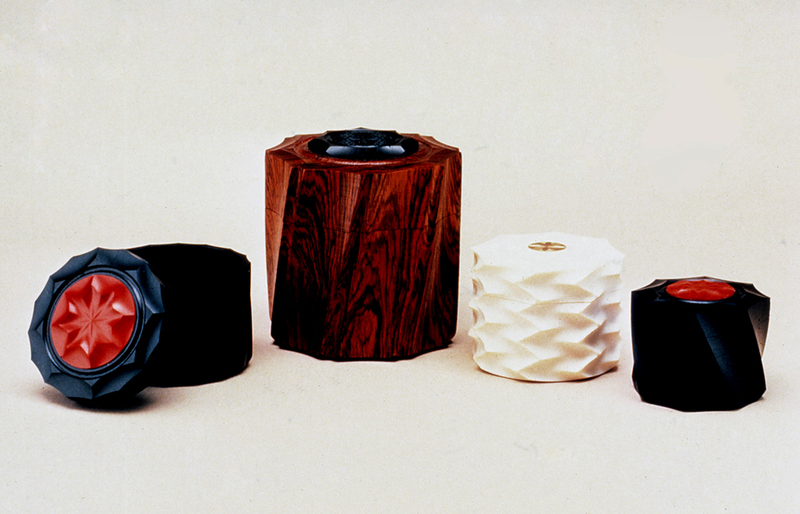 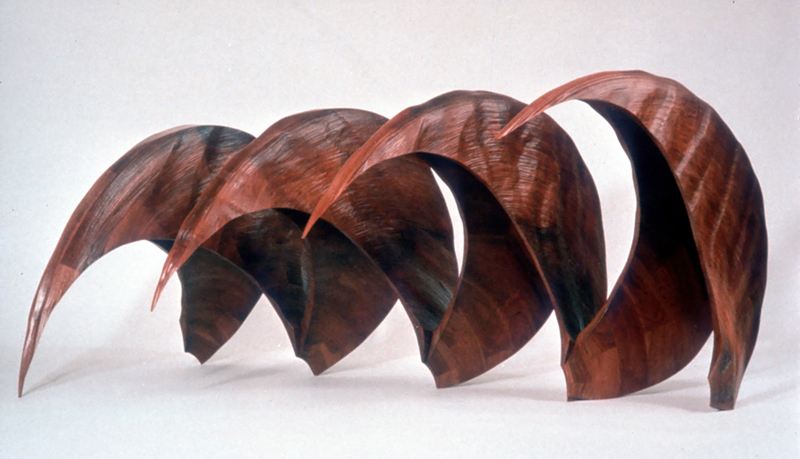 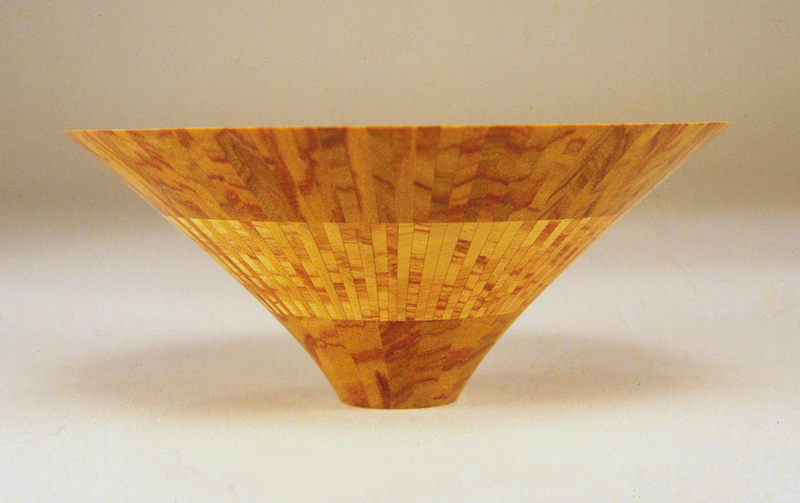 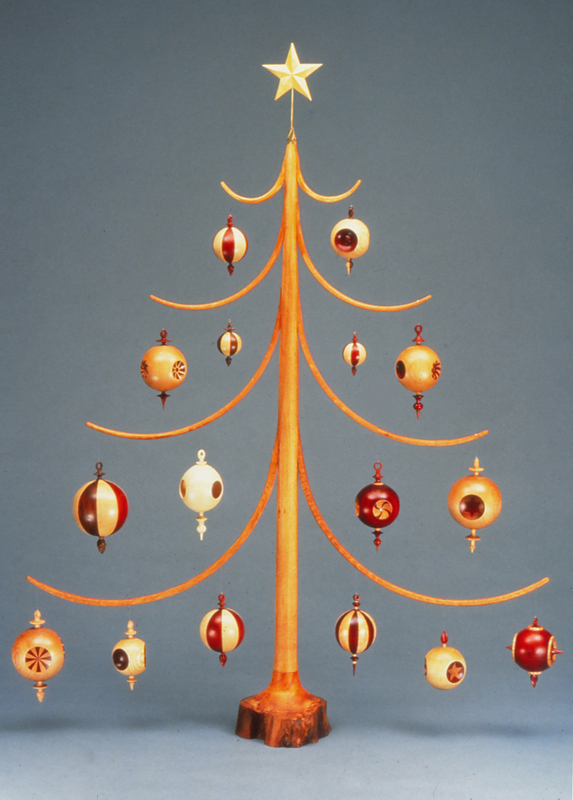 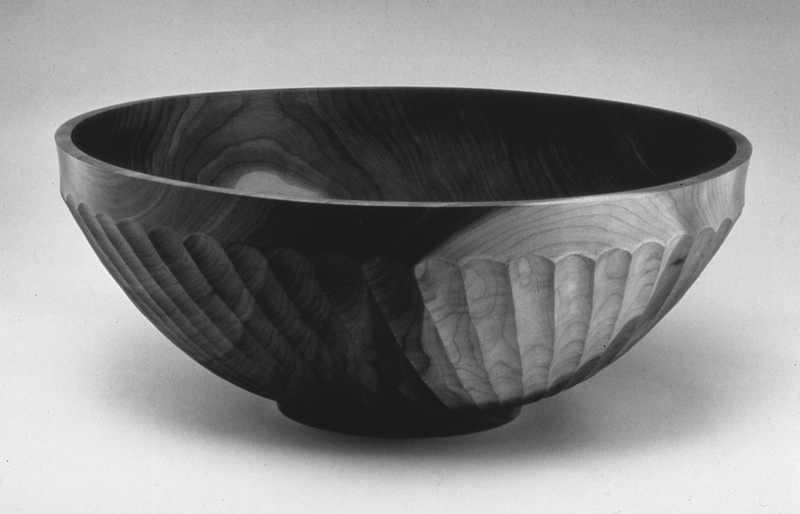 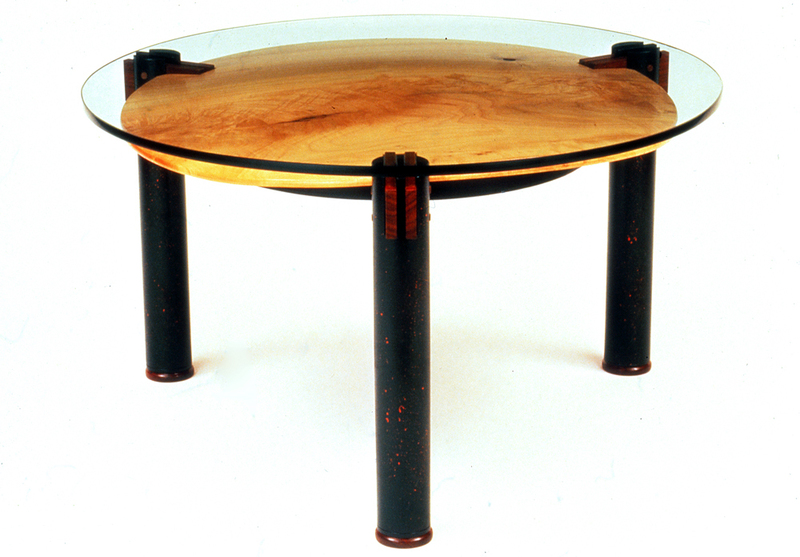 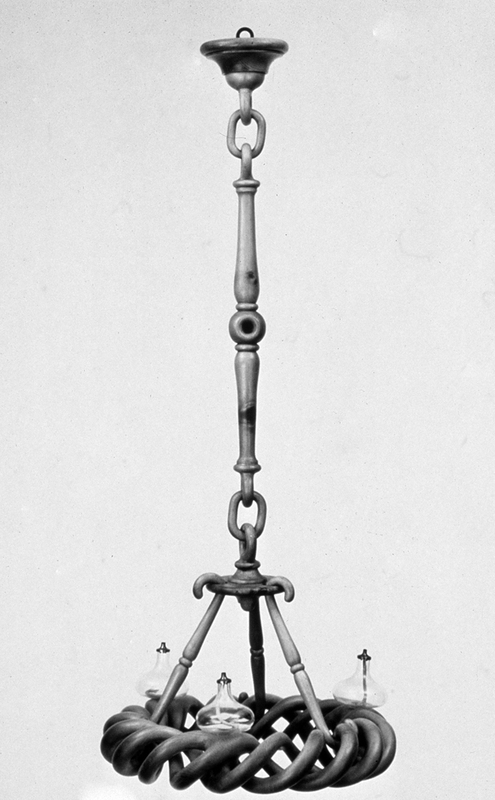 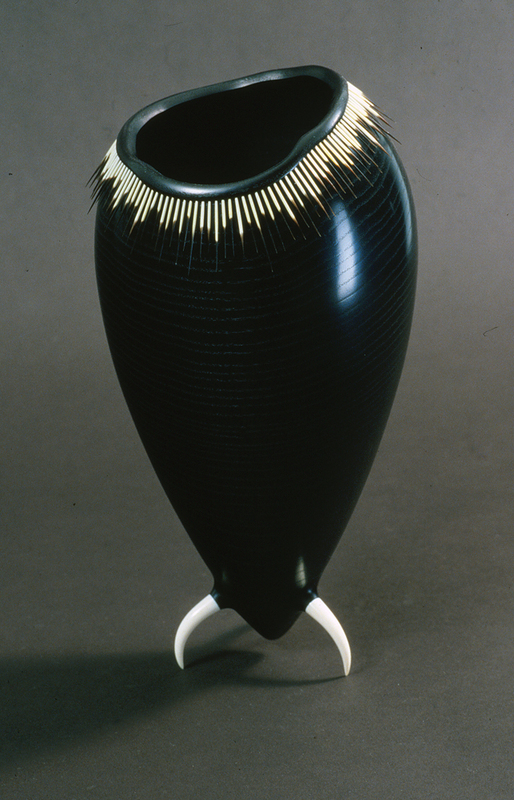 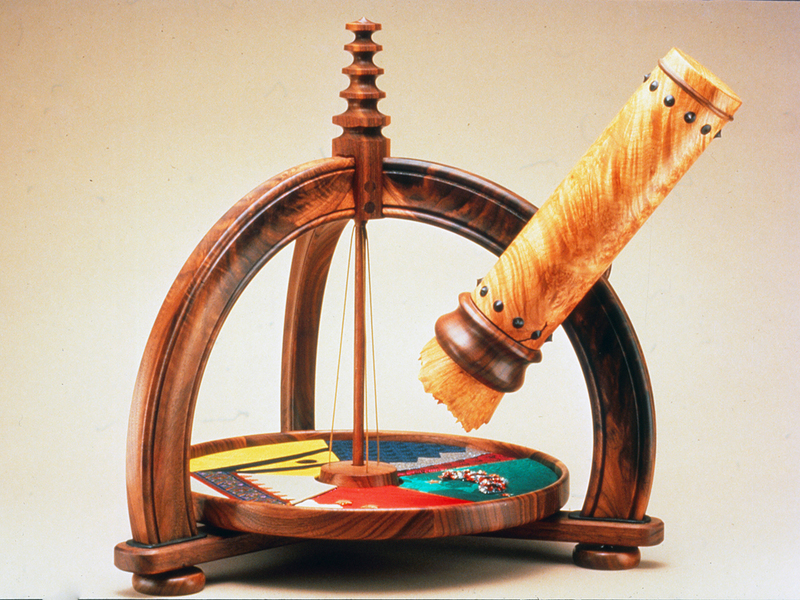 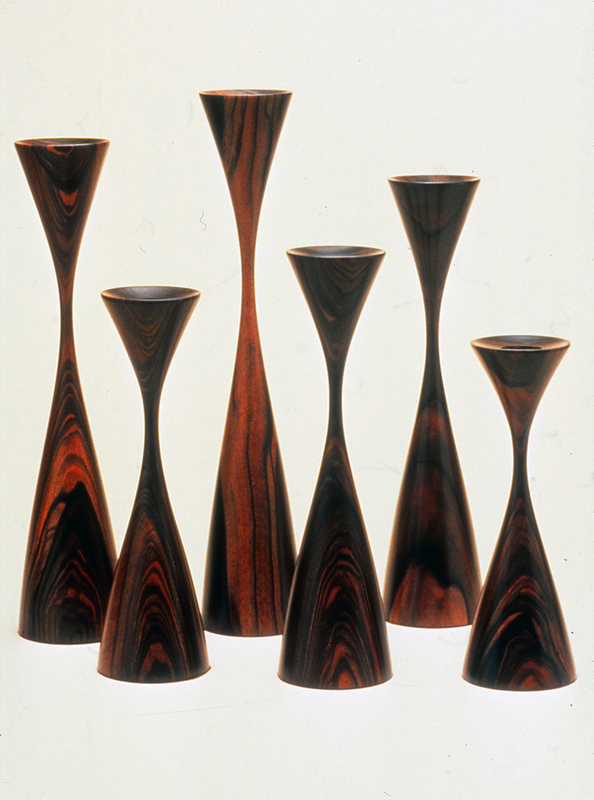 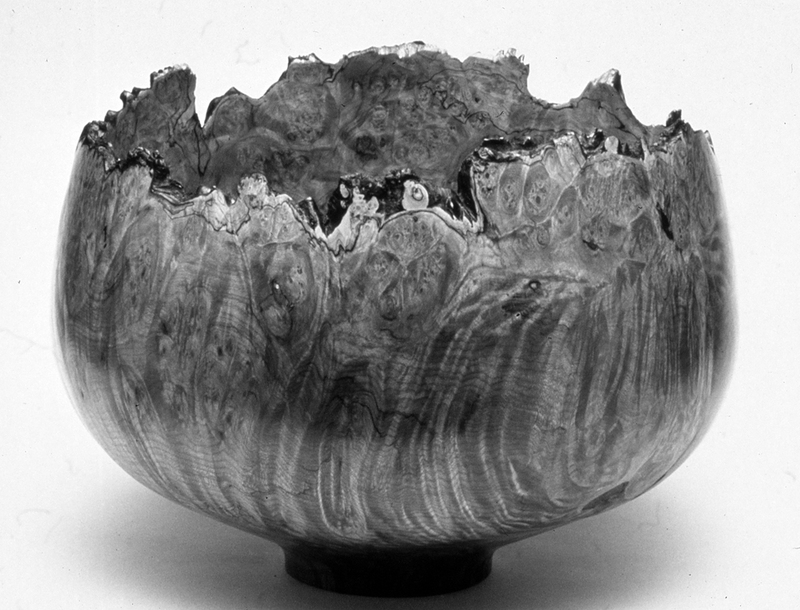 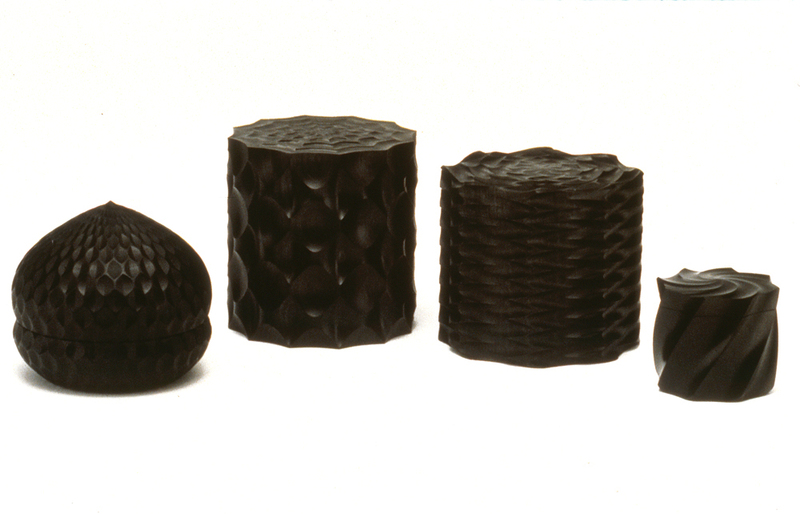 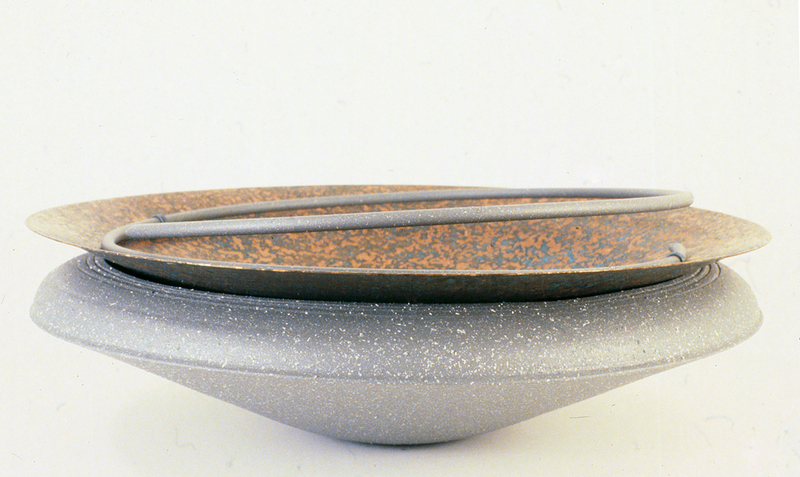 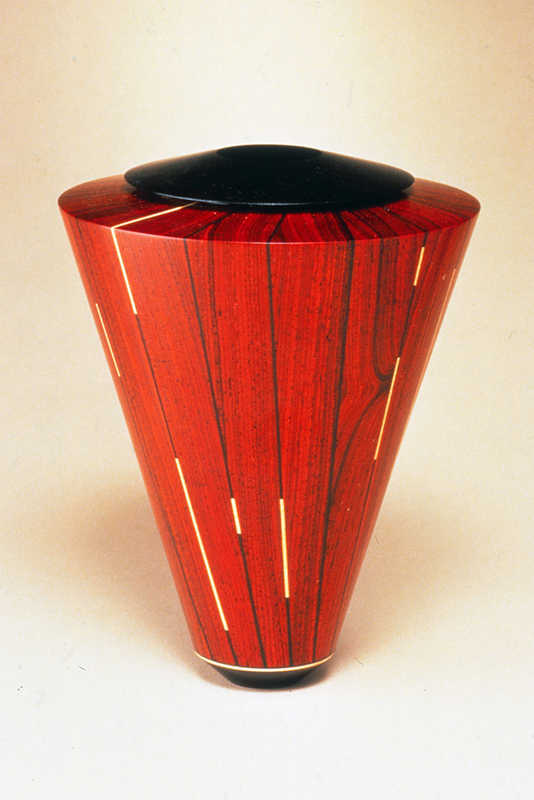 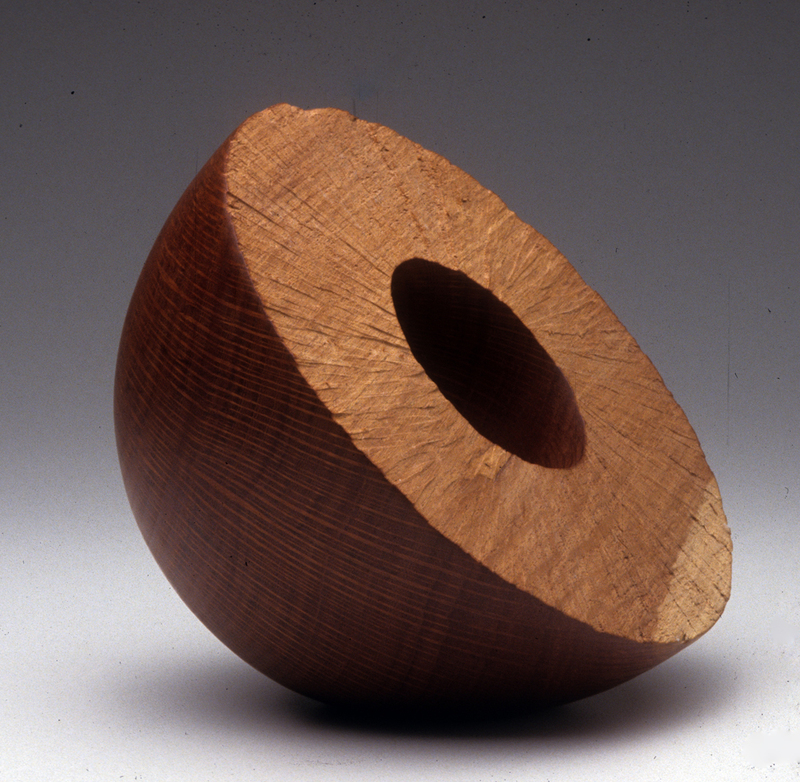 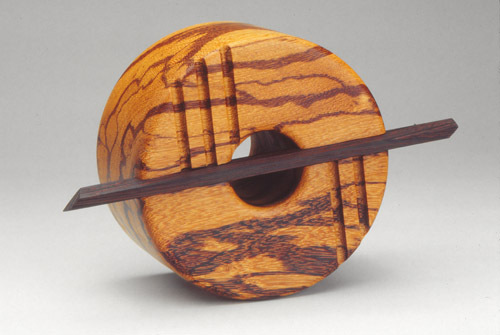 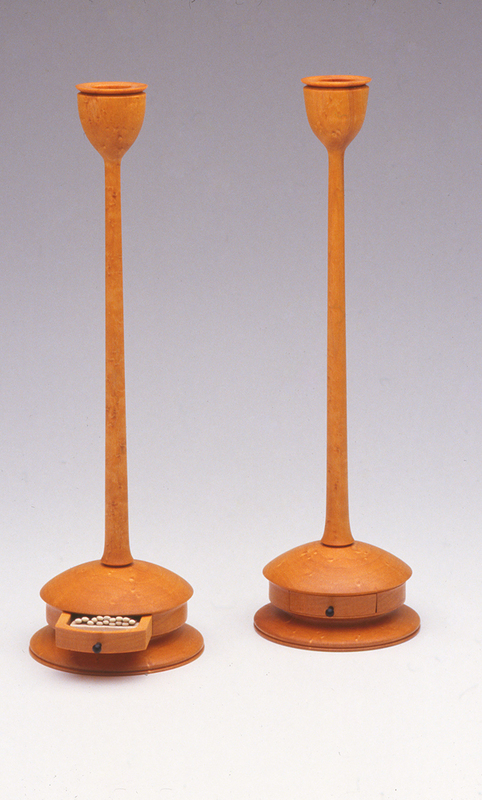 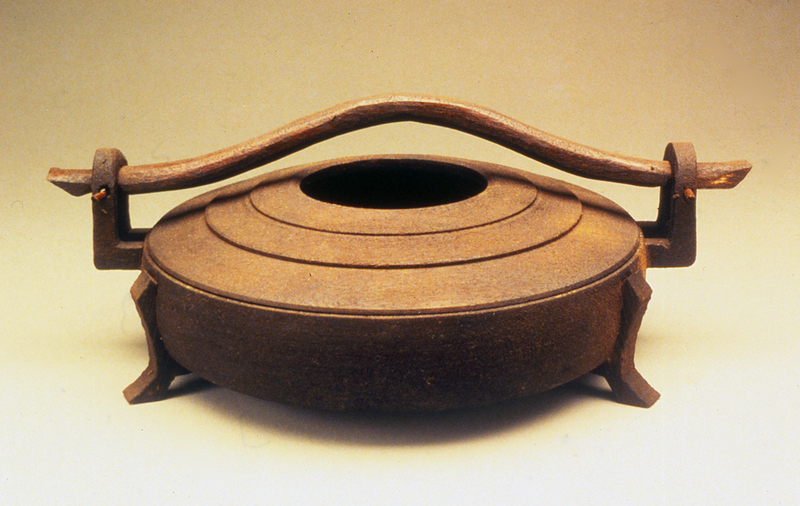 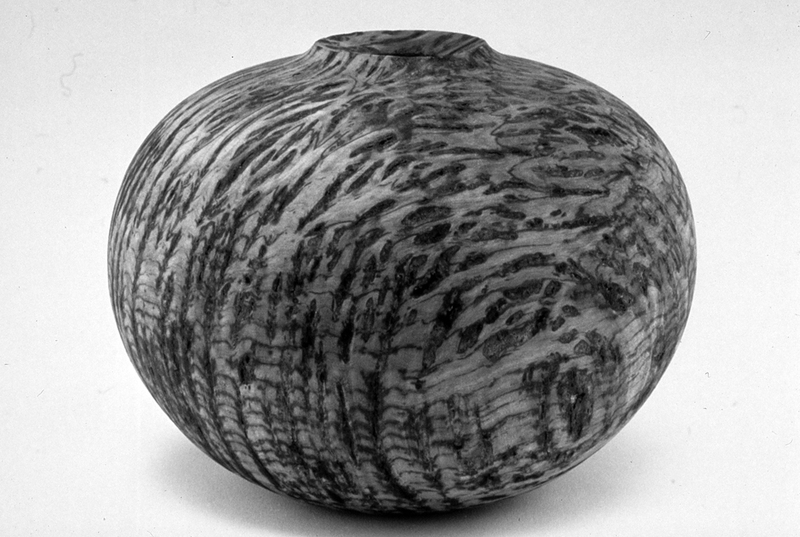 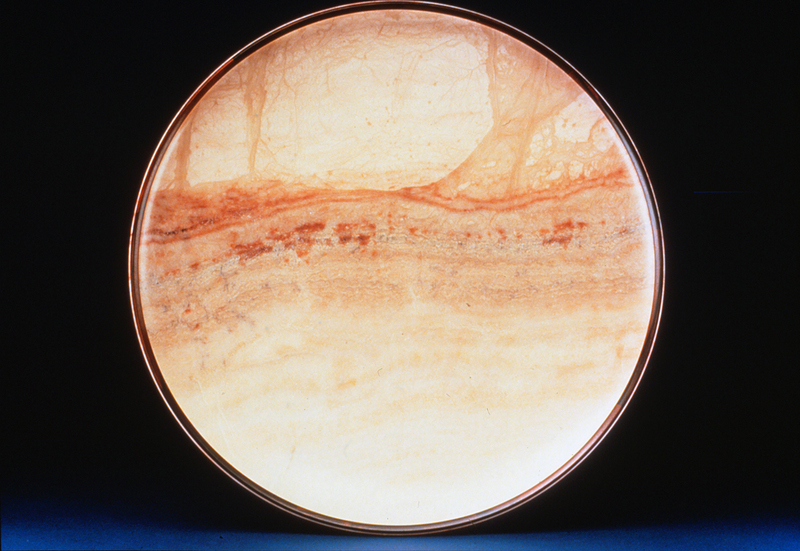 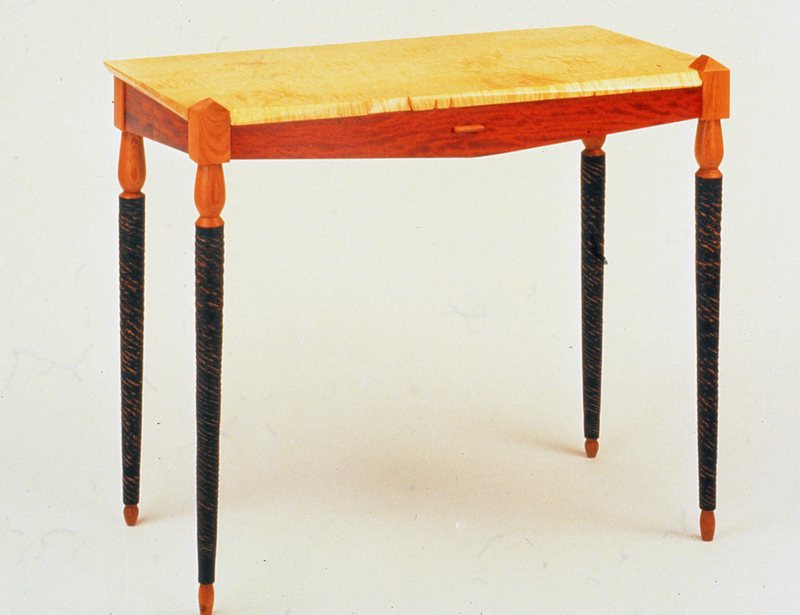 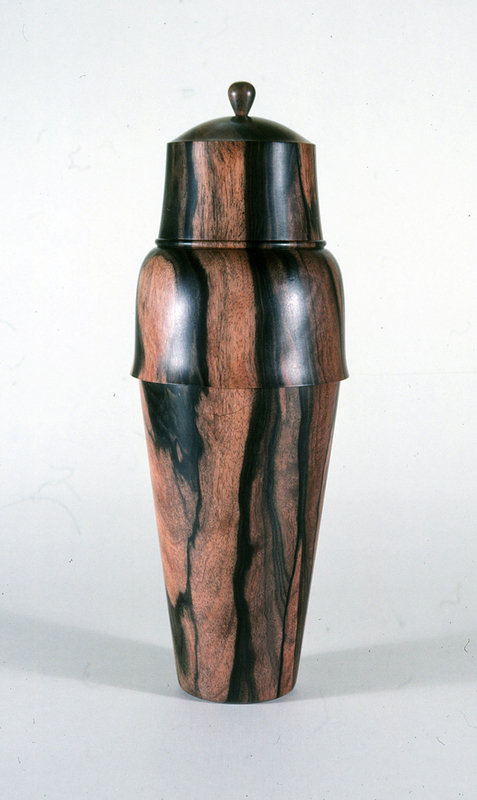 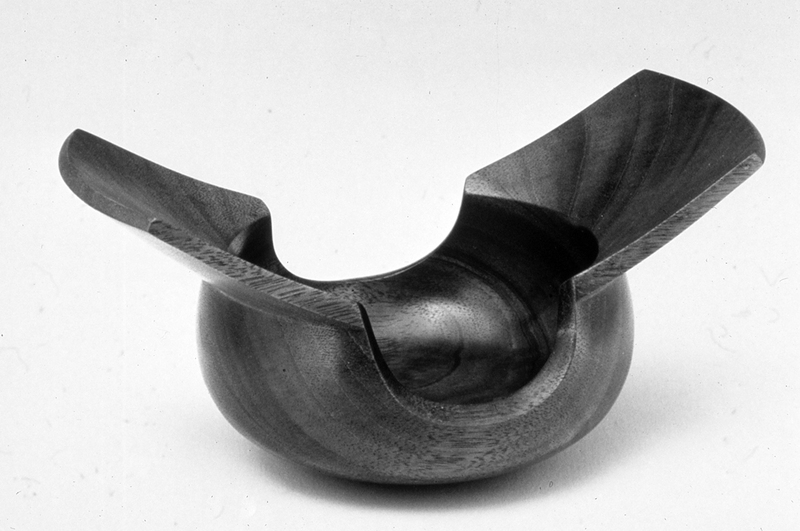 In 1988, the Wood Turning Center (now The Center for Art in Wood) organized the first major survey exhibition of international lathe turned objects. 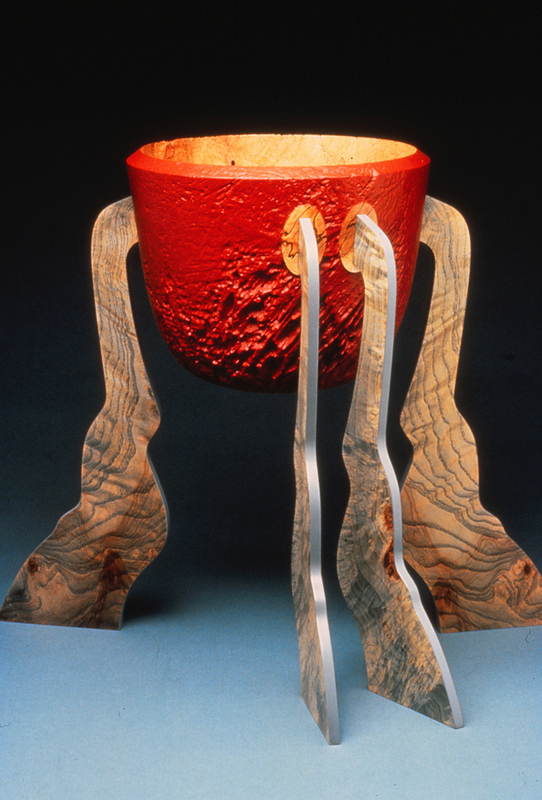 It was comprised of both invitational and juried components. 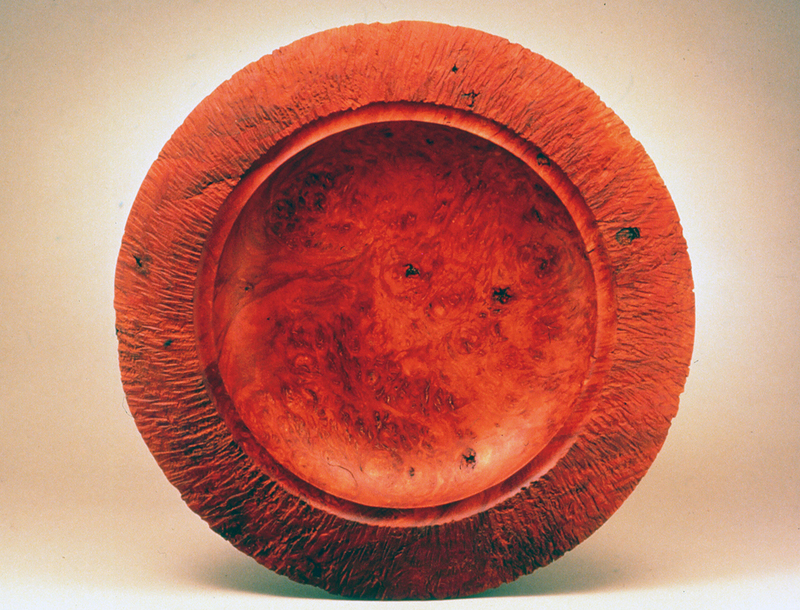 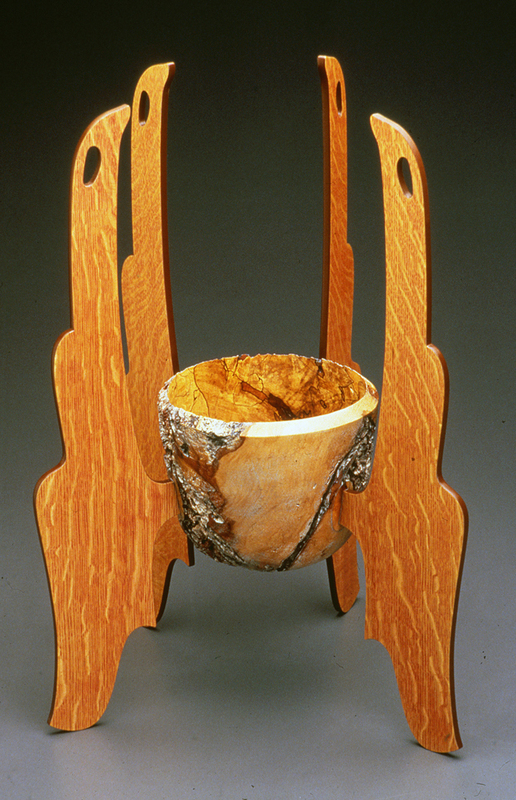 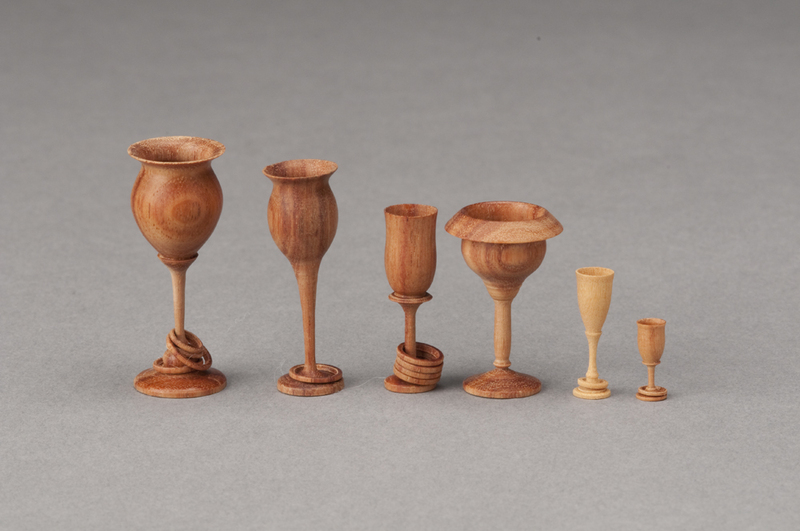 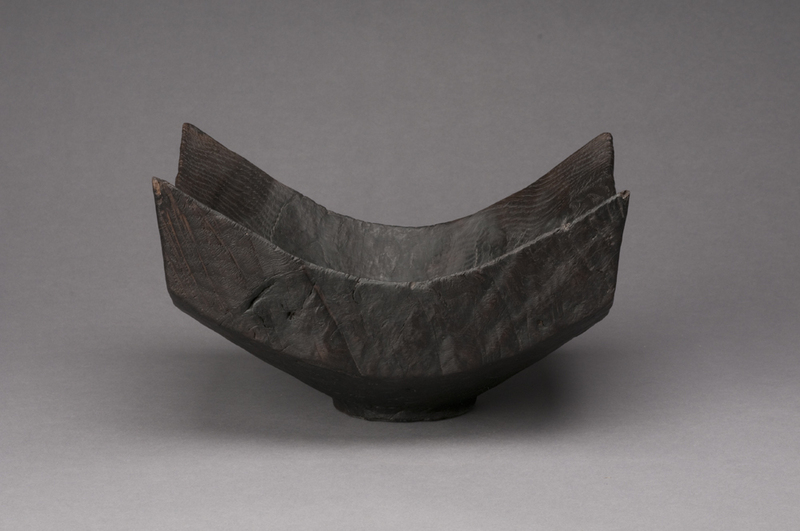 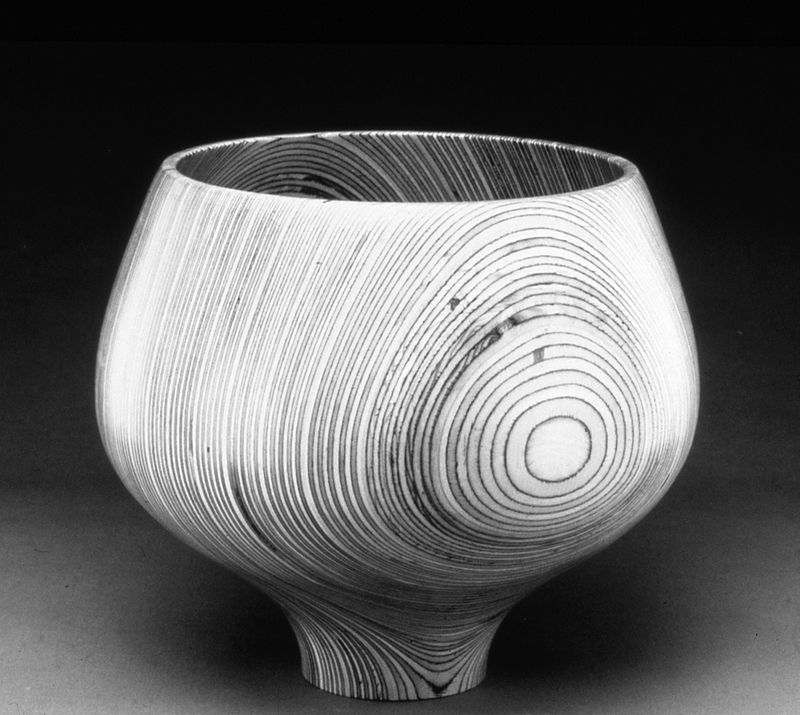 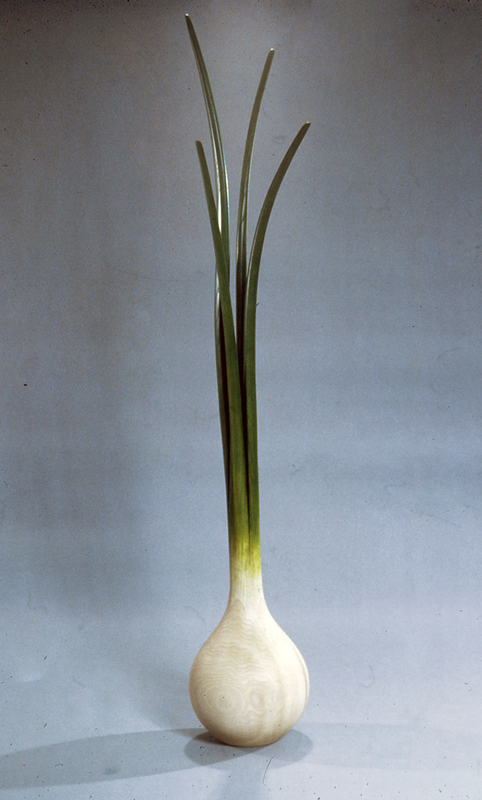 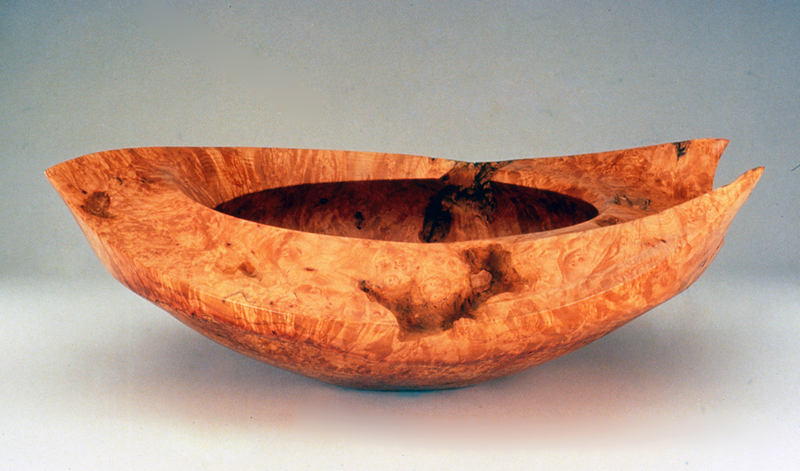 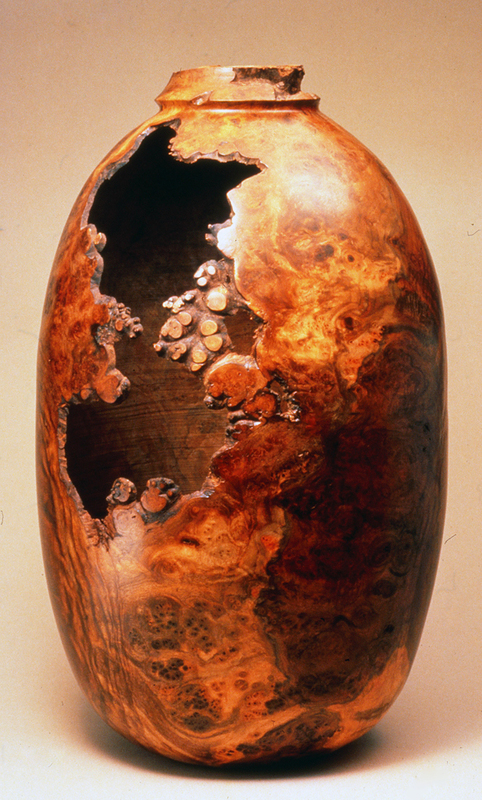 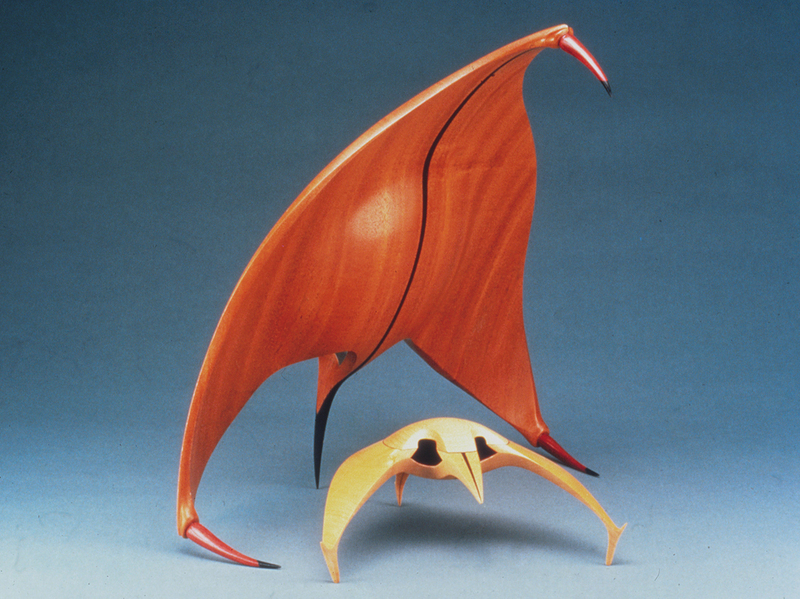 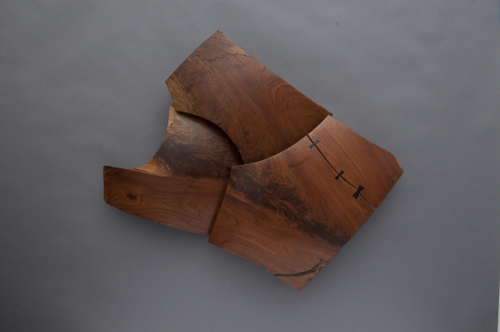 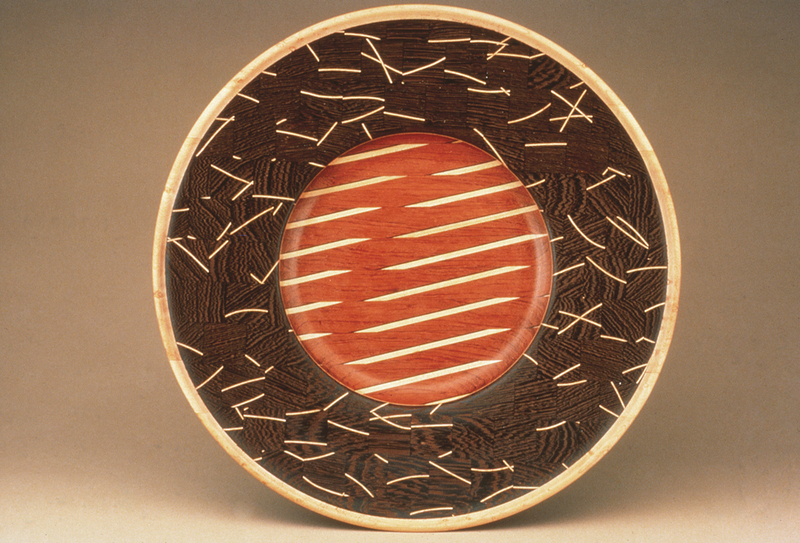 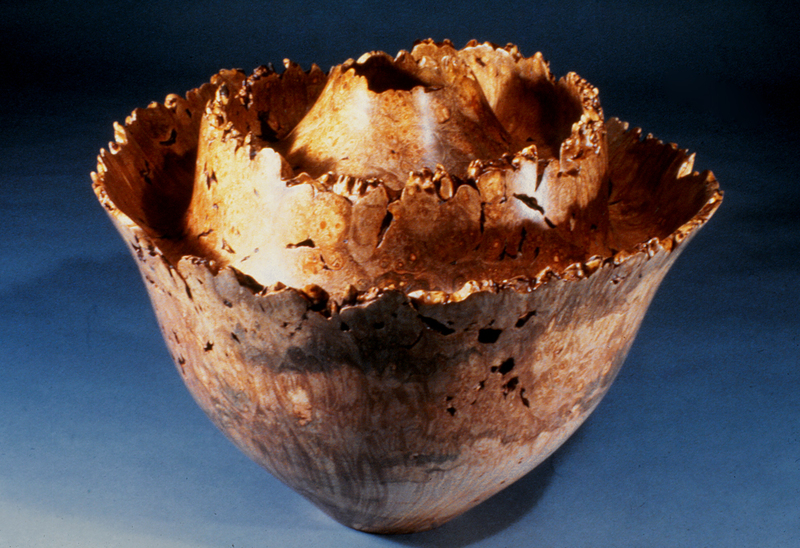 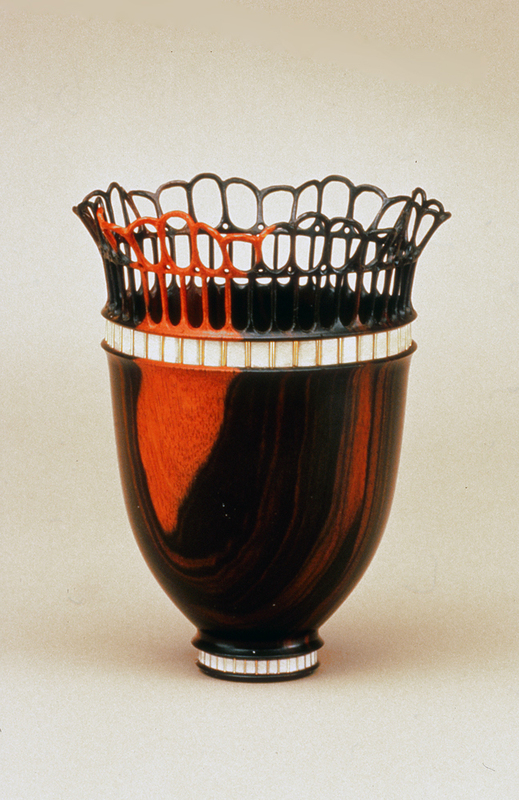 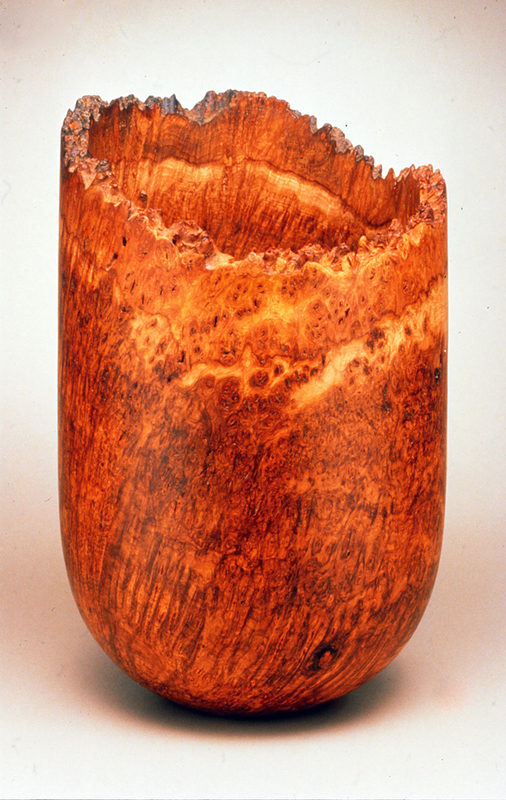 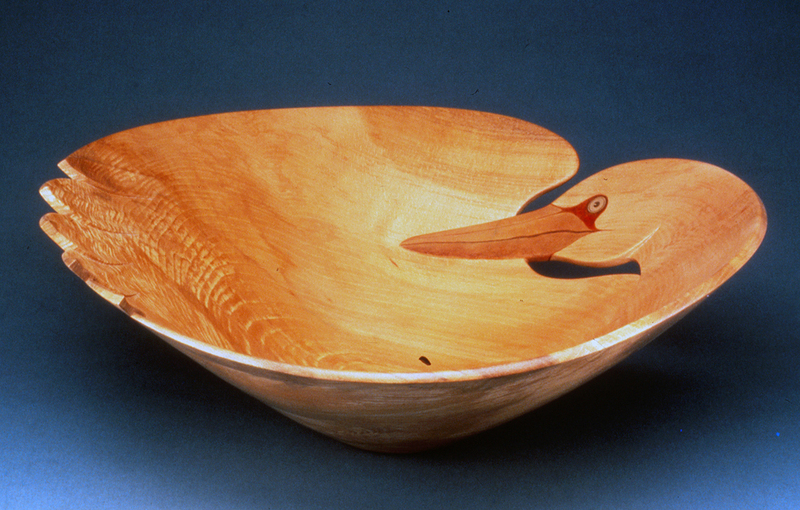 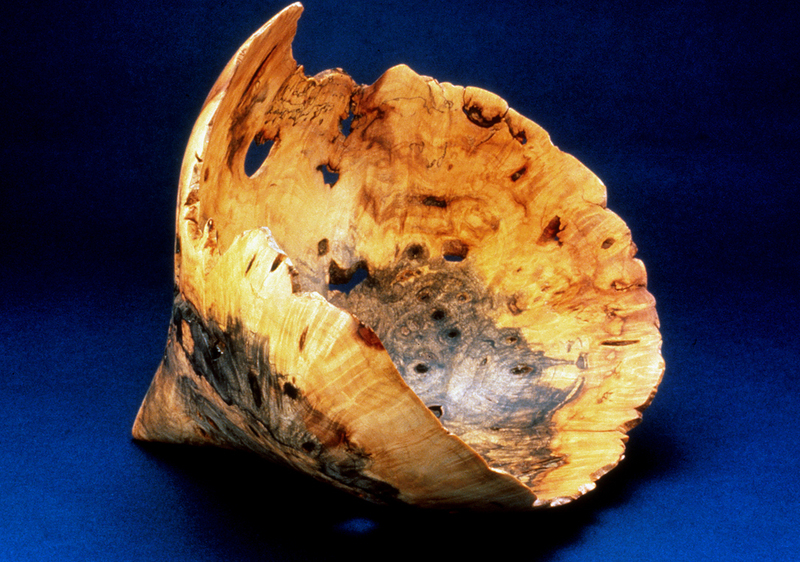 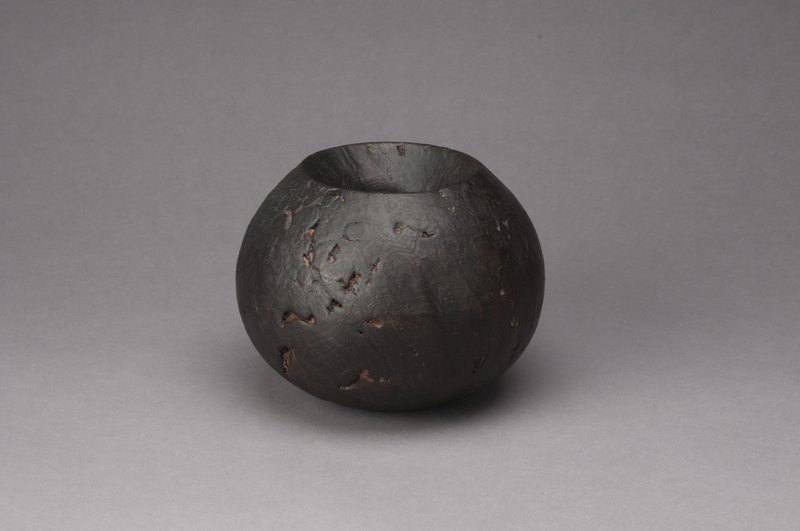 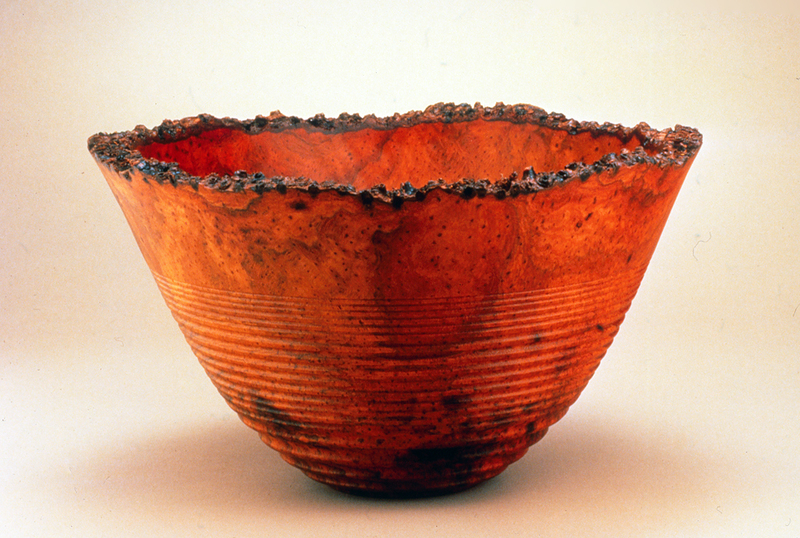 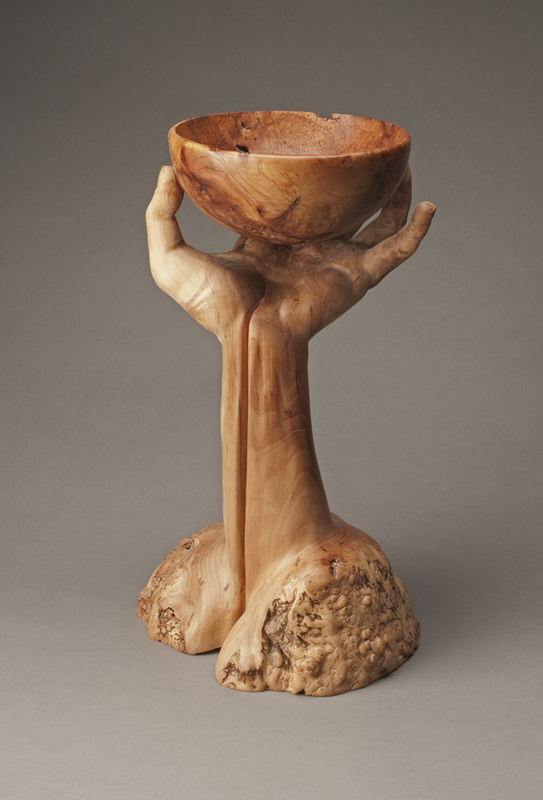 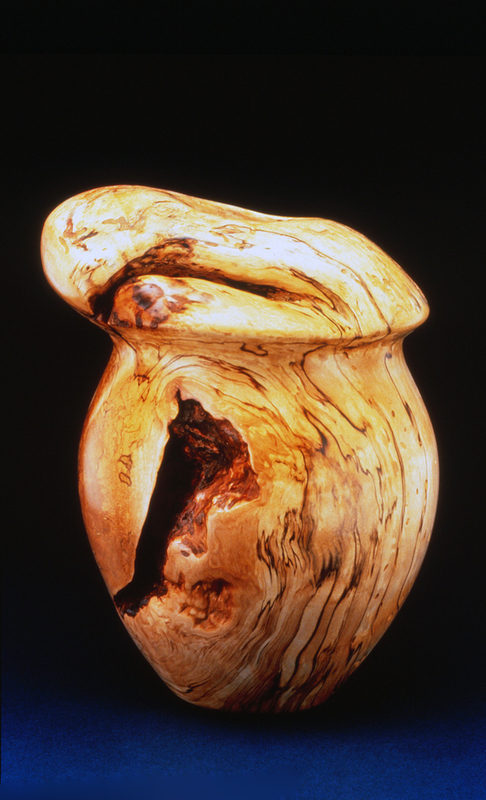 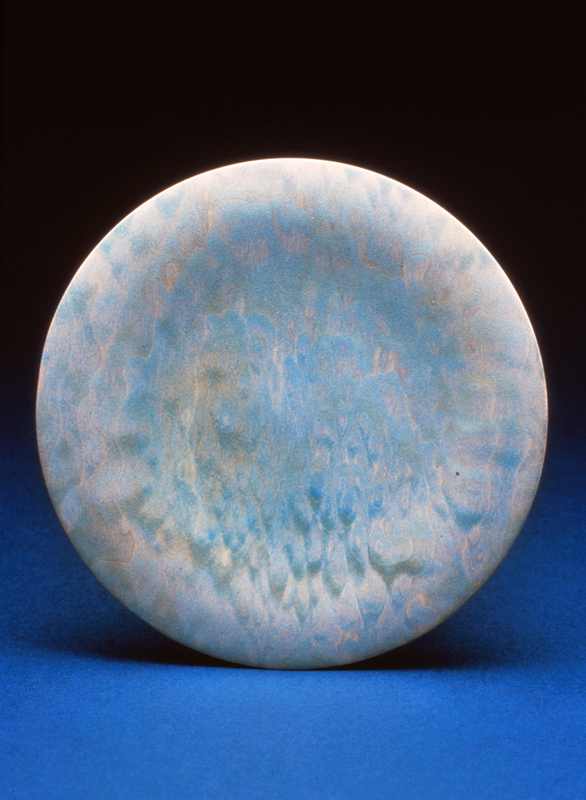 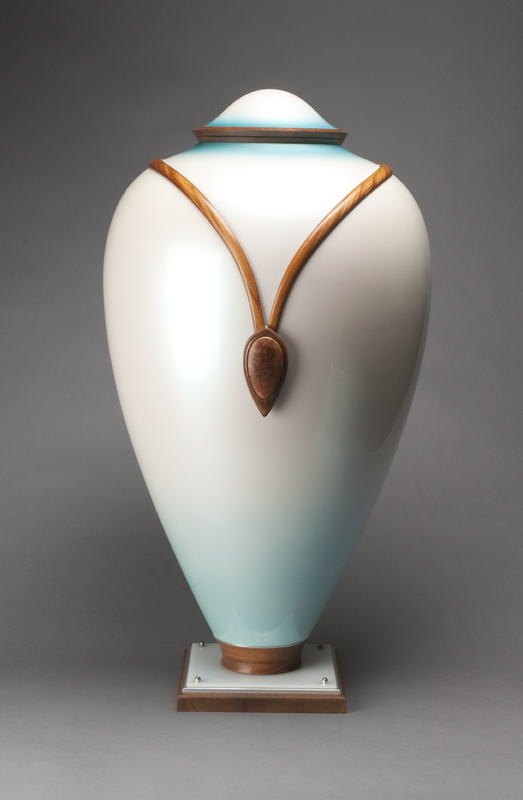 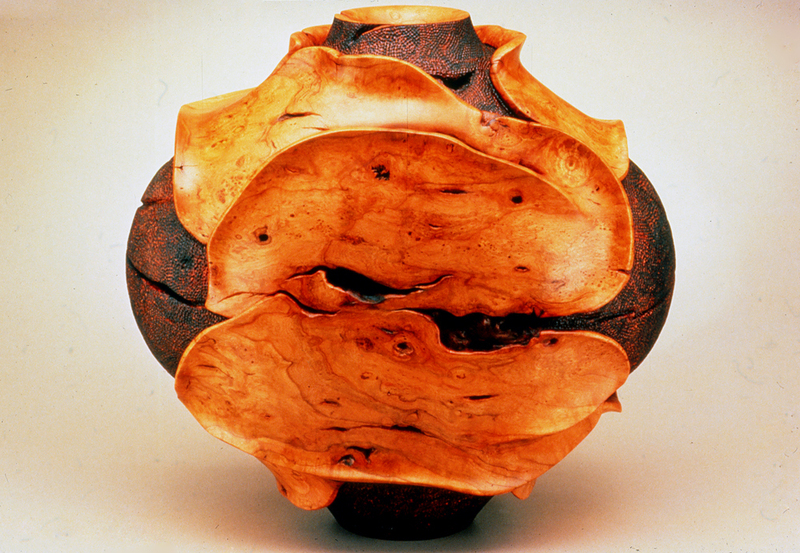 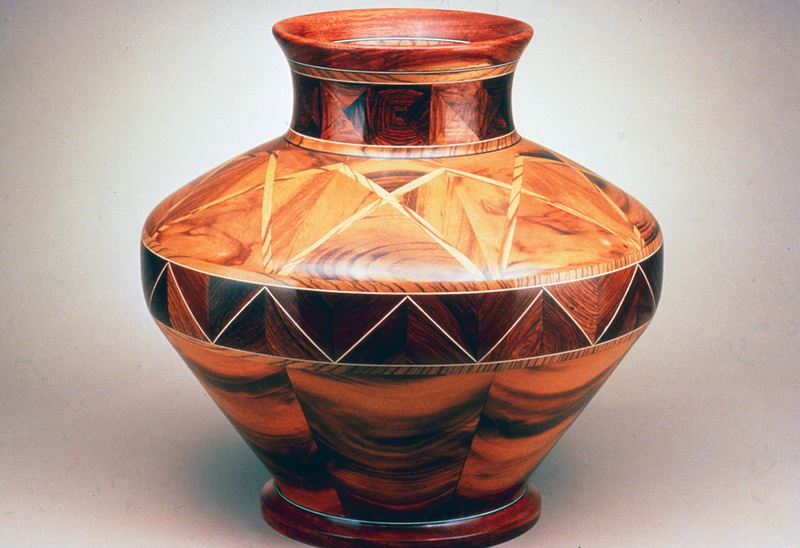 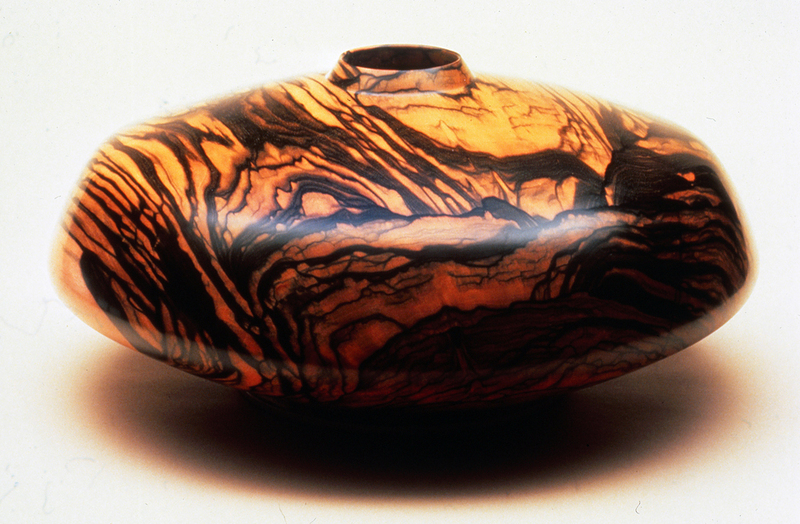 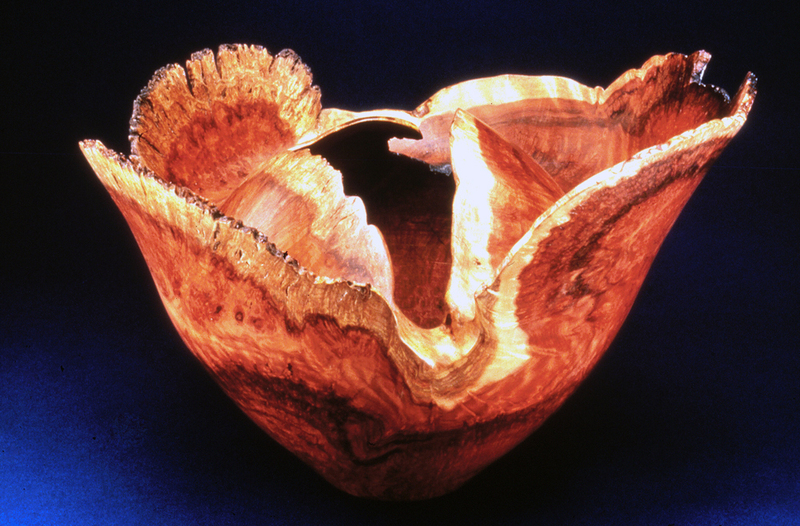 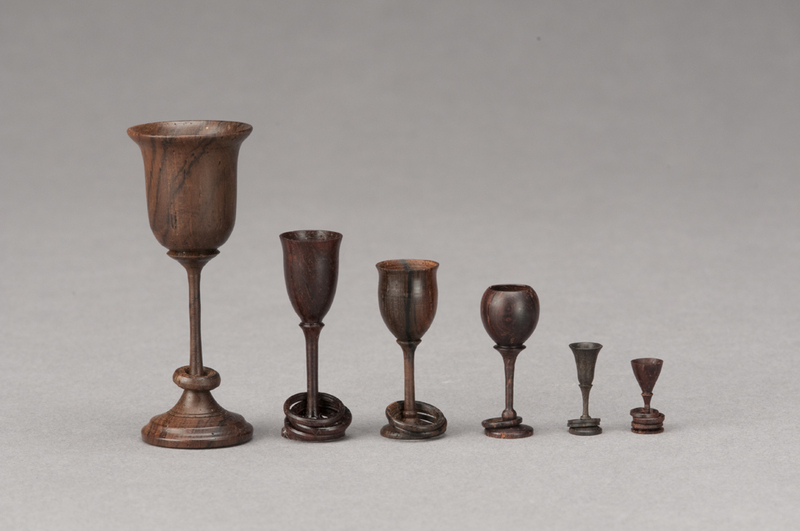 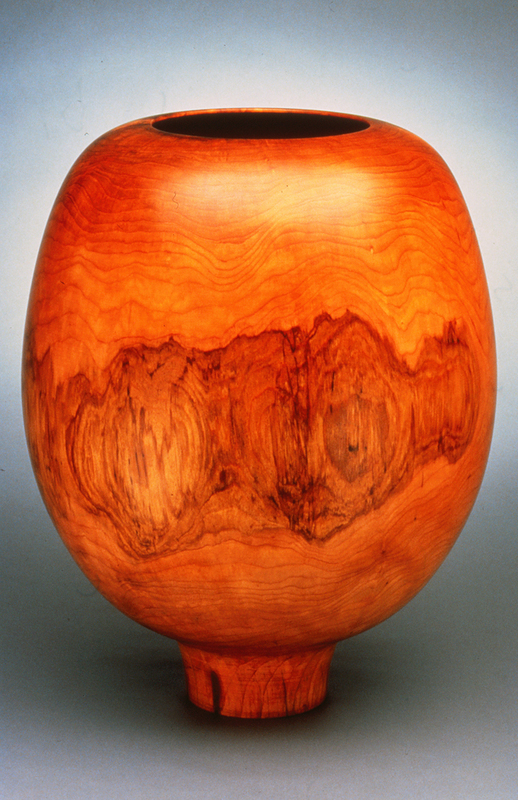 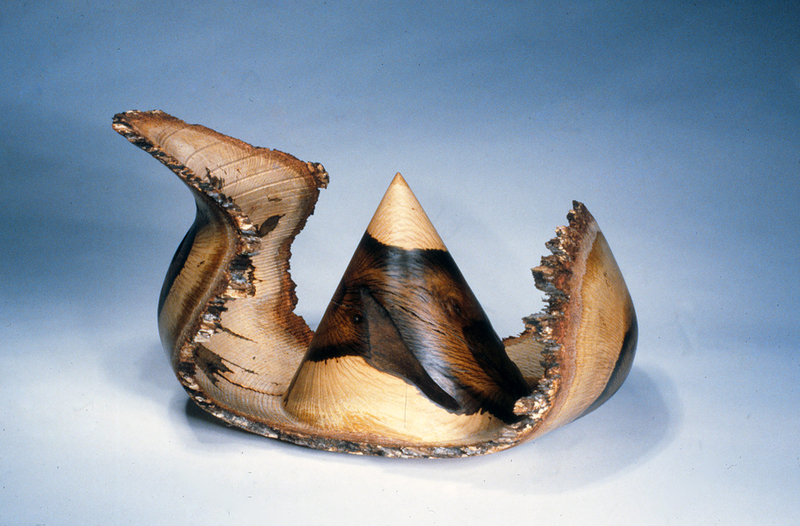 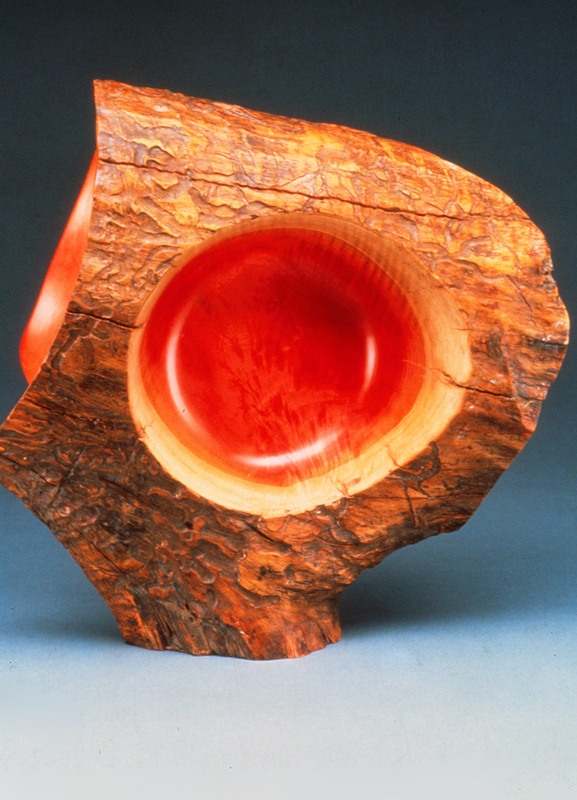 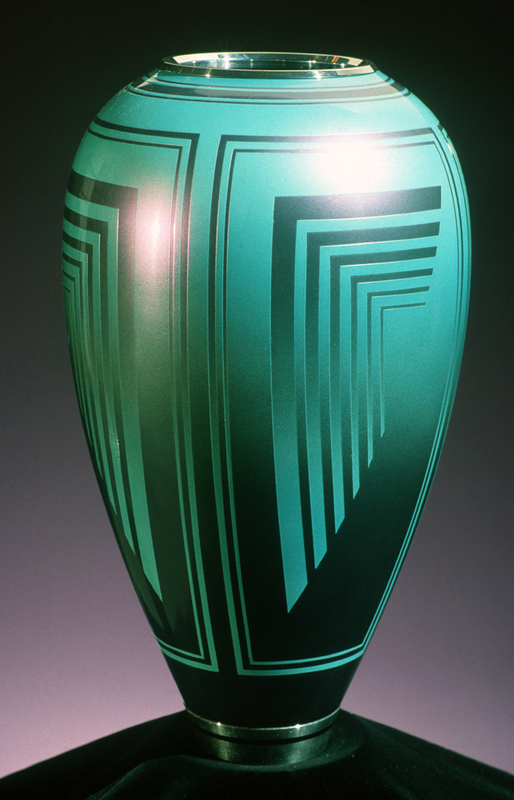 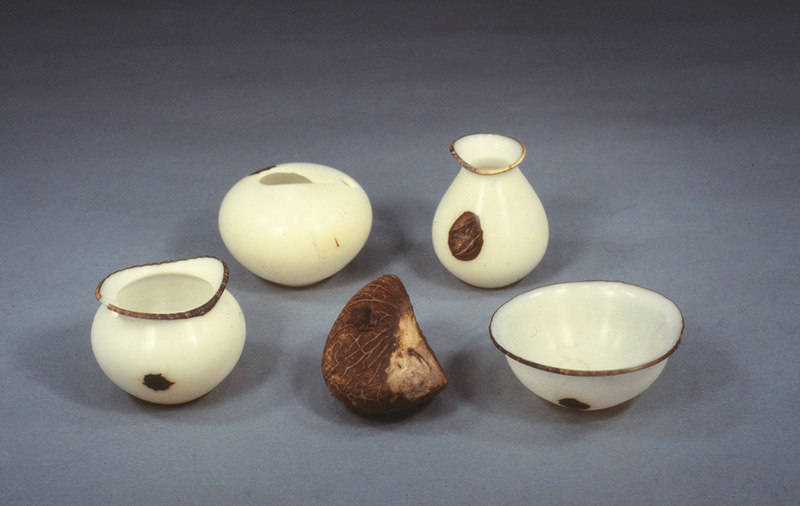 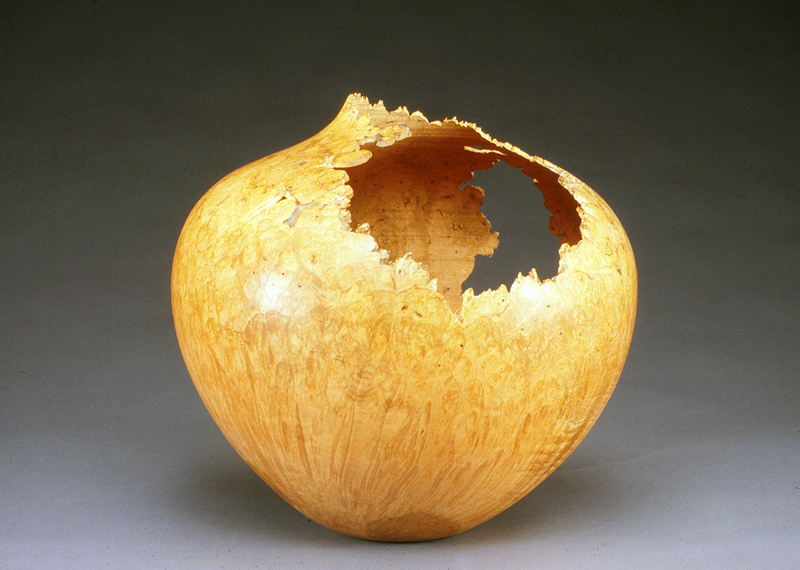 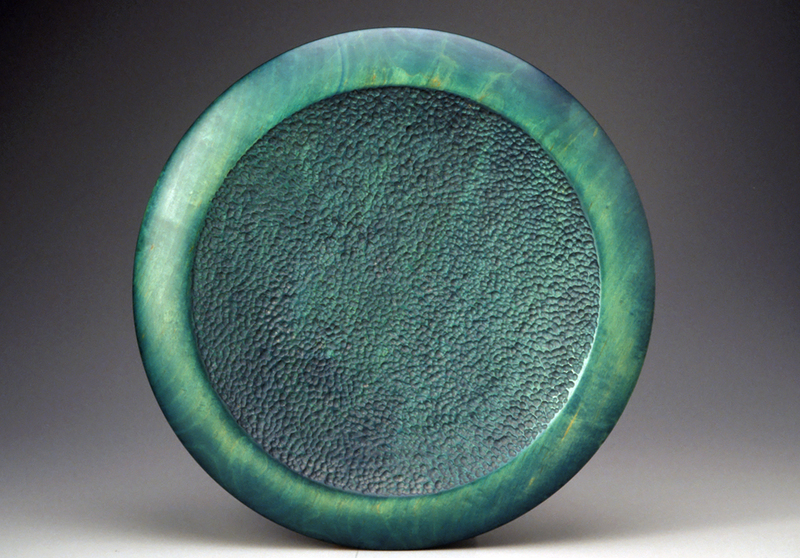 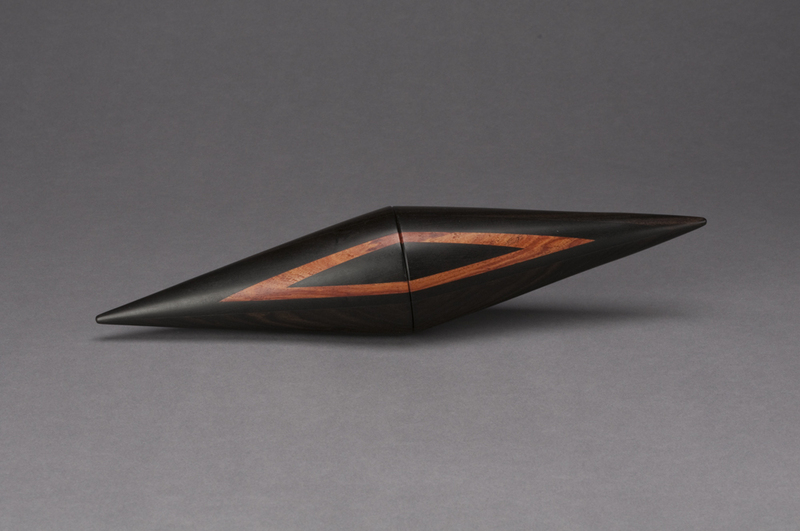 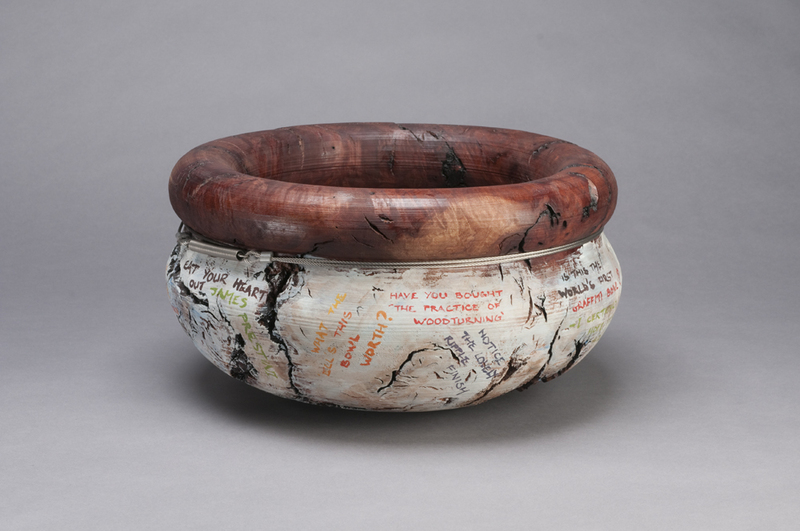 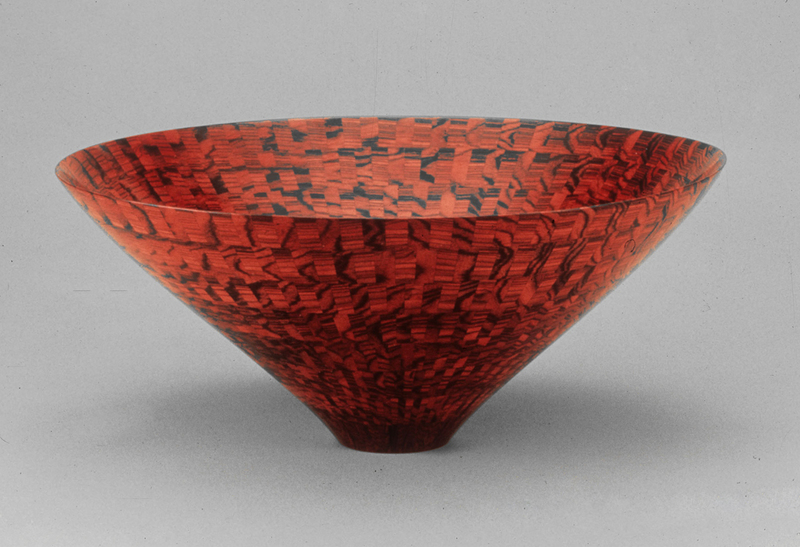 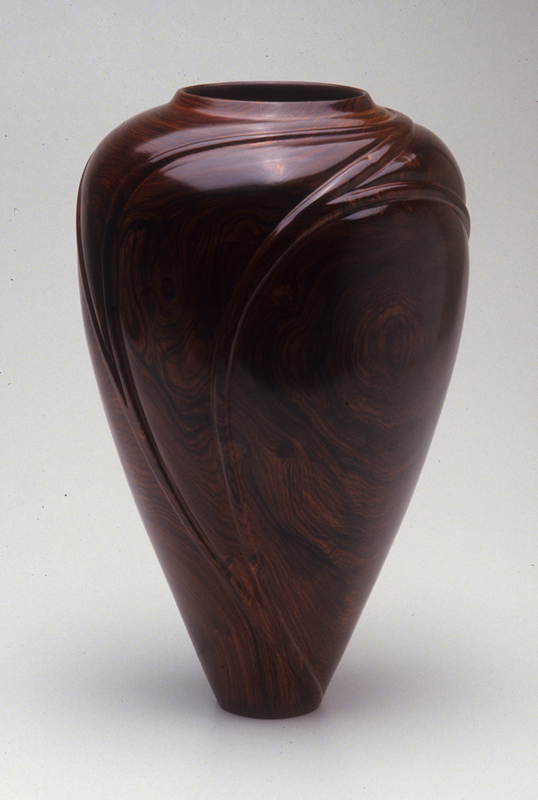 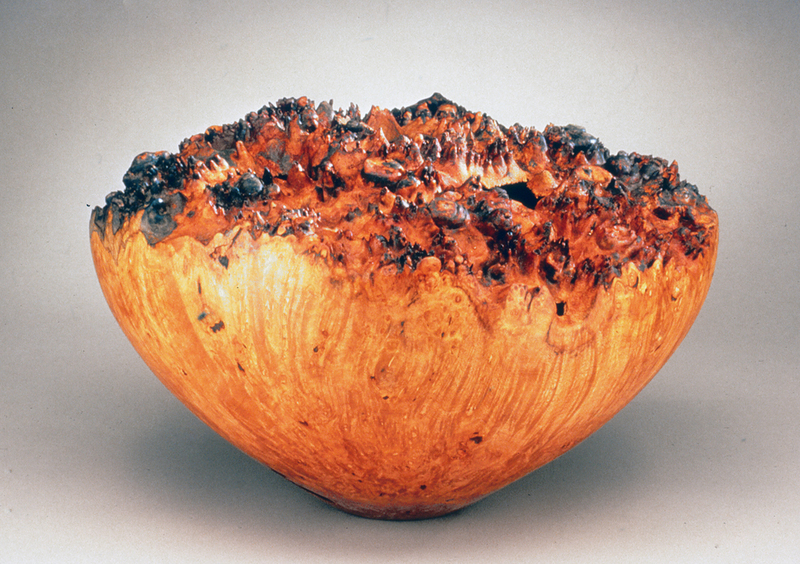 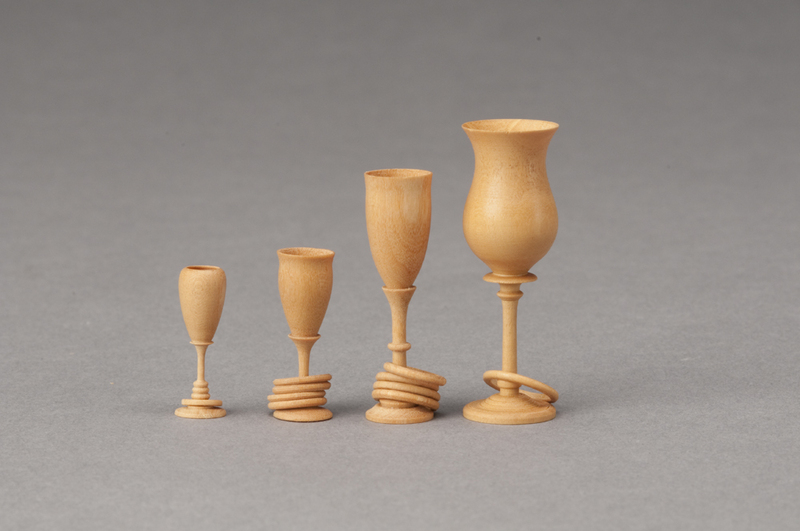 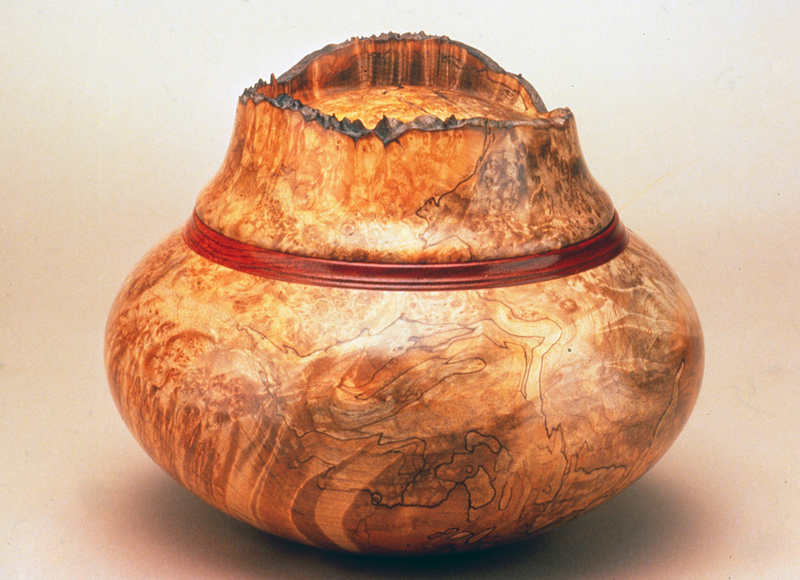 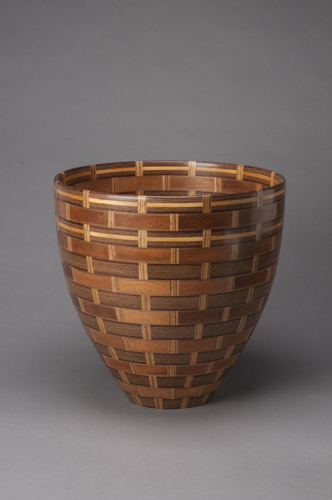 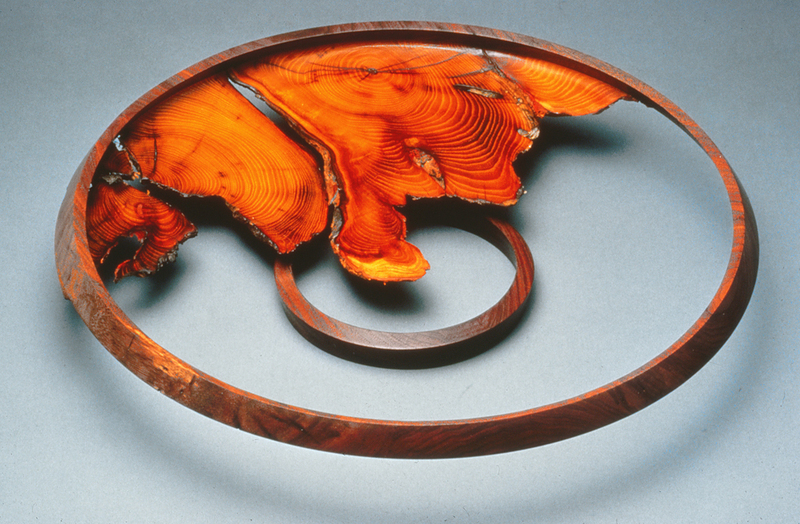 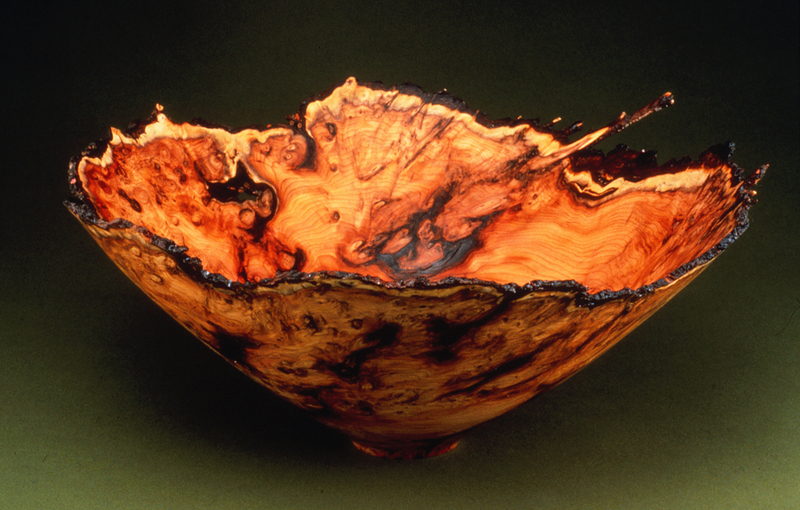 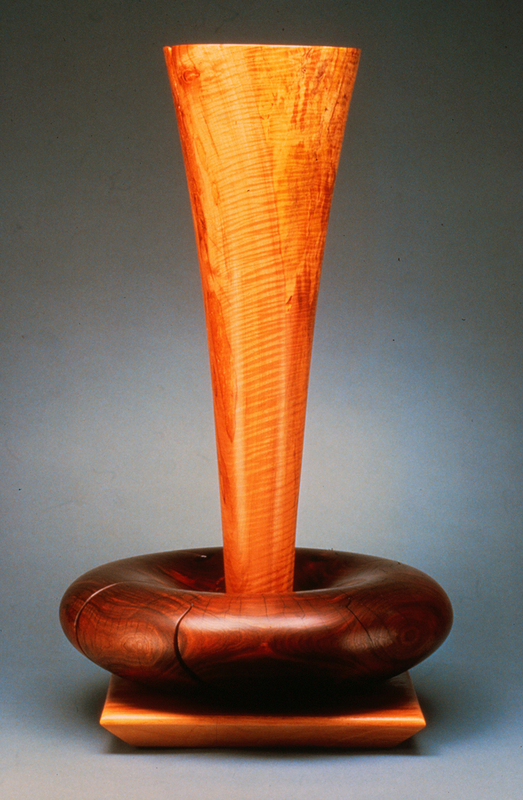 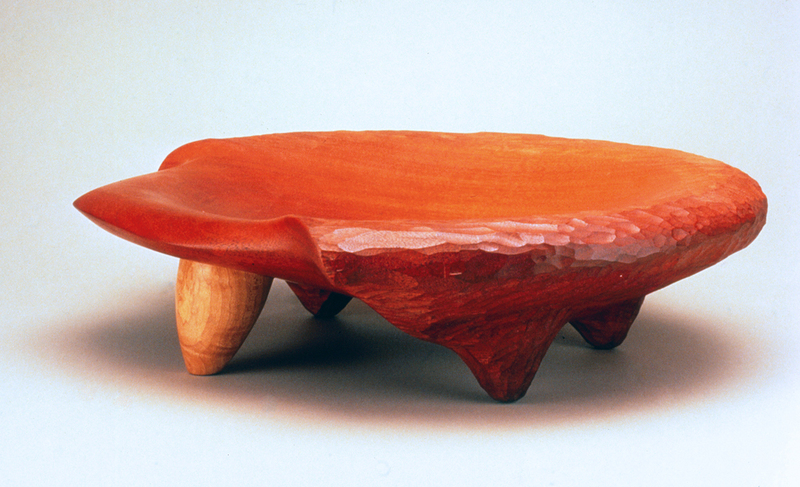 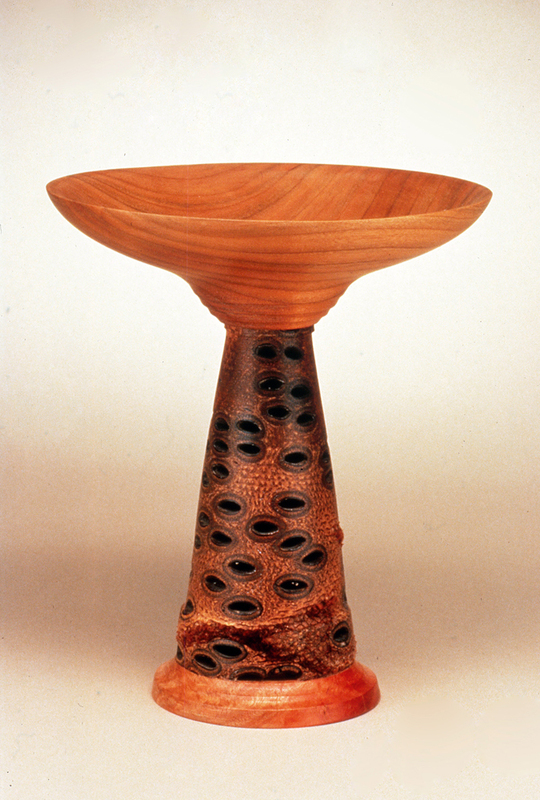 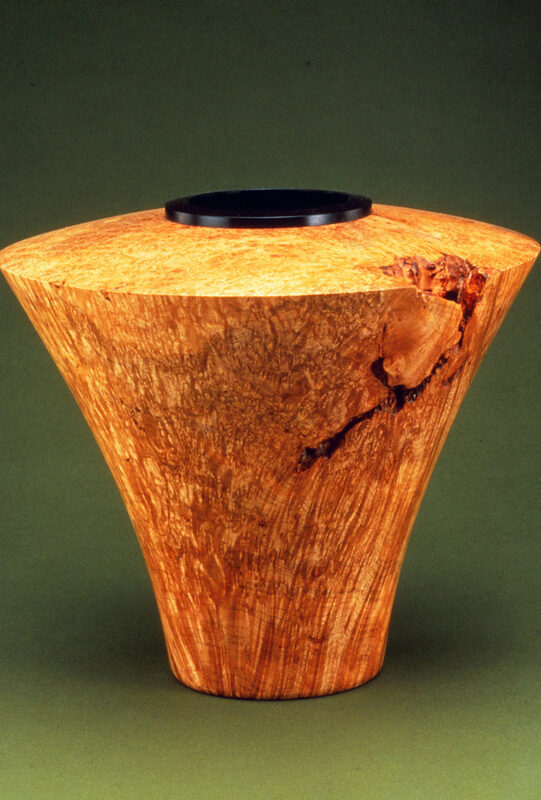 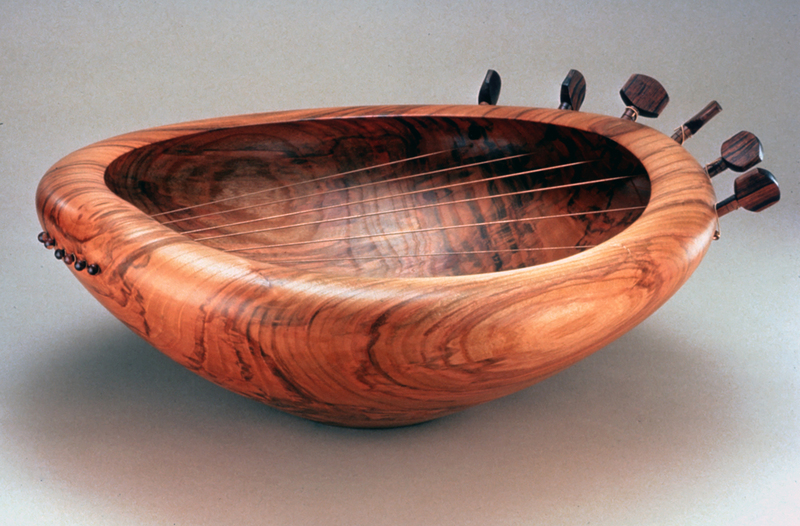 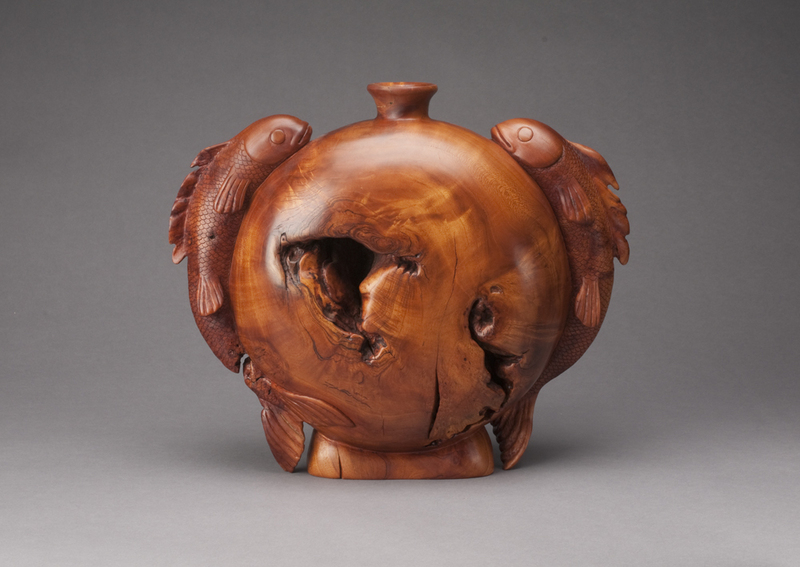 The invited artists were selected based on their individual contributions to the field of wood turning, whether it be objects, teaching, or writing. 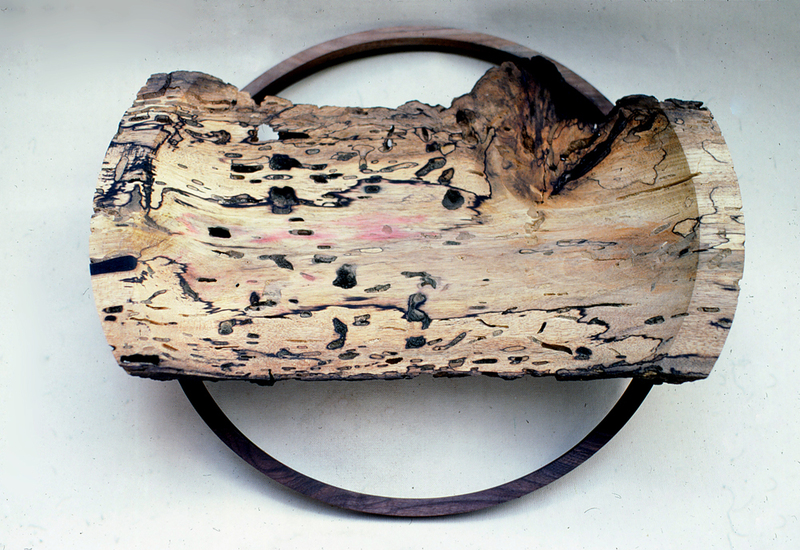 The invited artists were asked to self-select three pieces for the exhibition. 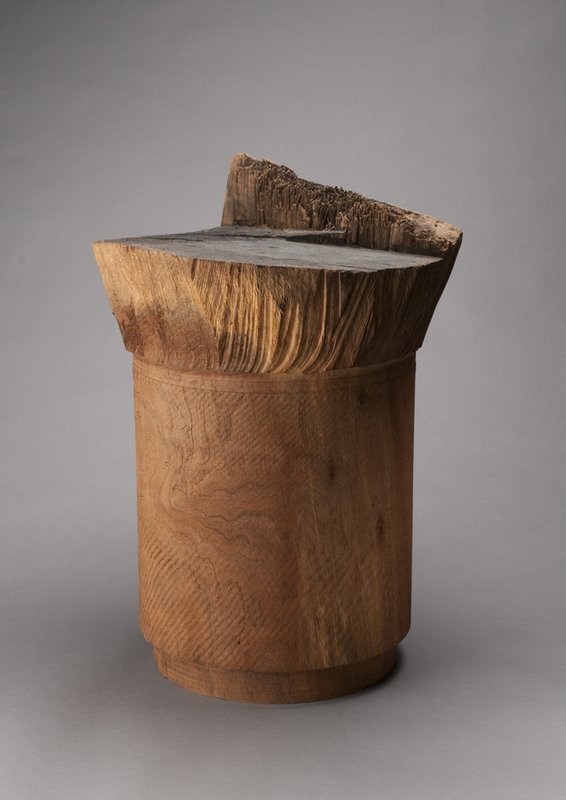 Jurors for the exhibition came from both inside and outside the field of lathe turning. 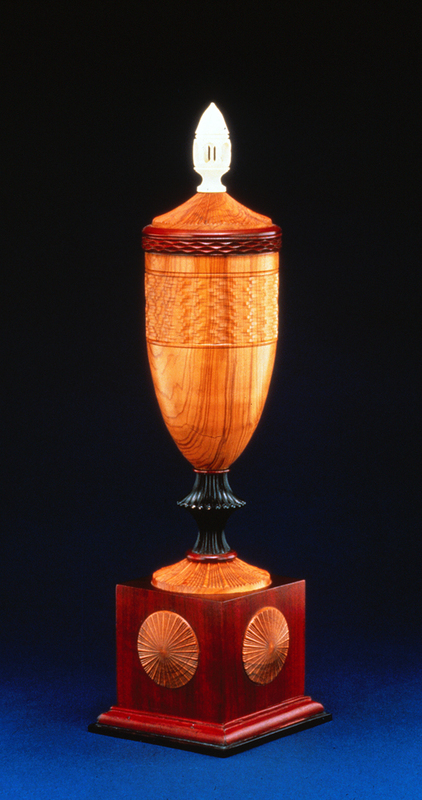 A general international call for entries was made. 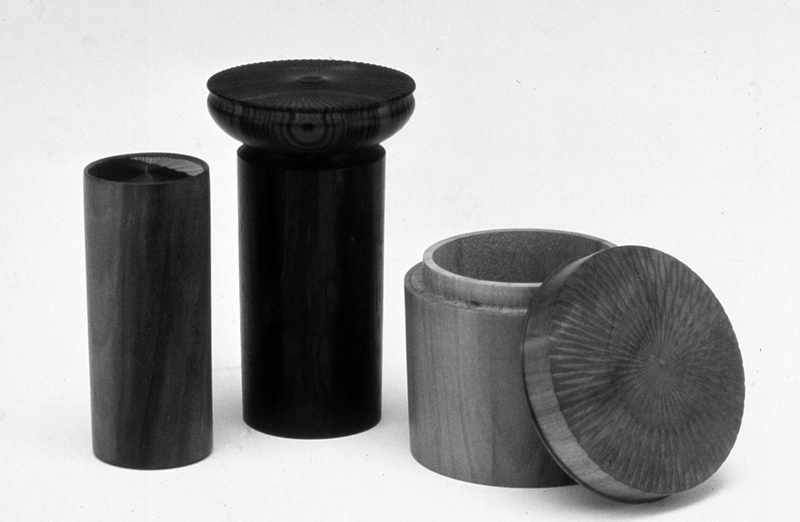 The jurors selected what they felt were quality lathe turned objects showing the full range and diversity of the contemporary lathe turning field. 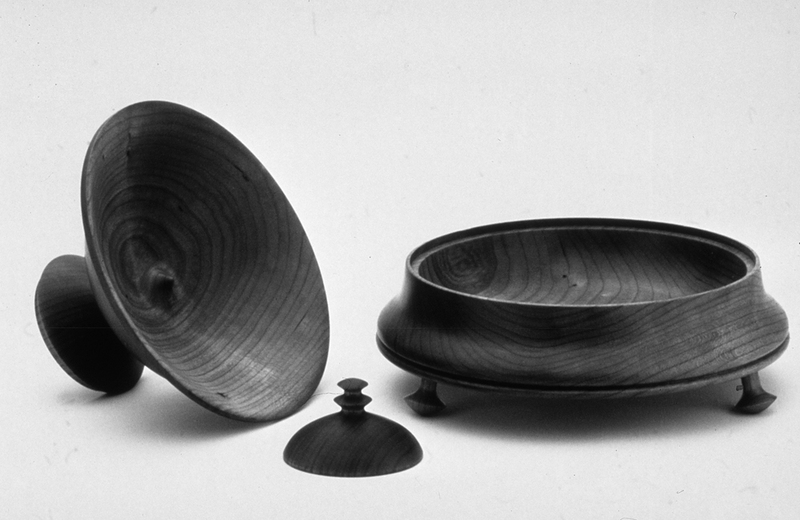 International Lathe Turned Objects was a hugely popular exhibition that greatly expanded the audience for lathe turning. 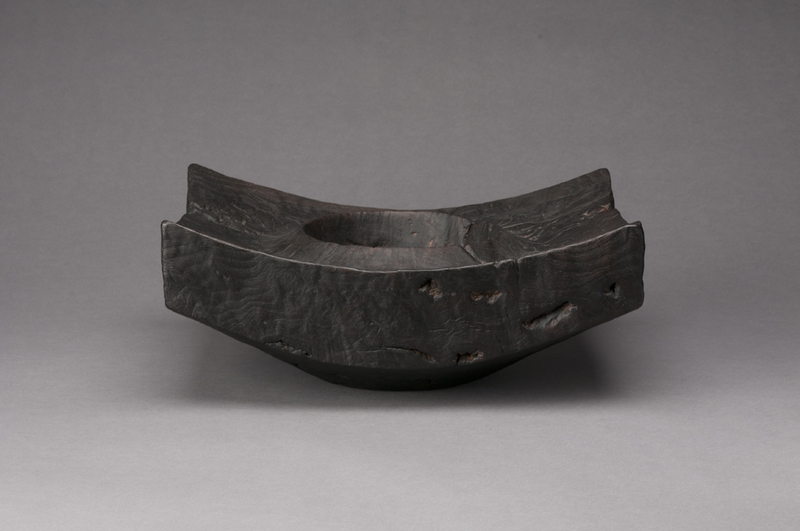 The exhibition contained a diverse collection of objects, ranging from traditional and functional to sculptural and decorative pieces. 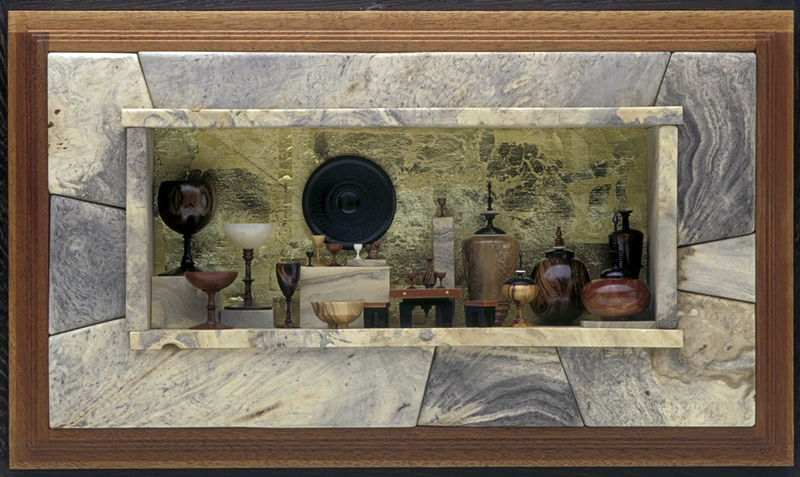 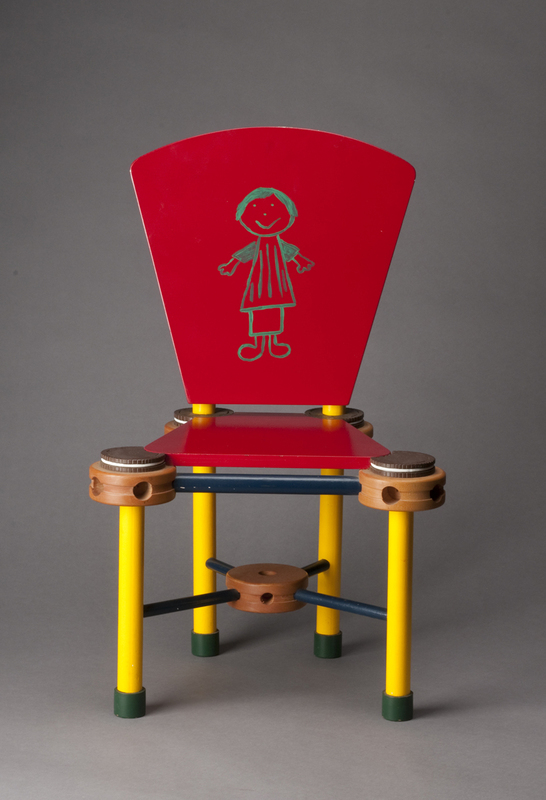 There were bowls, boxes, furniture, musical instruments, jewelry, decorative objects and sculpture. 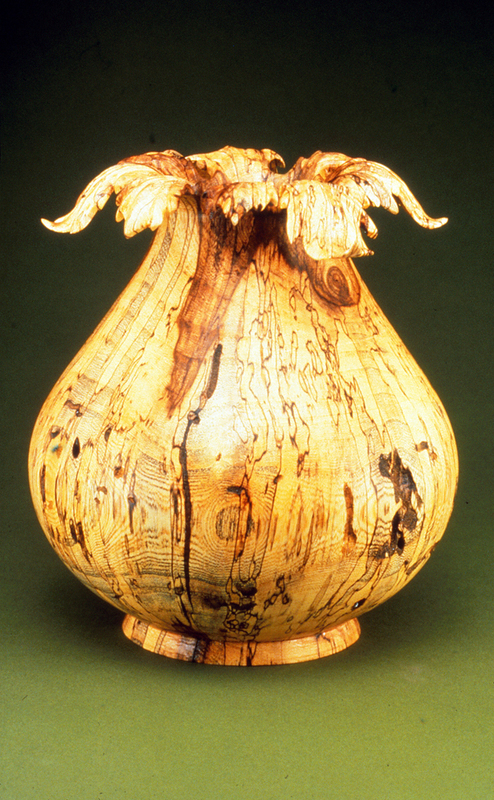 Over a hundred artists from 10 countries were represented and 275 objects were shown. 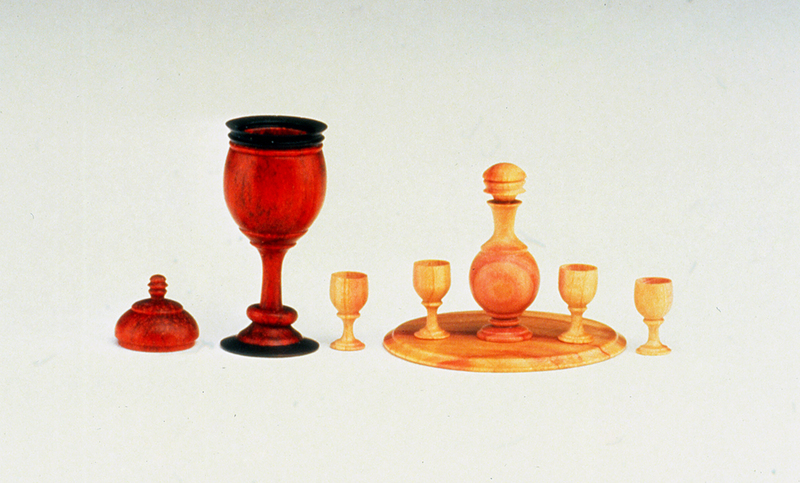 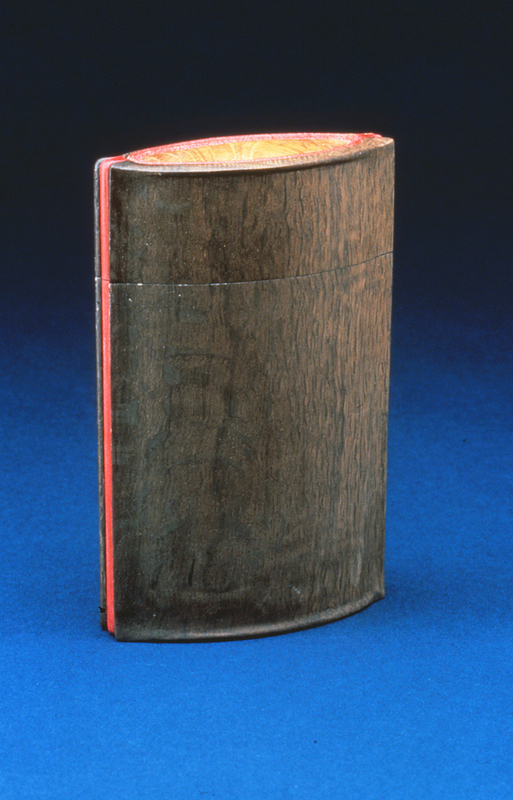 The exhibition toured the United States and left its mark on loyal followers everywhere it went. 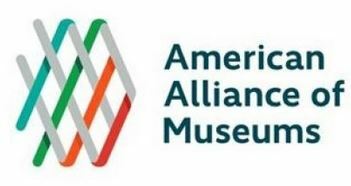 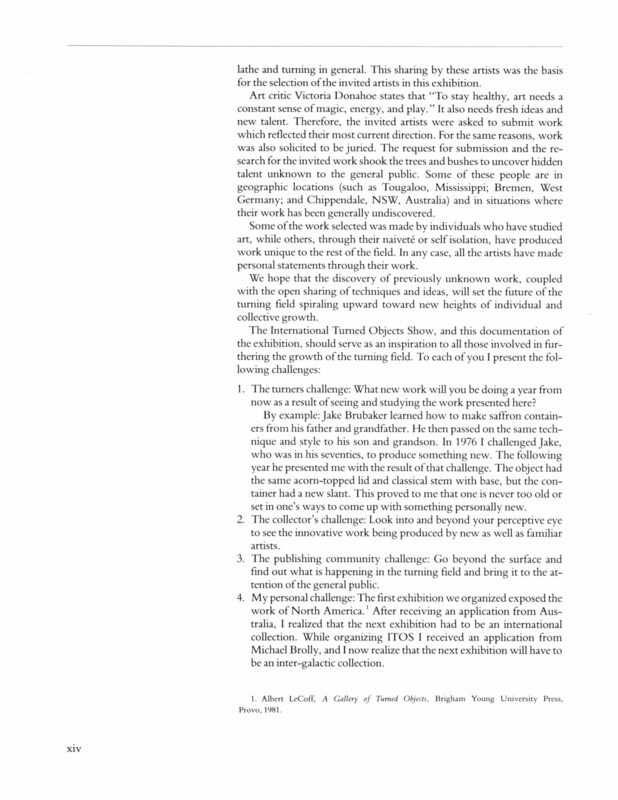 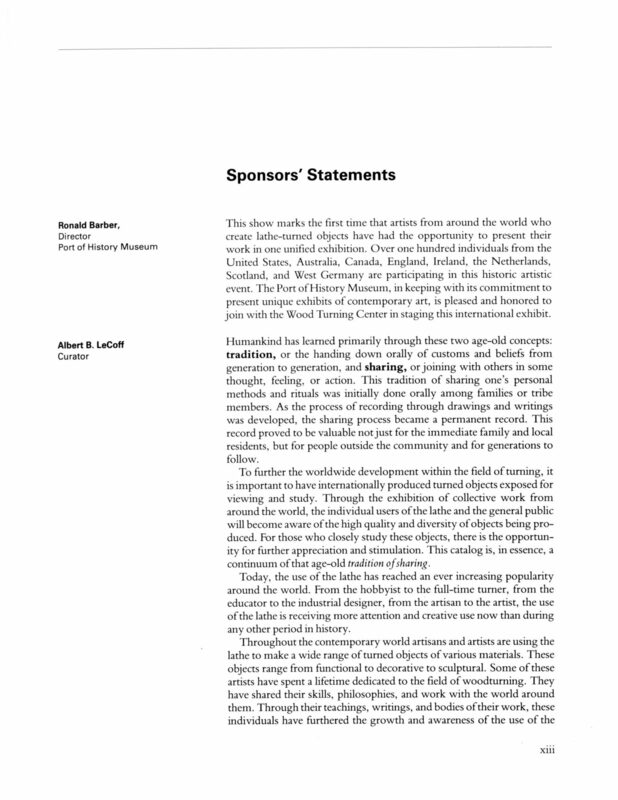 It was followed by an international tour from November 1988 to December 1992, circulated by the International Sculpture Center, Washington, D.C.
PDF of Curator’s Statement: click here.